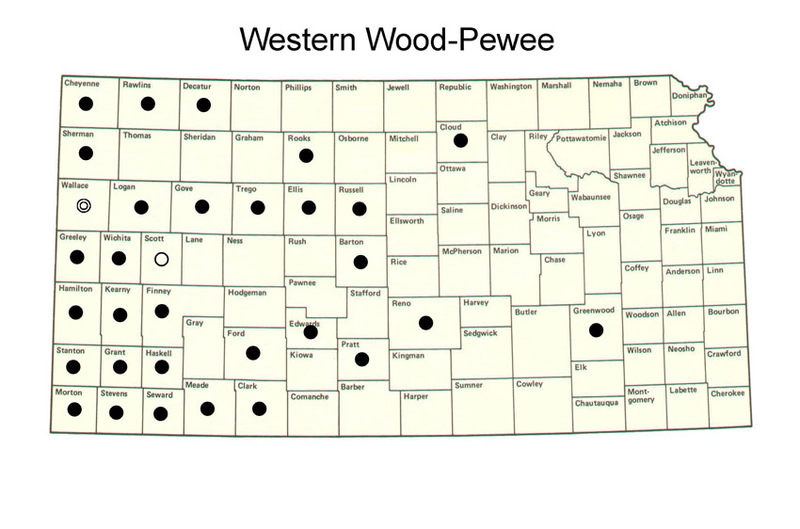 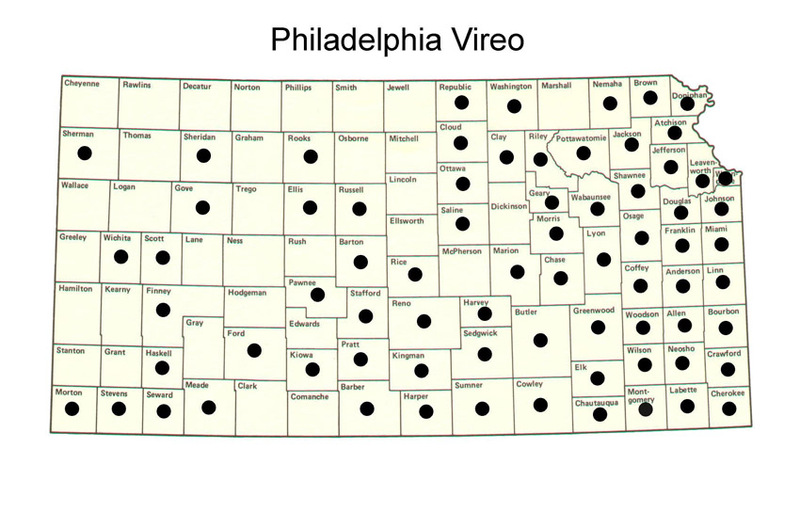 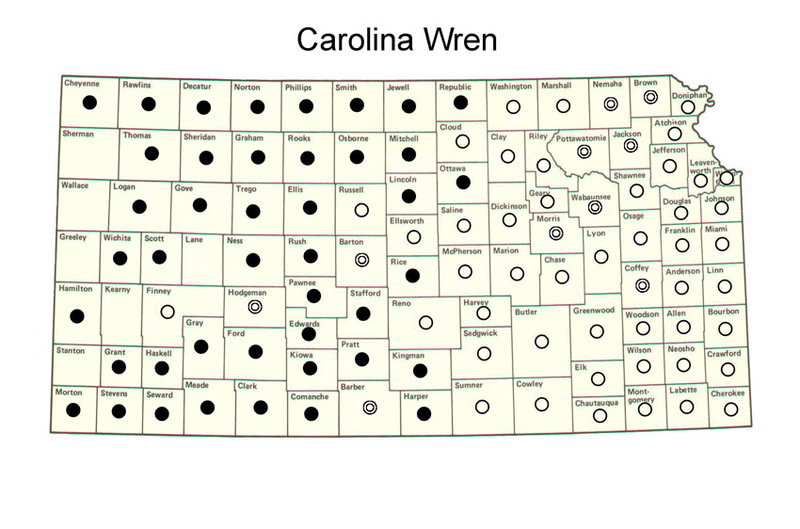 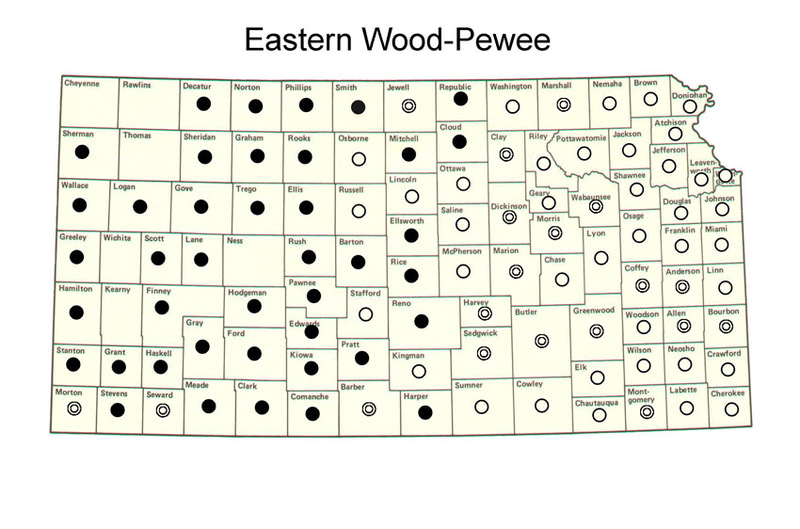 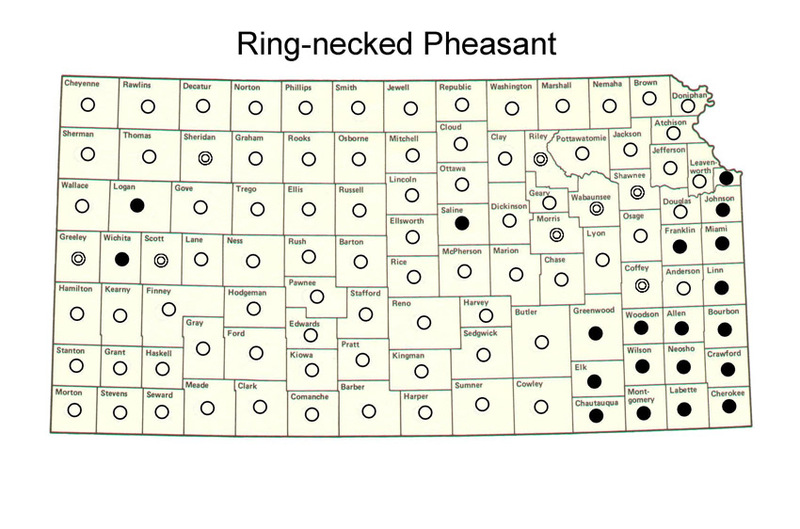 A solid dot in the county indicates that the species has been reported from that county, an open circle indicates a breeding record for that species in that county (either probable or confirmed). 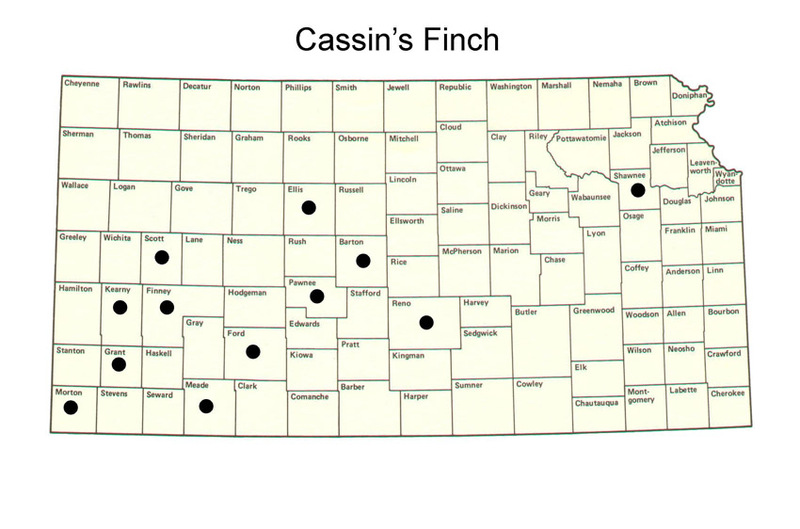 The number preceding the species name indicates in how many counties that species has been recorded. 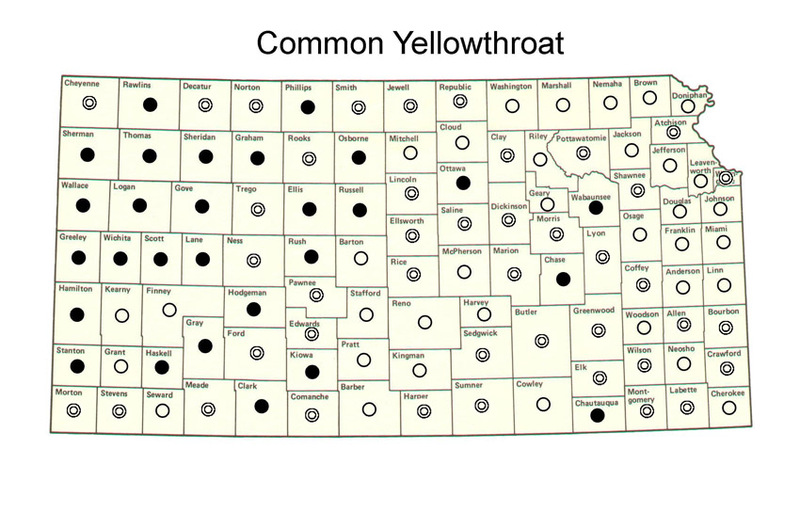 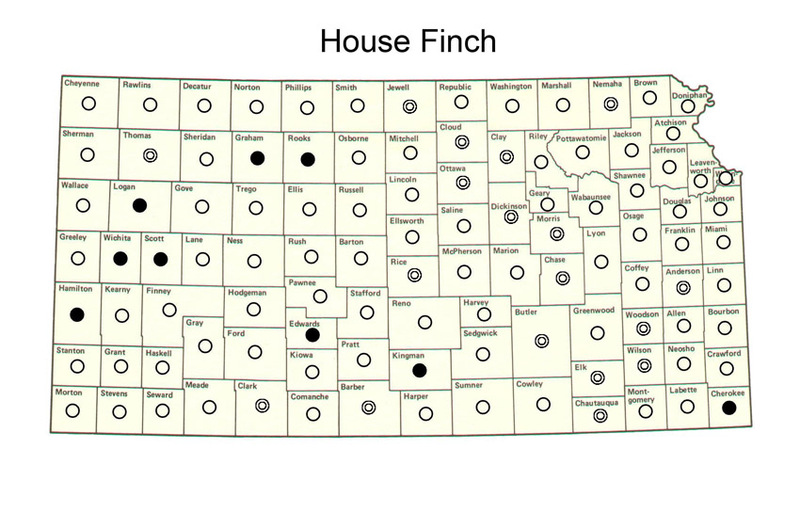 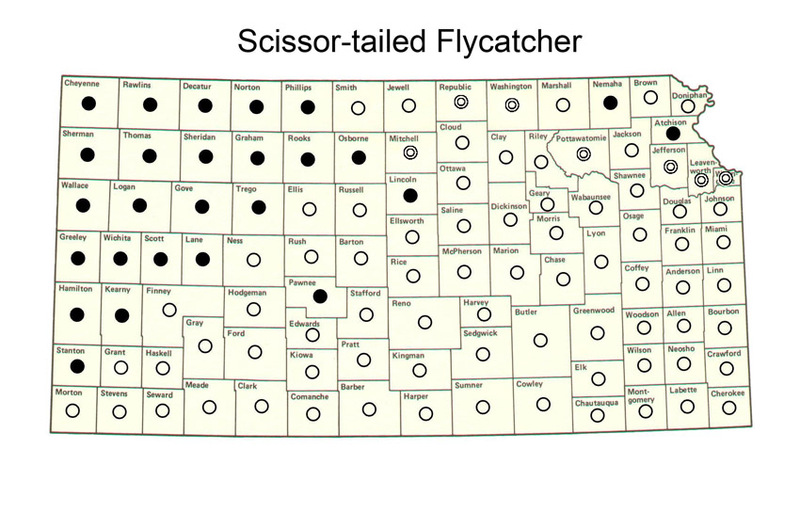 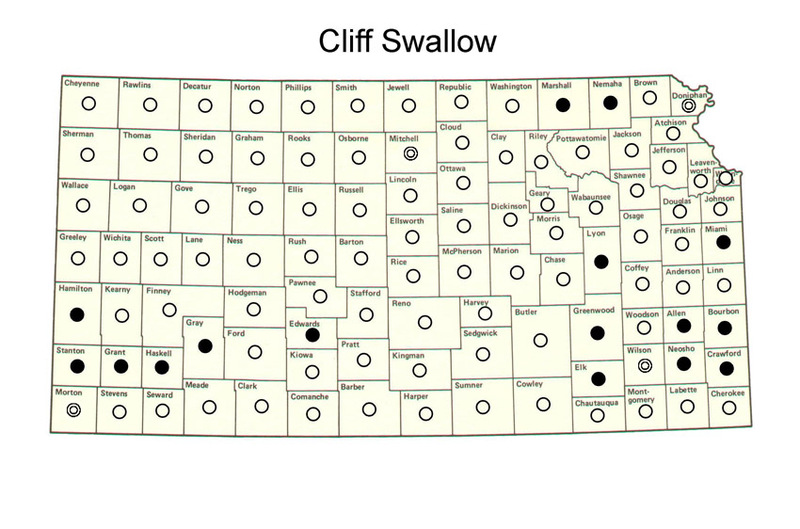 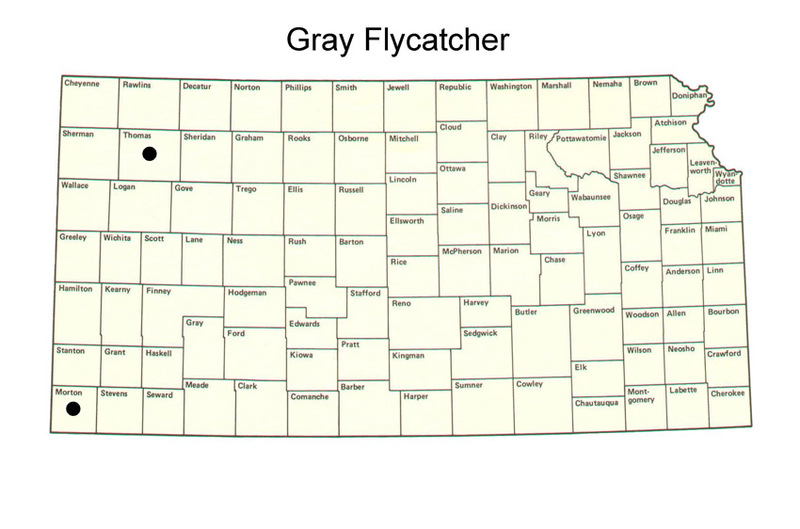 Bracketed [species names] indicate species that are hypothetical in Kansas. 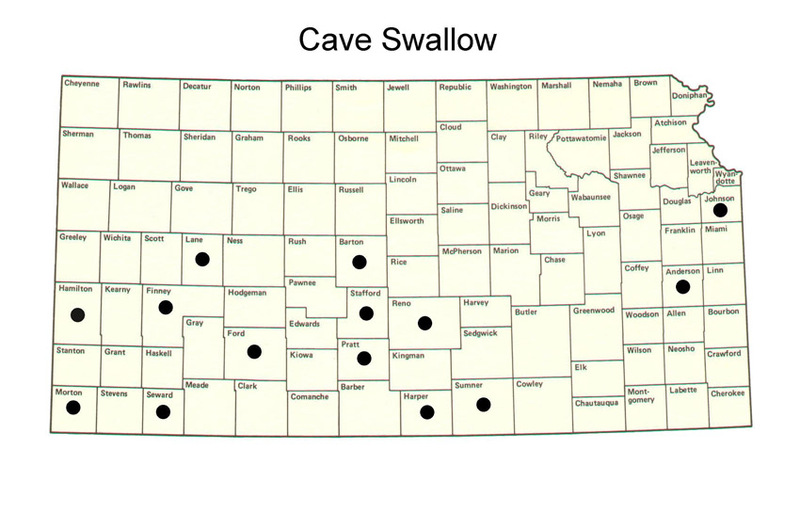 These species have been convincingly documented with written information, but yet to be substantiated with physical evidence, i.e. 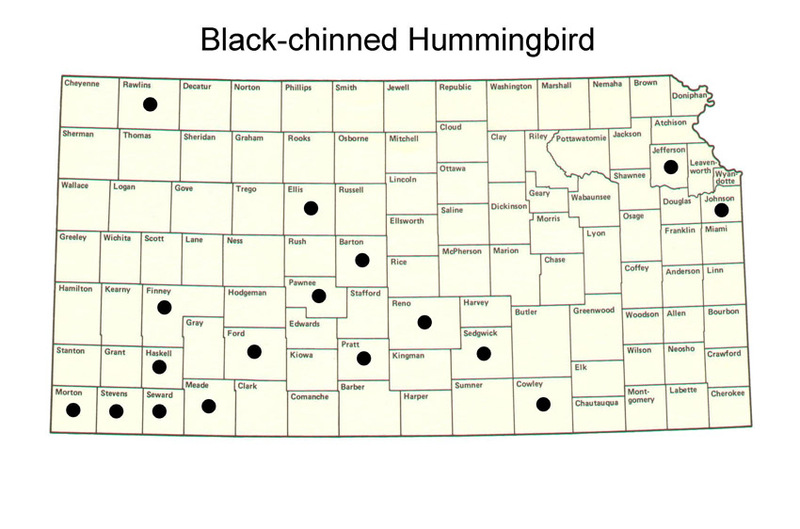 photo, video, specimen, etc. 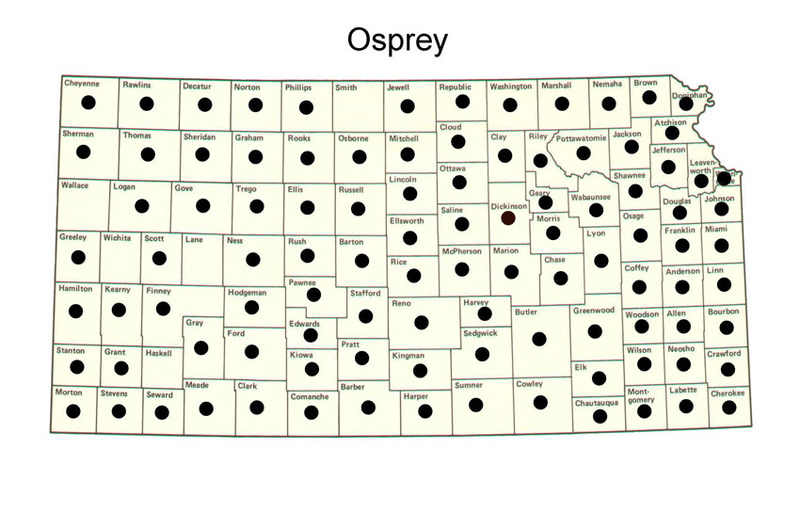 Please report any errors in these maps or problems accessing them to Chuck Otte, cotte@ksu.edu . 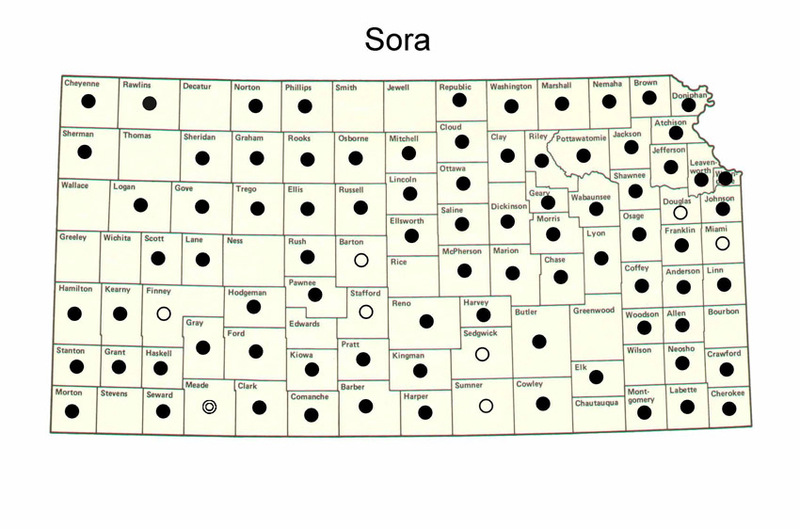 Maps updated as of March, 2019. 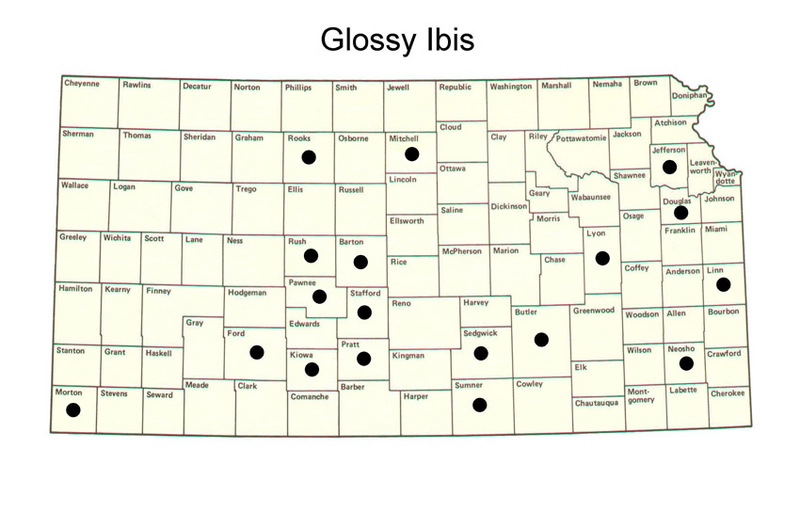 A listing of the species seen in 100 or more counties. 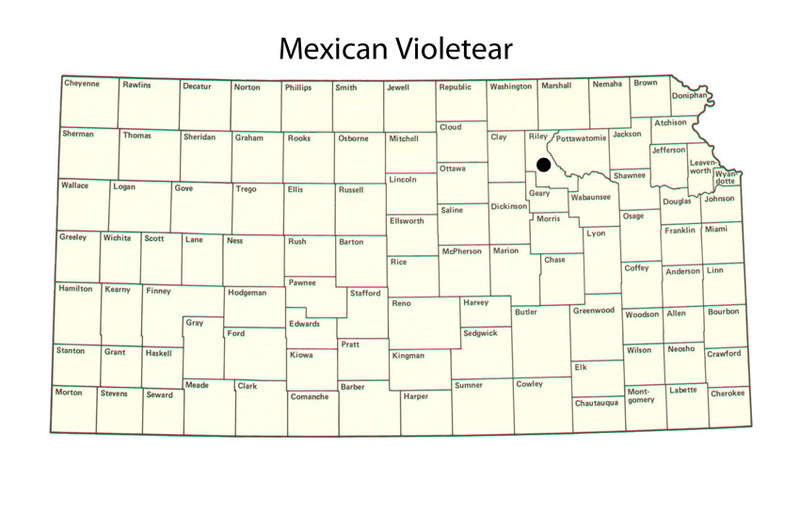 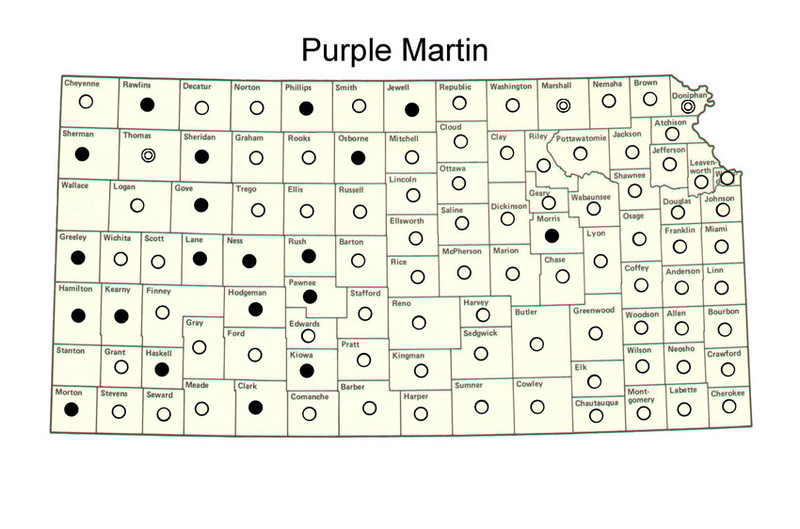 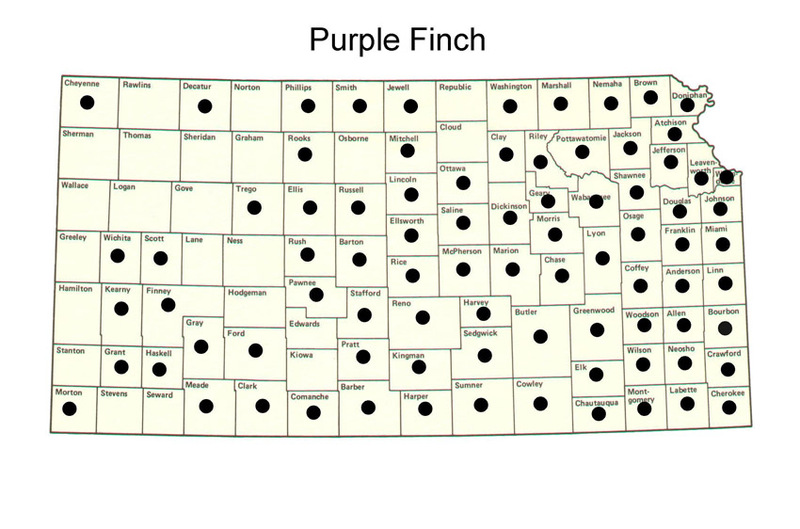 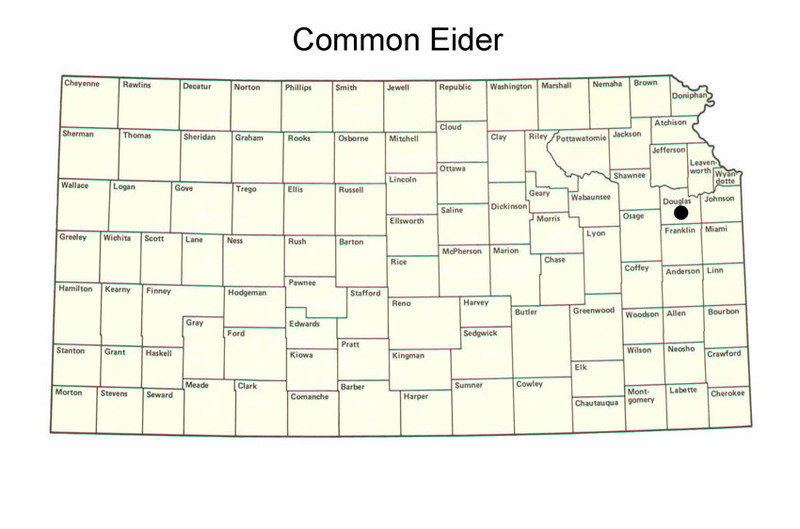 Species names in this colored type (lavender) have no breeding record for Kansas. 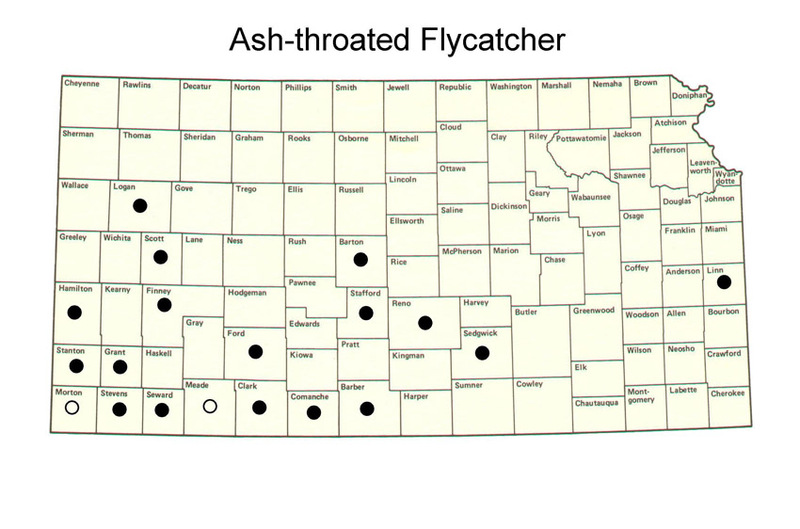 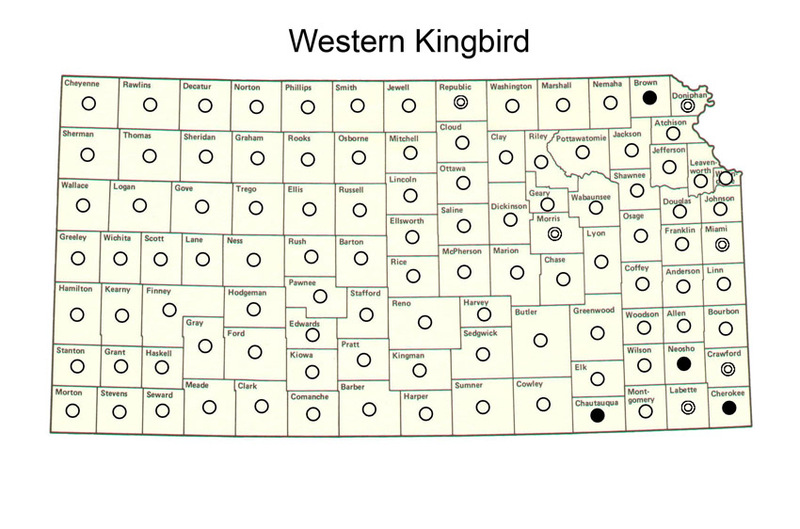 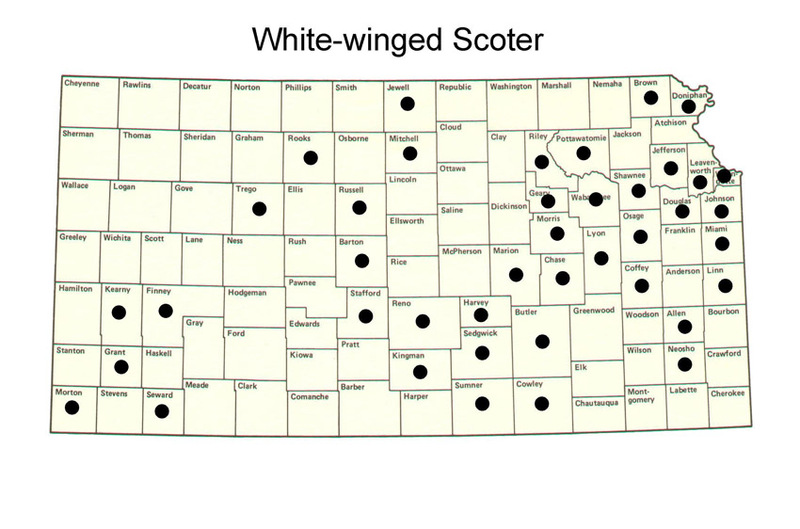 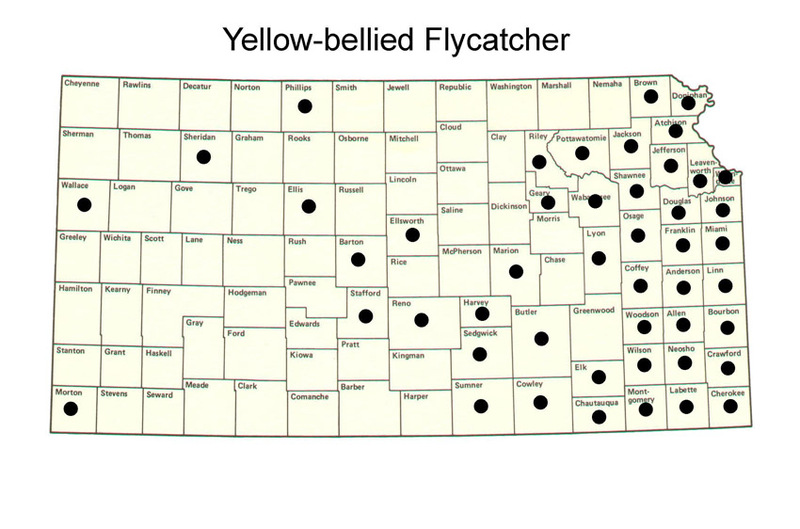 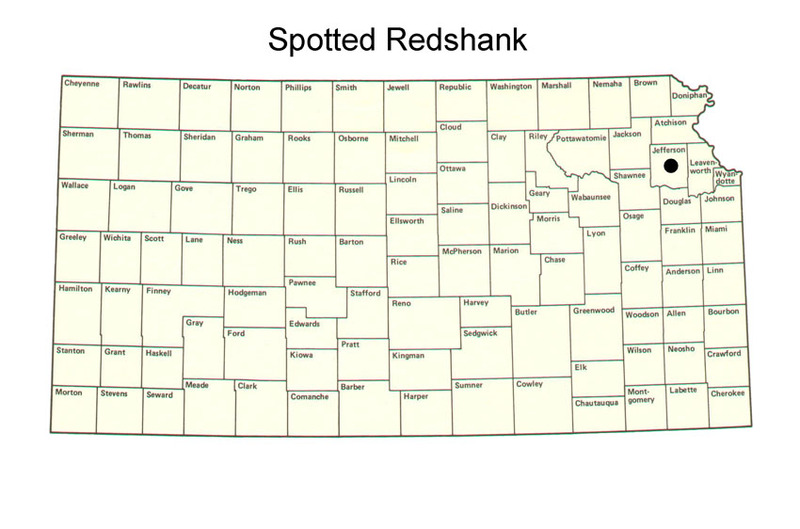 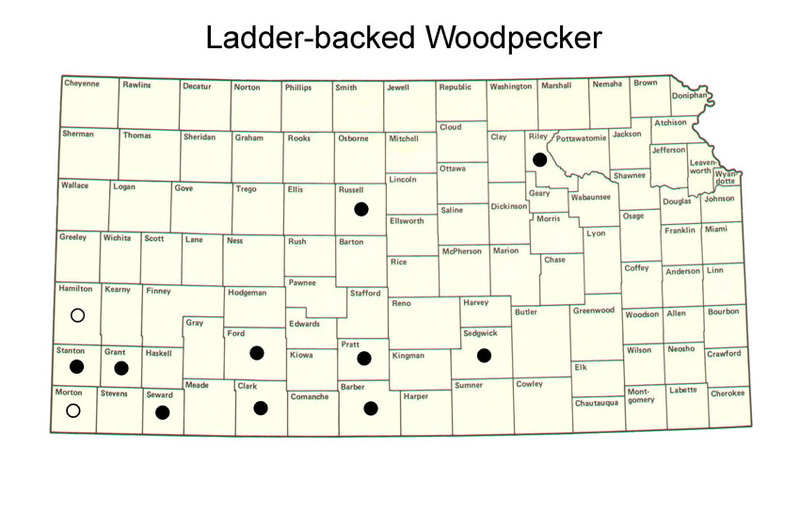 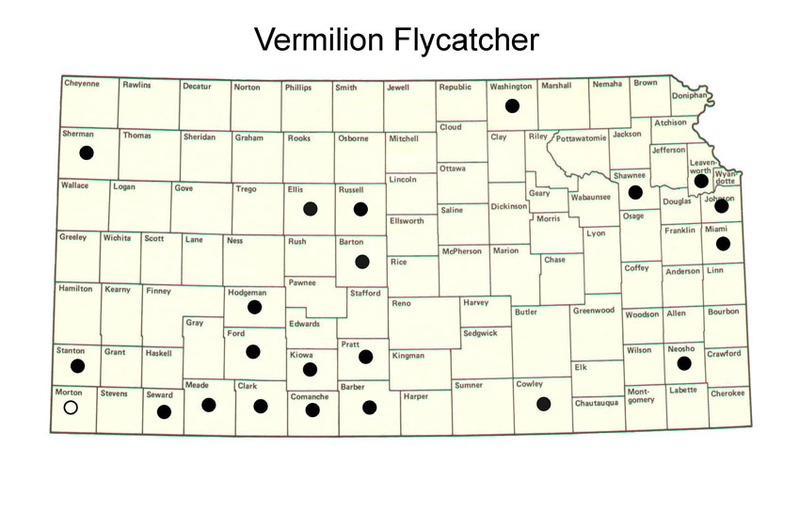 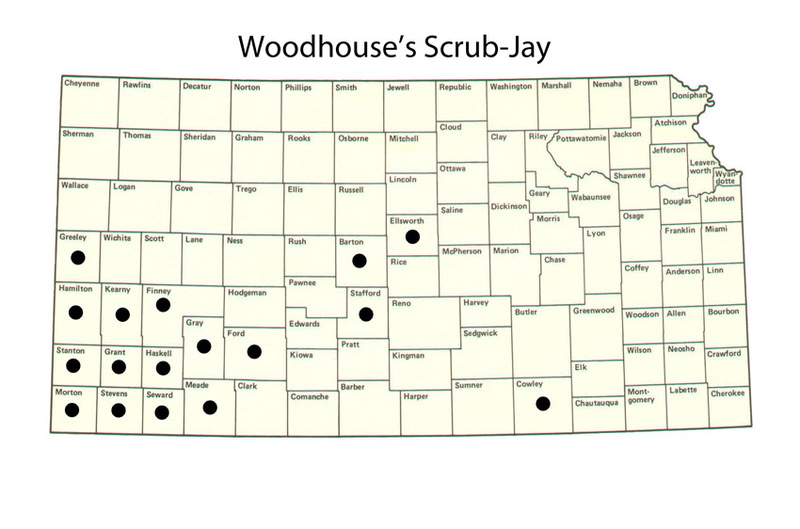 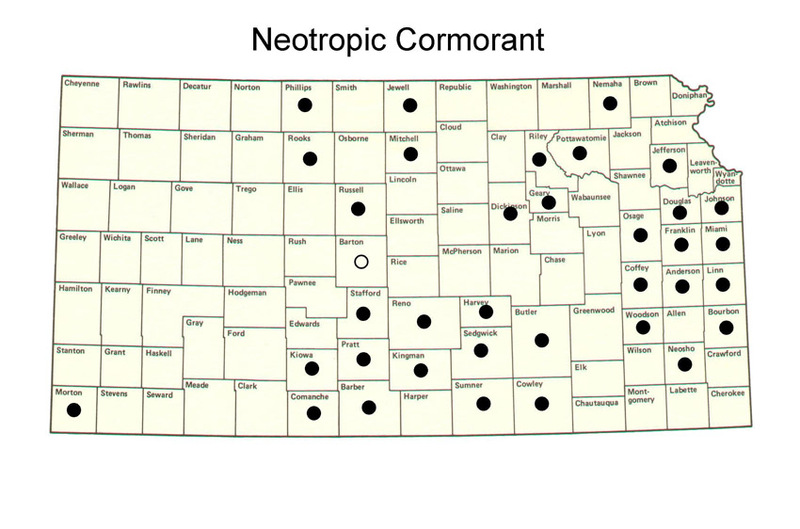 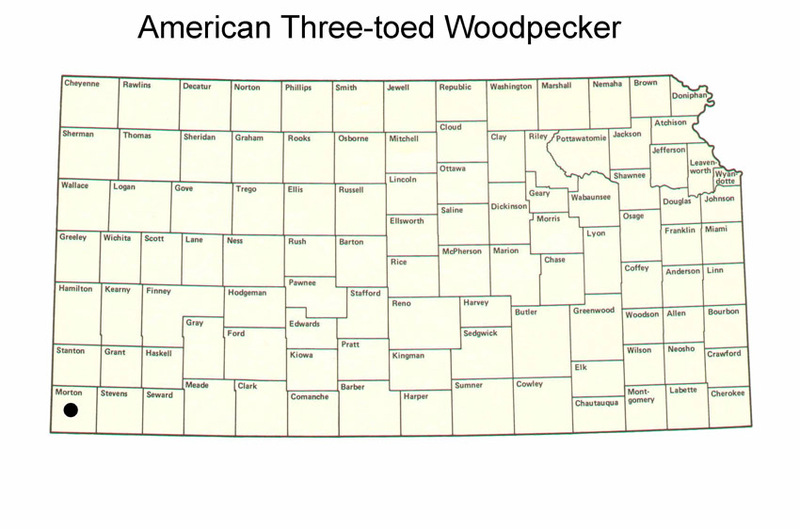 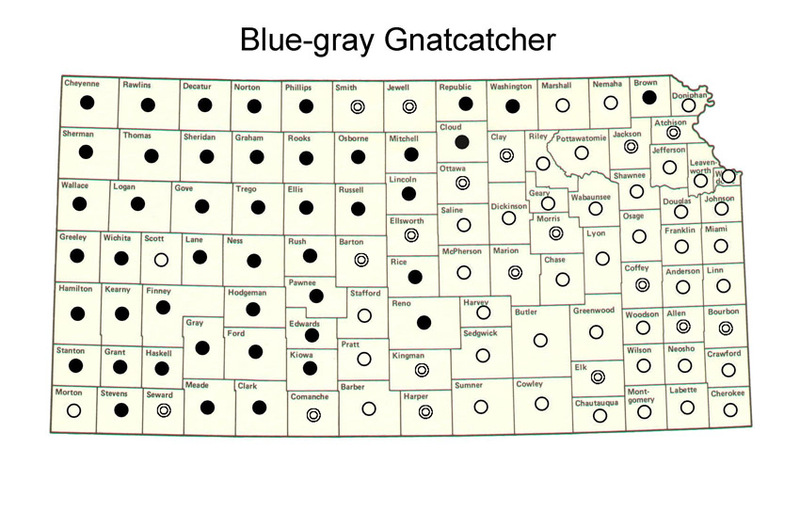 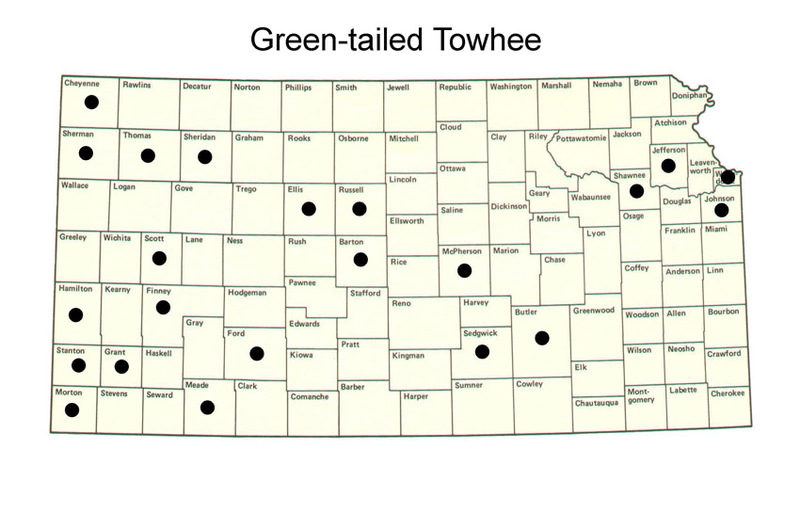 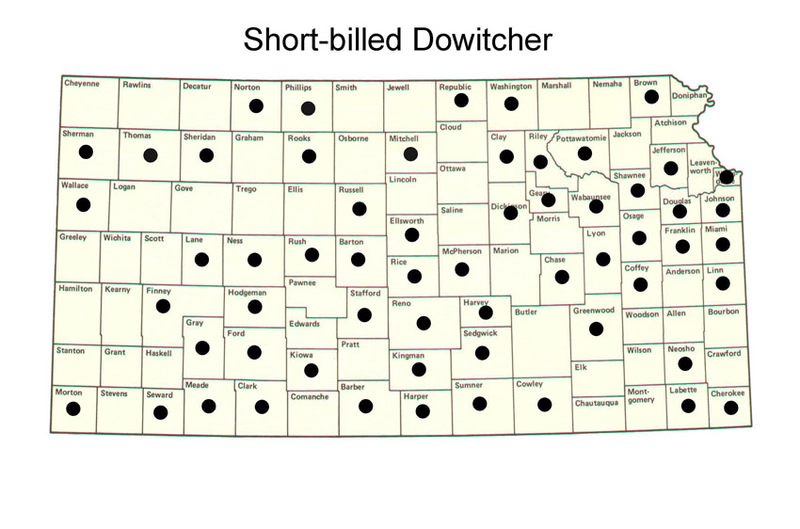 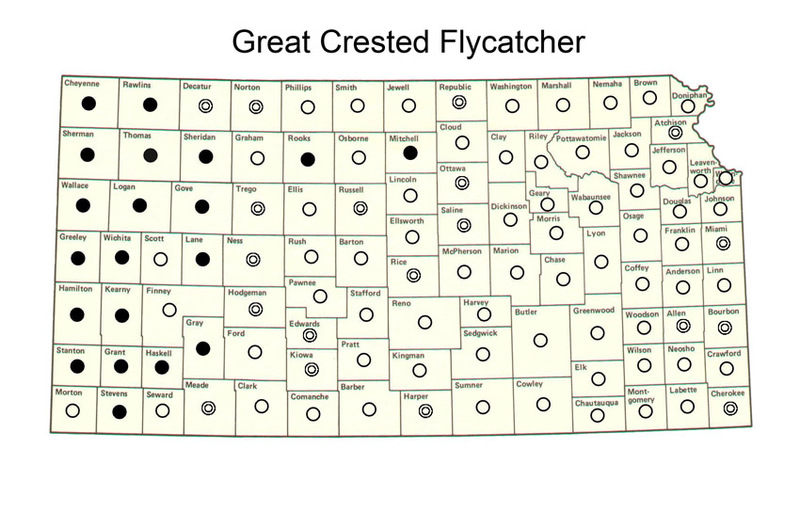 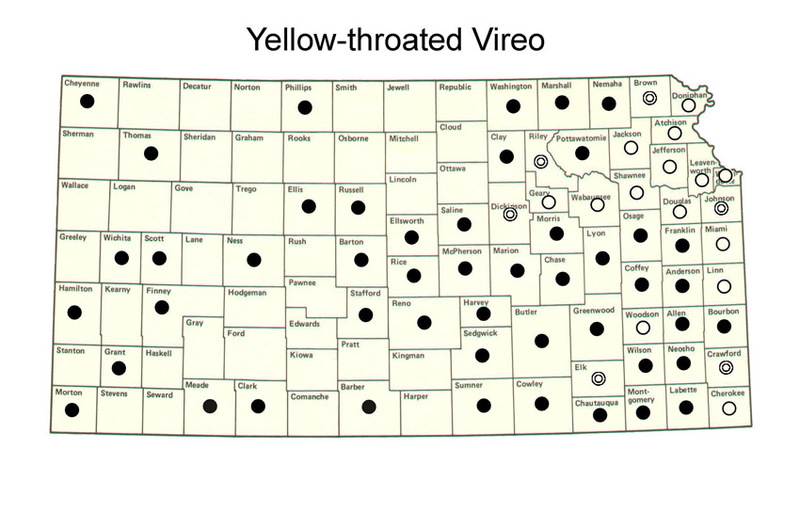 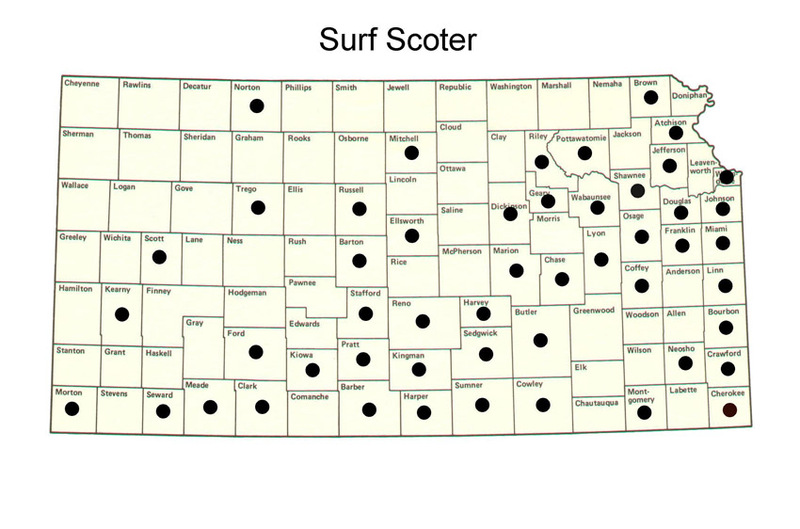 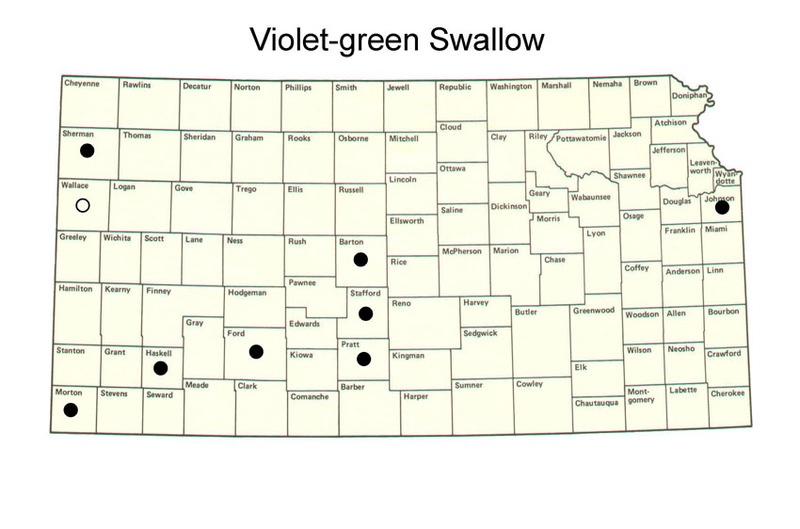 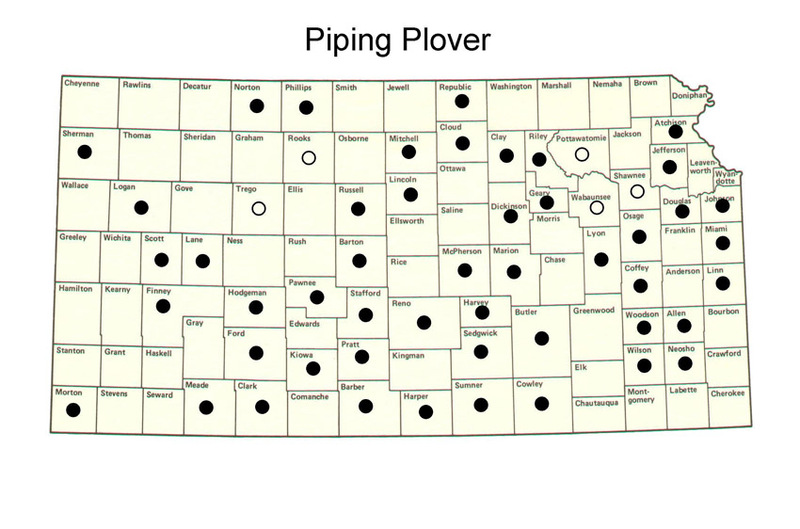 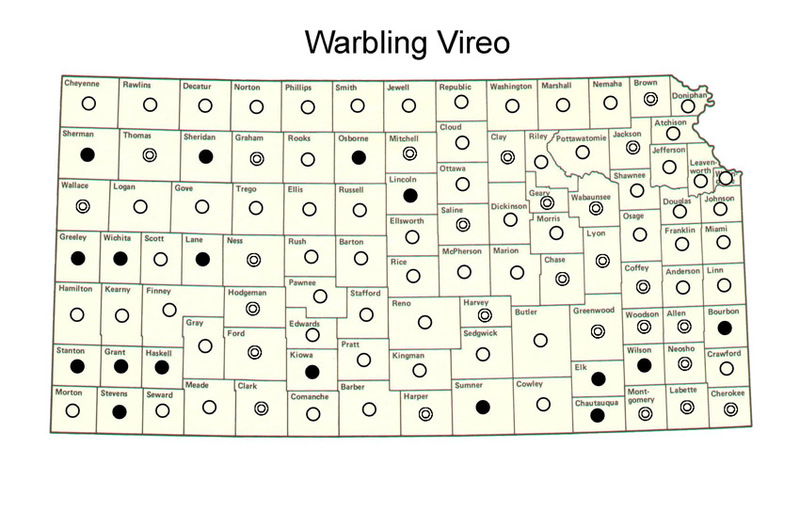 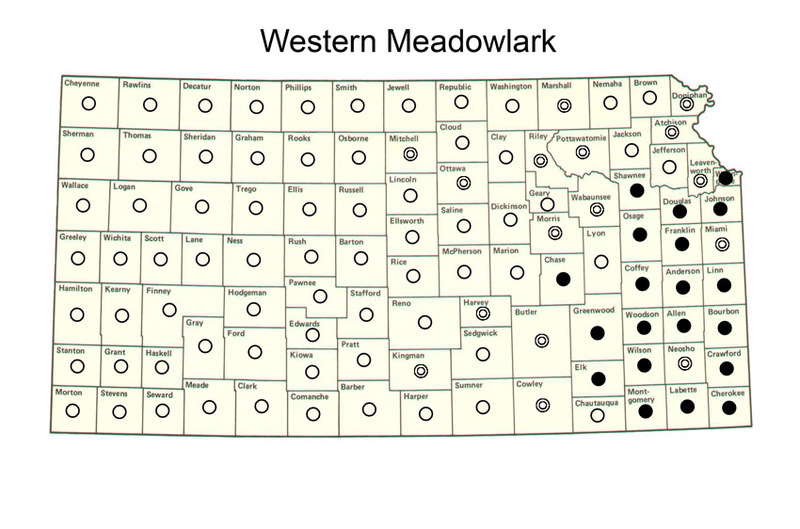 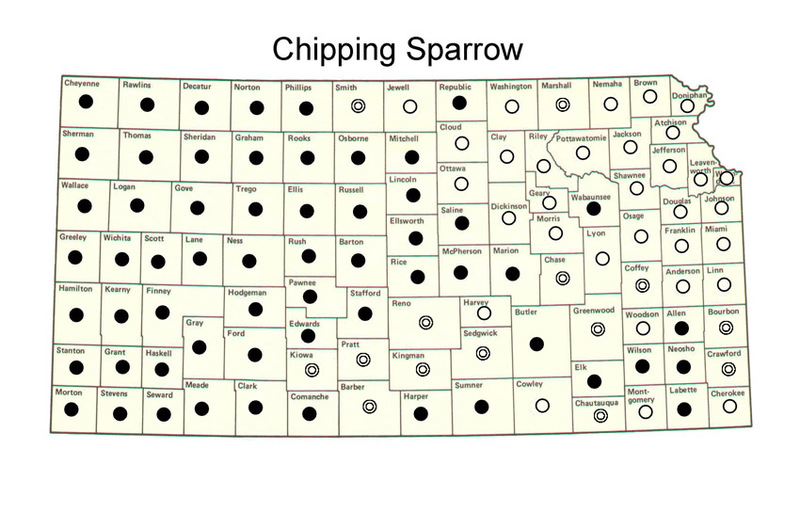 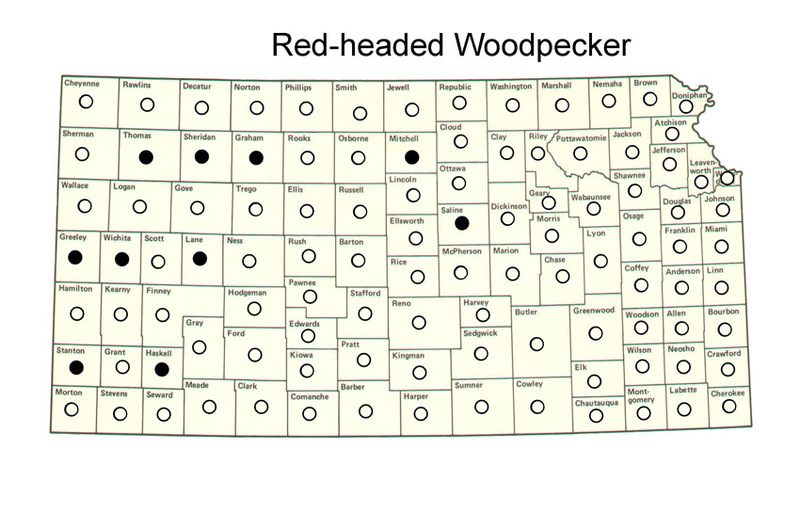 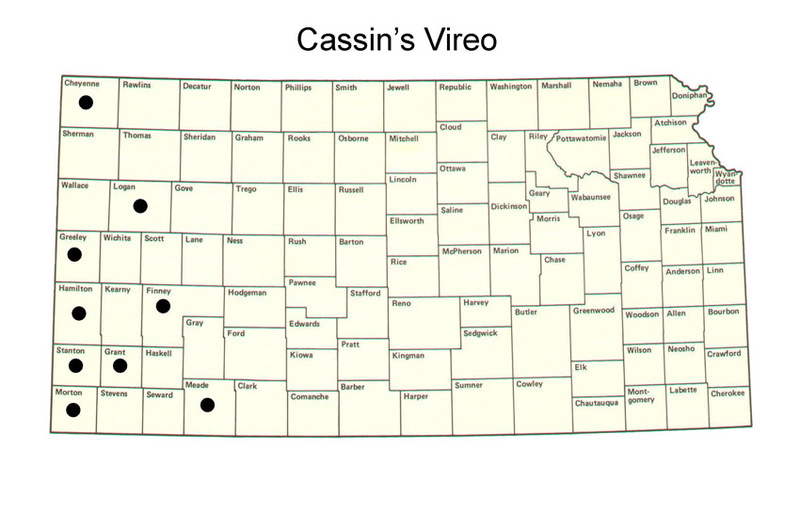 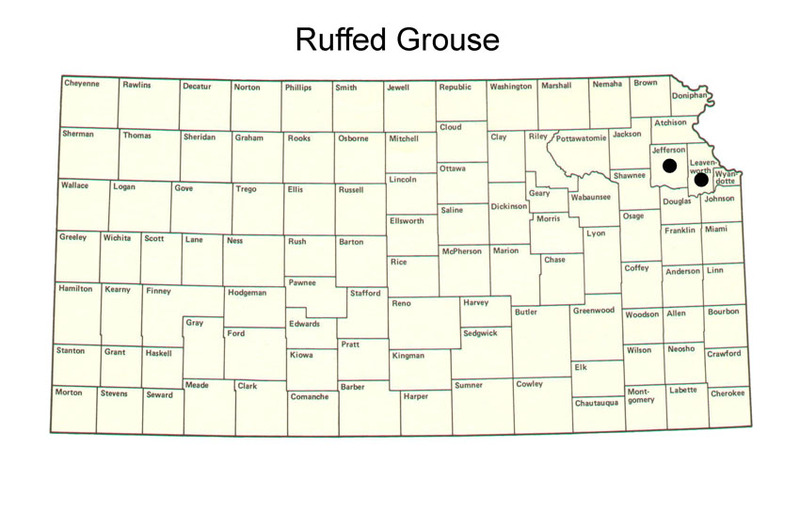 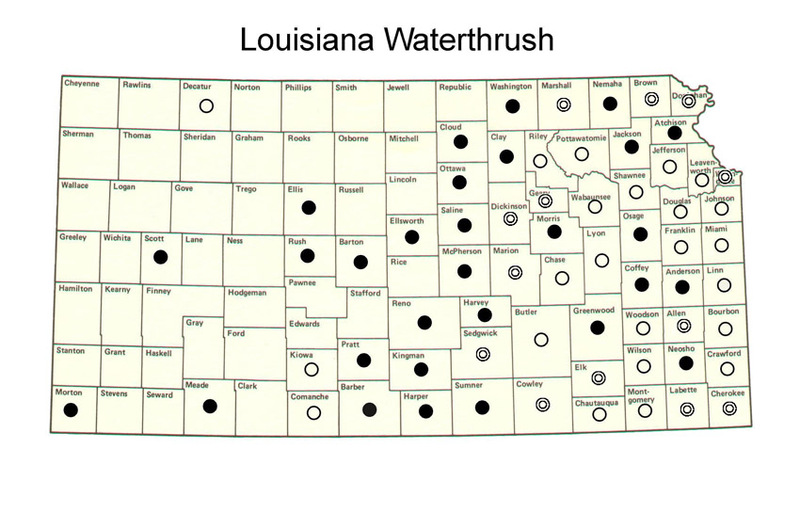 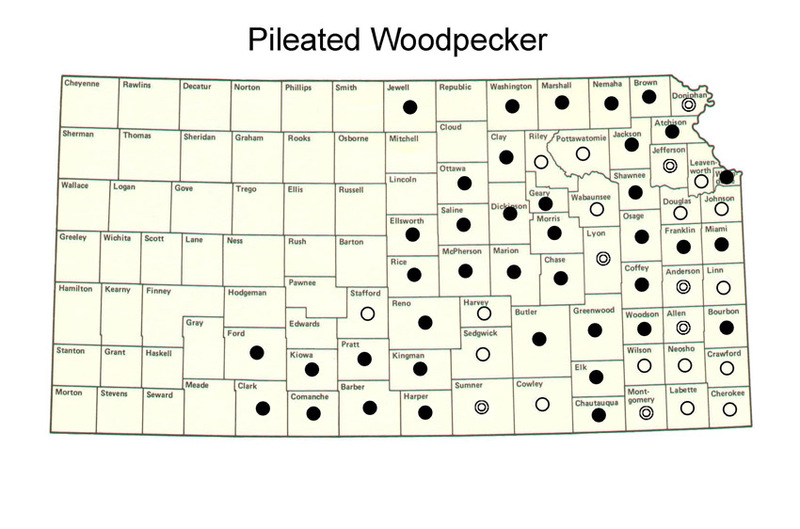 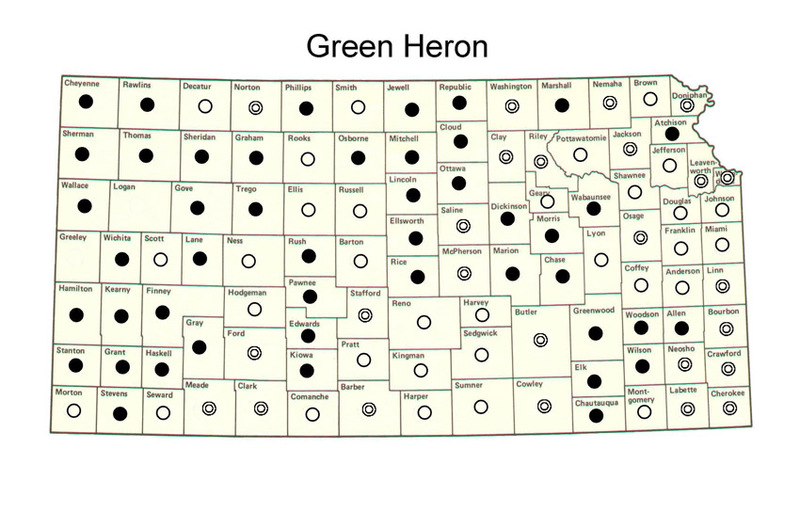 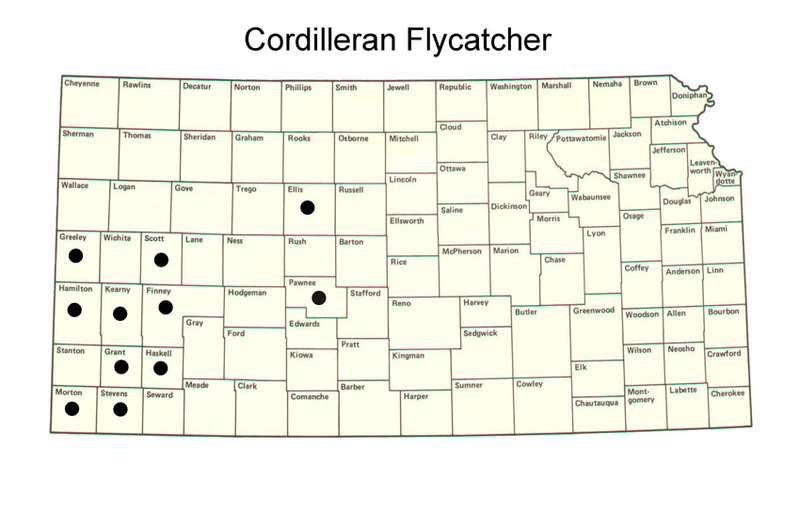 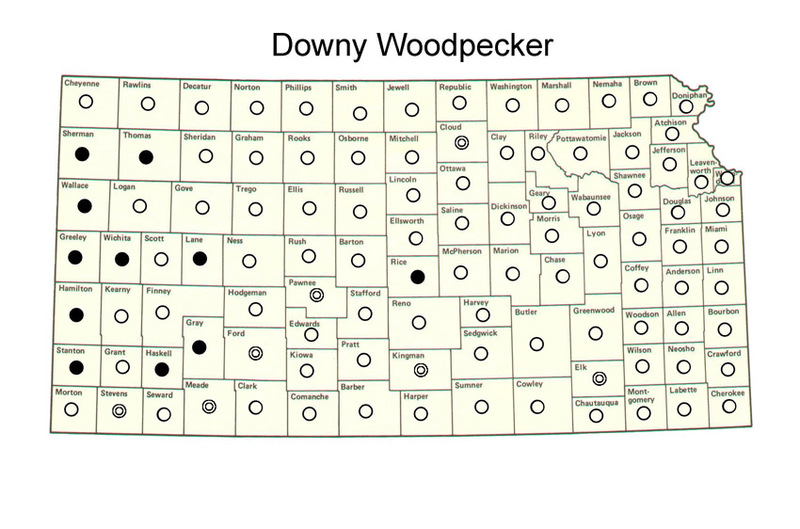 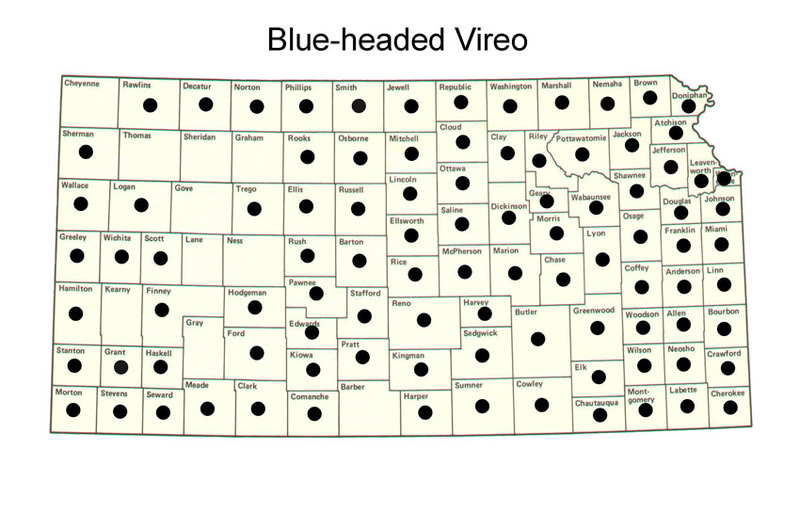 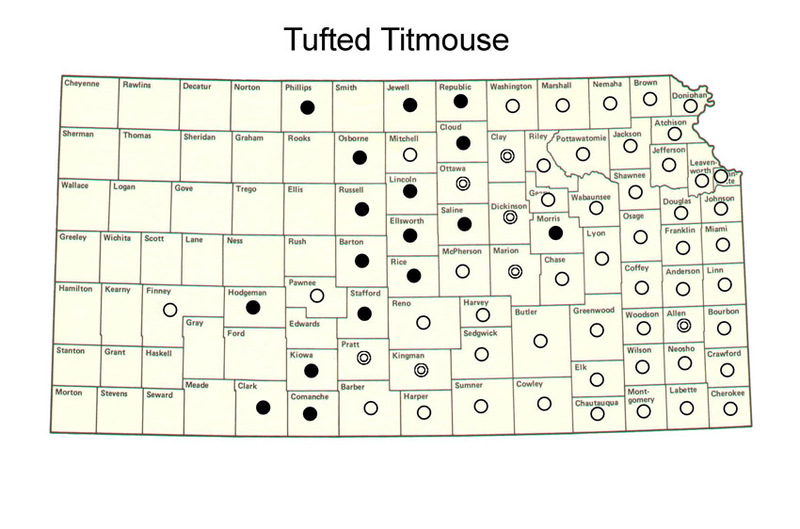 Species in this colored type (green) have breeding records for Kansas. 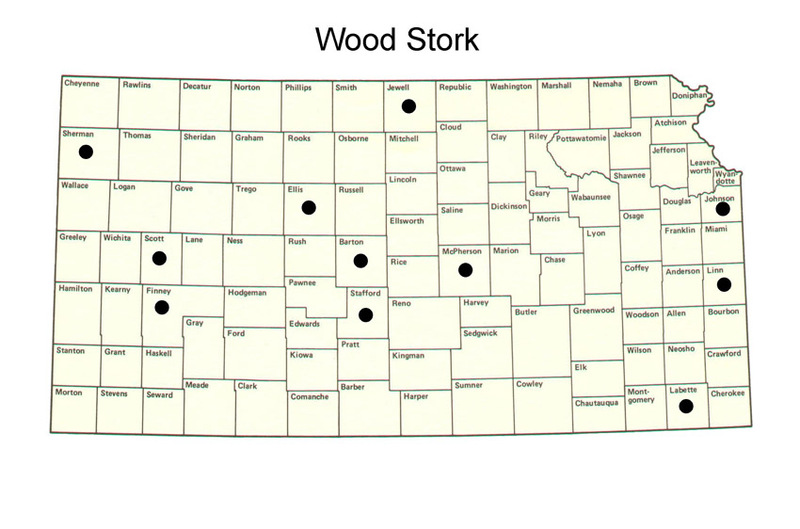 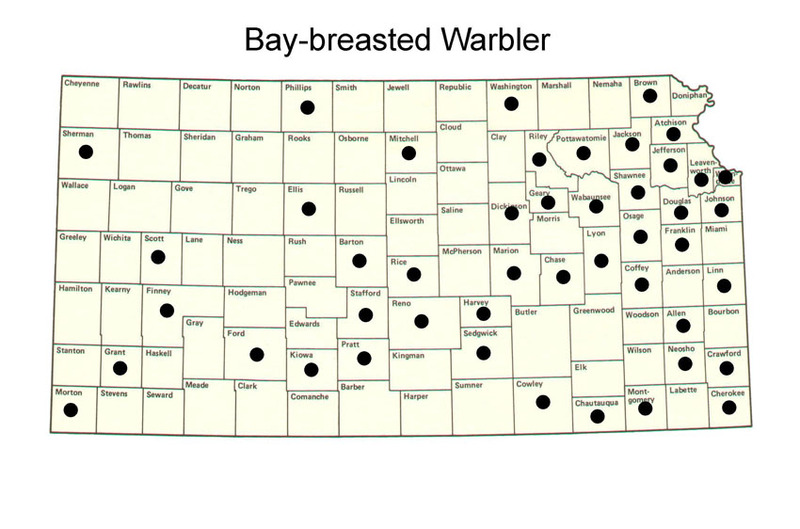 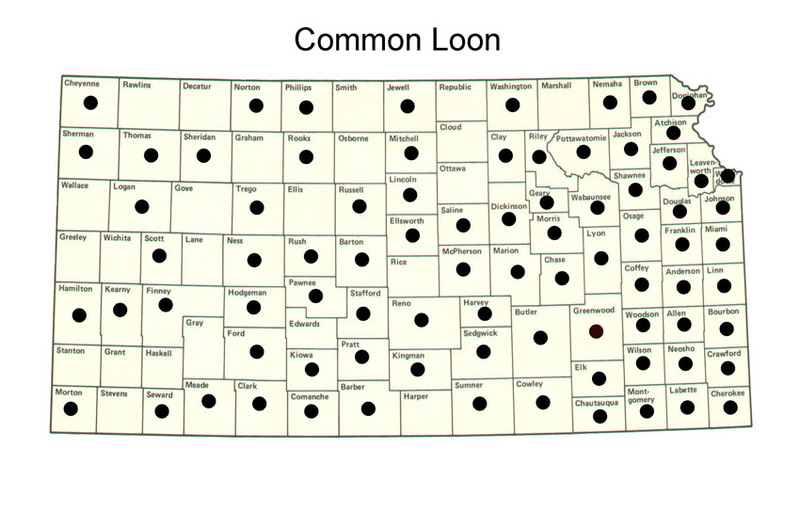 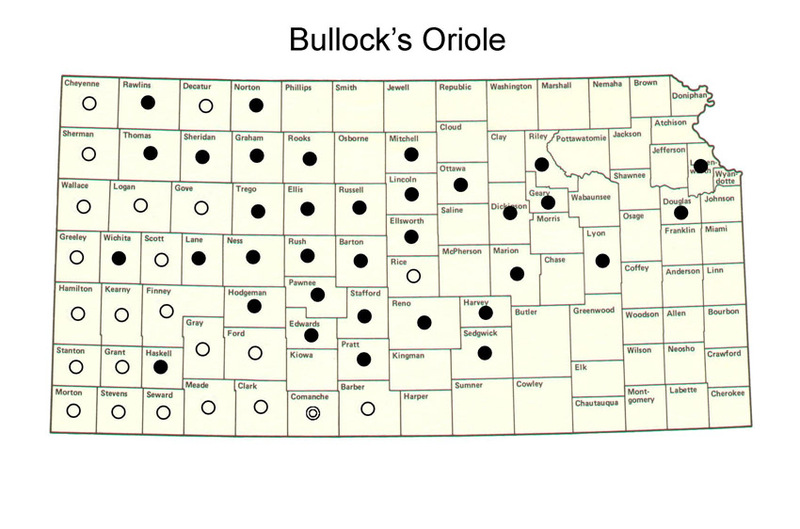 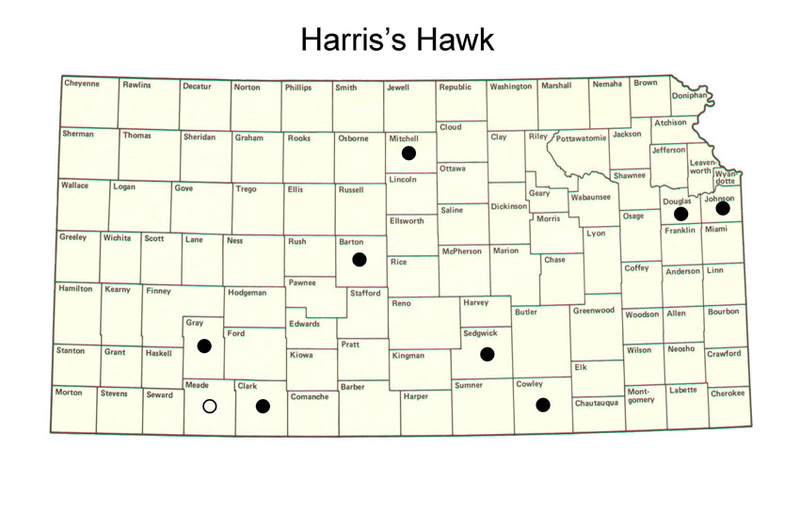 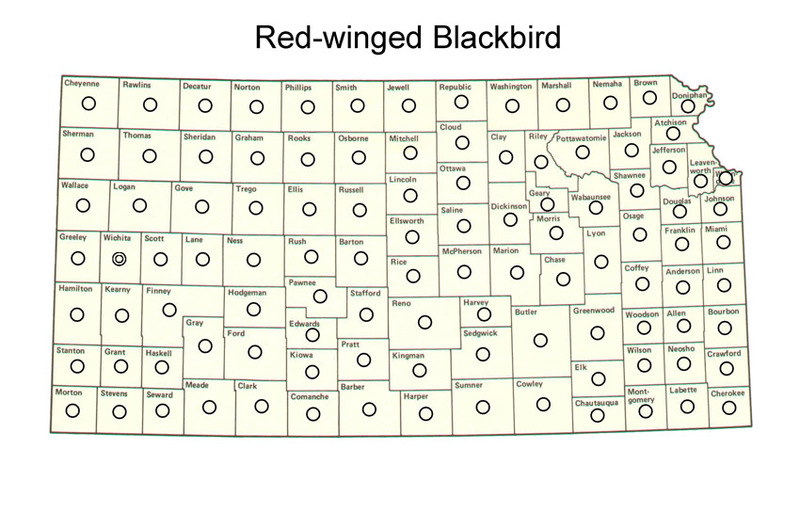 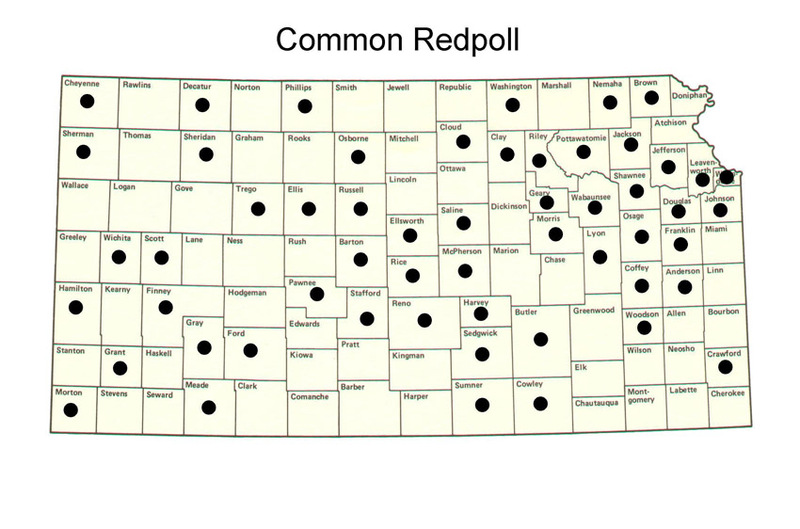 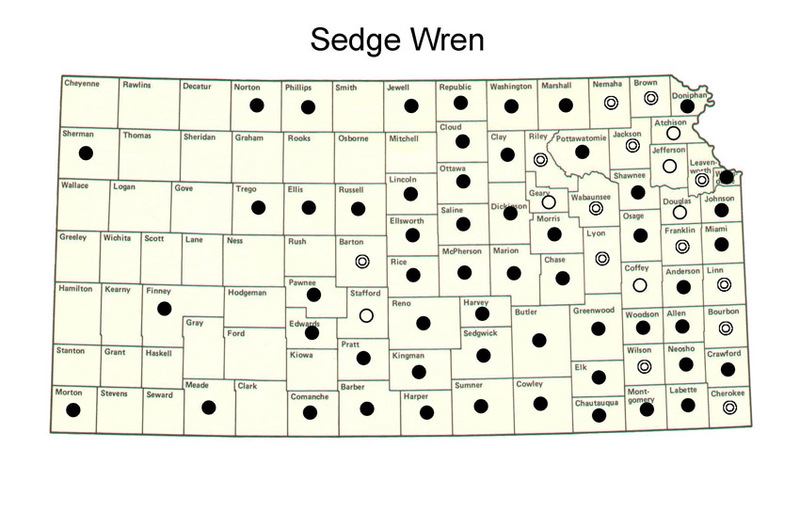 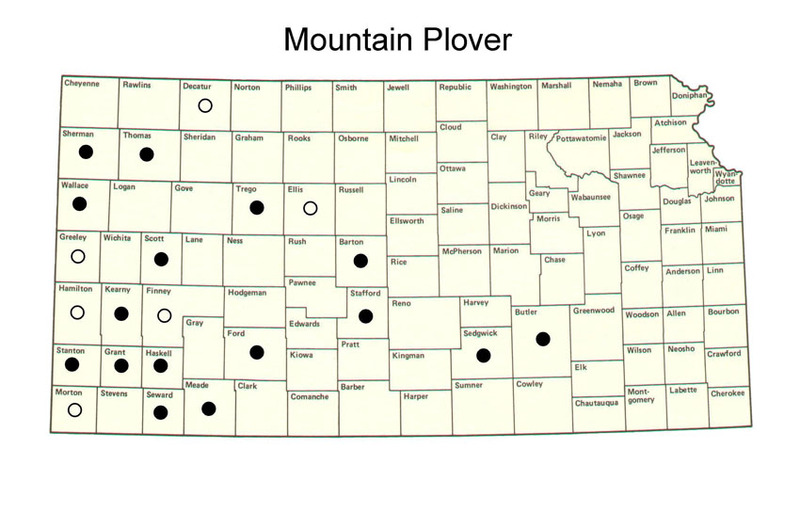 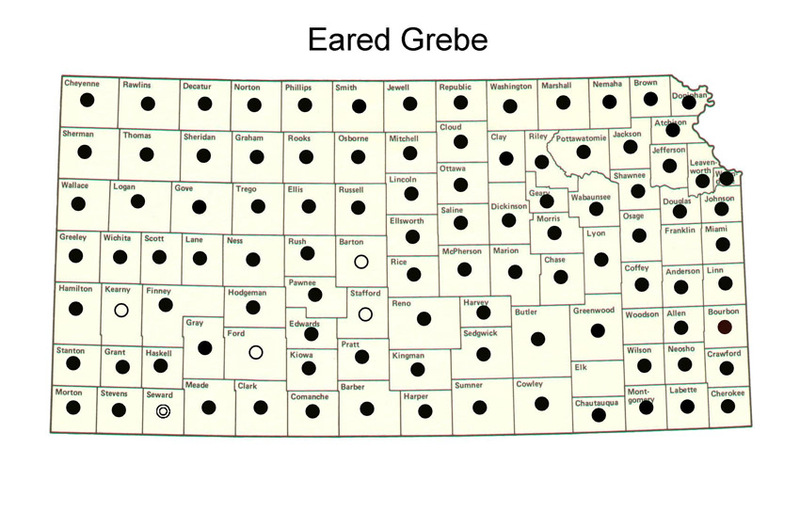 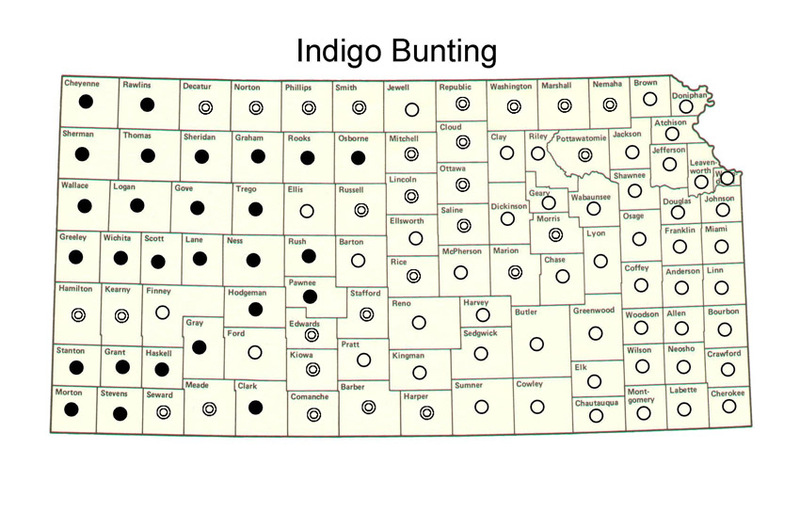 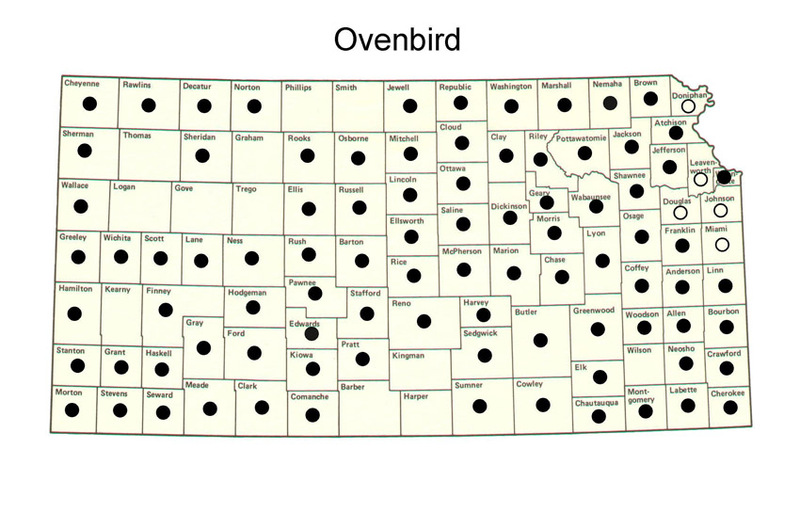 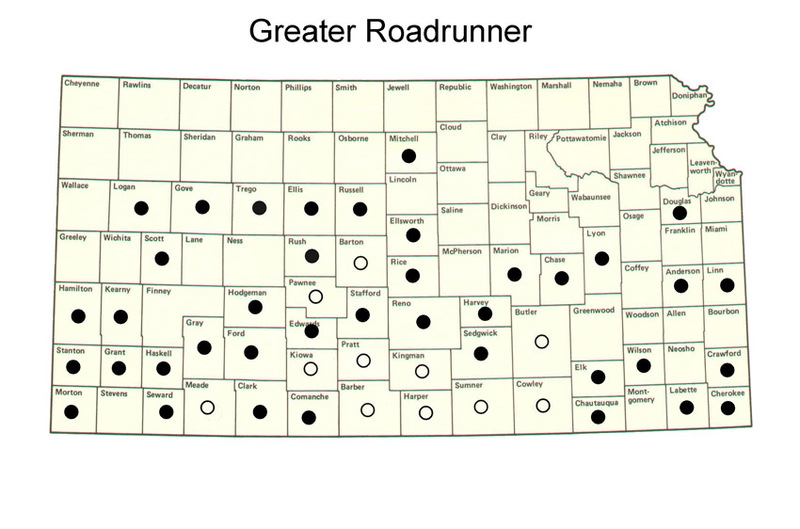 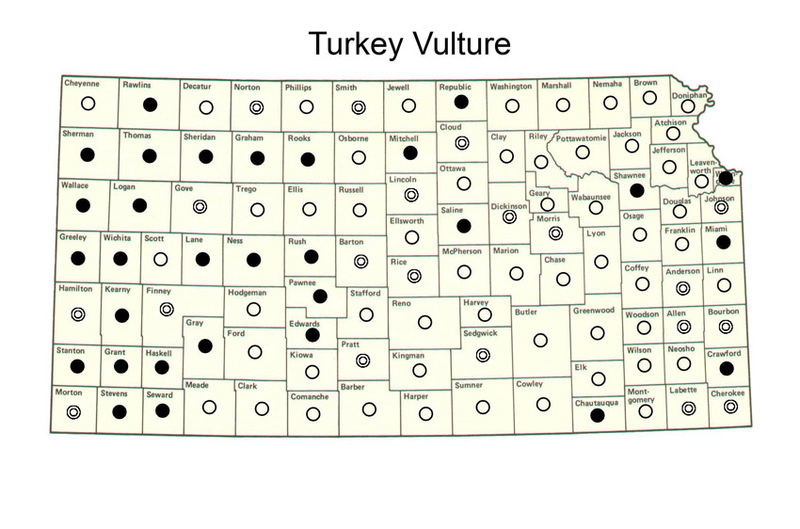 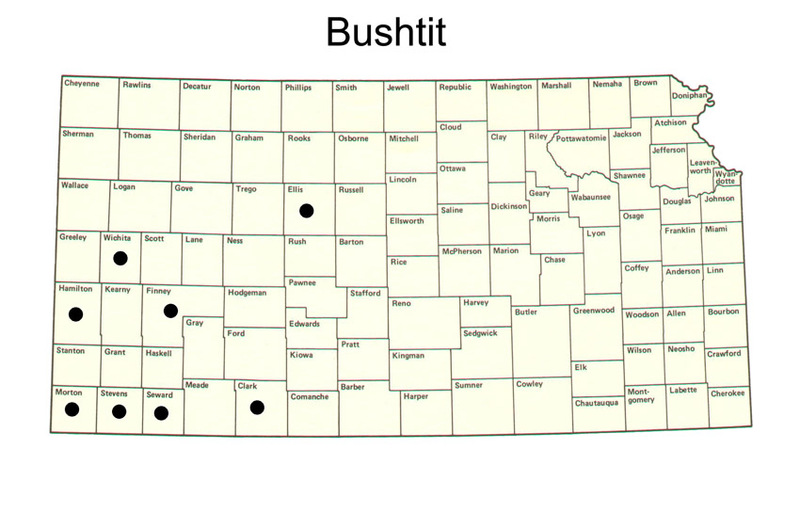 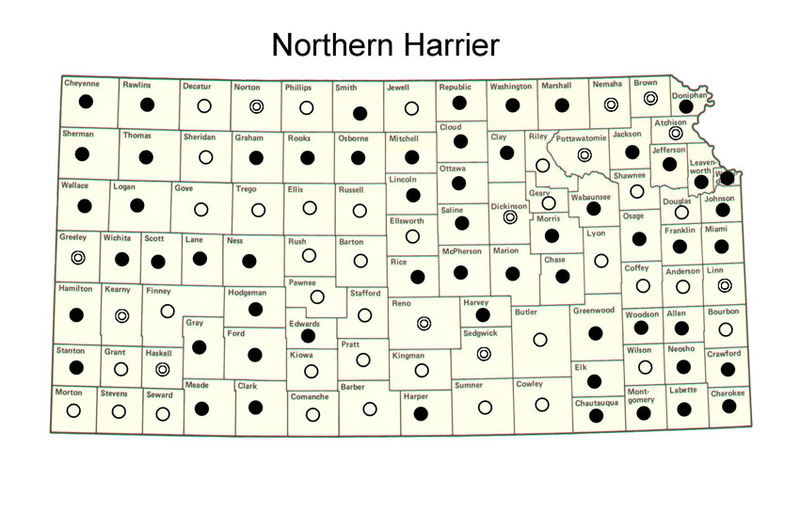 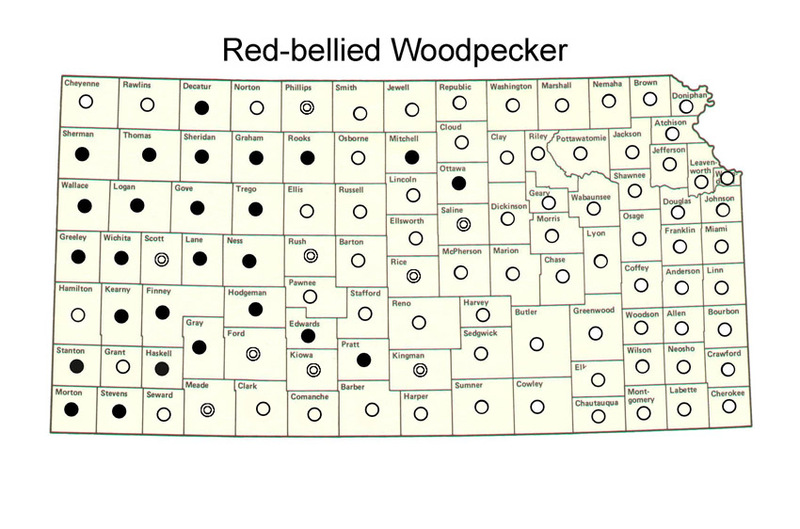 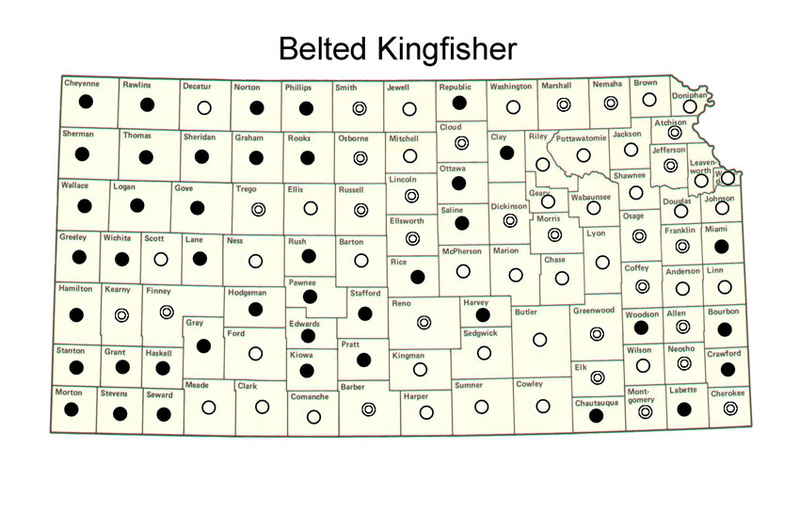 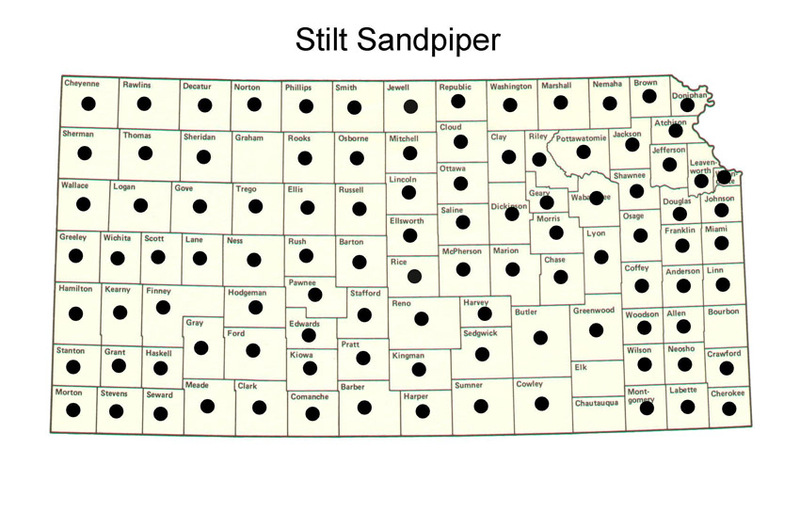 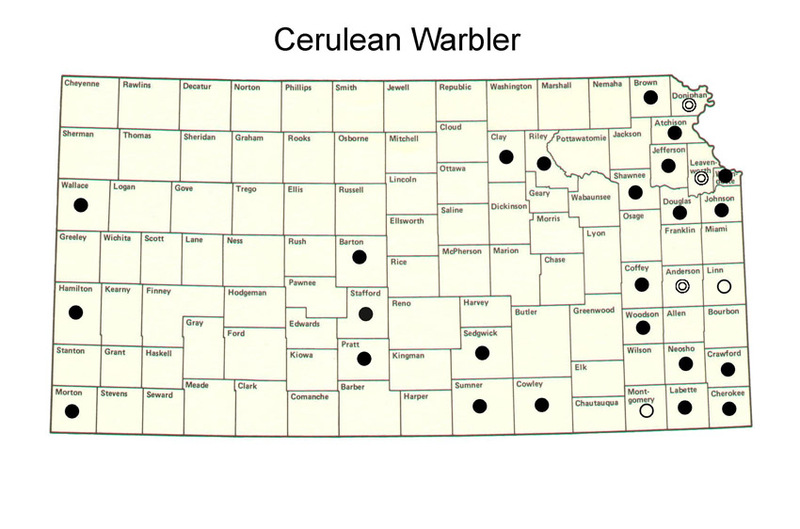 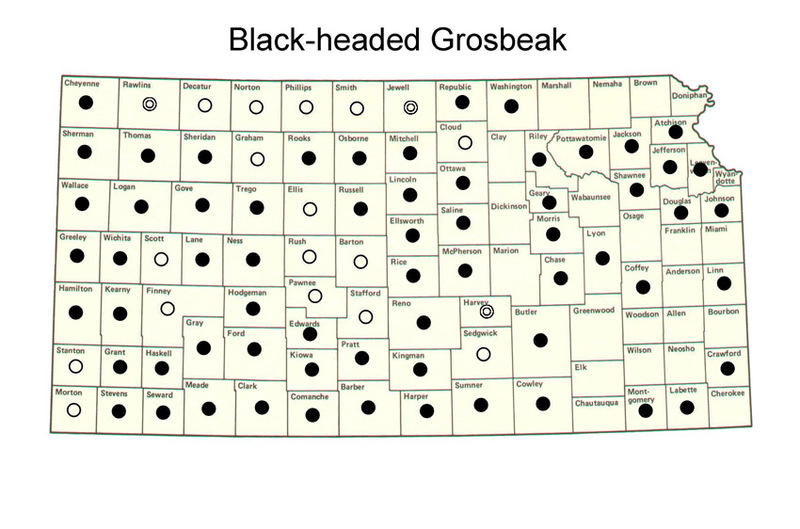 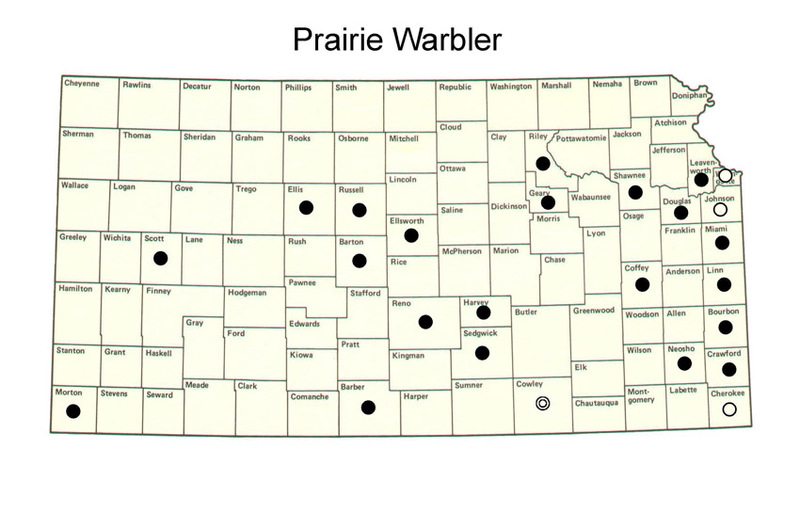 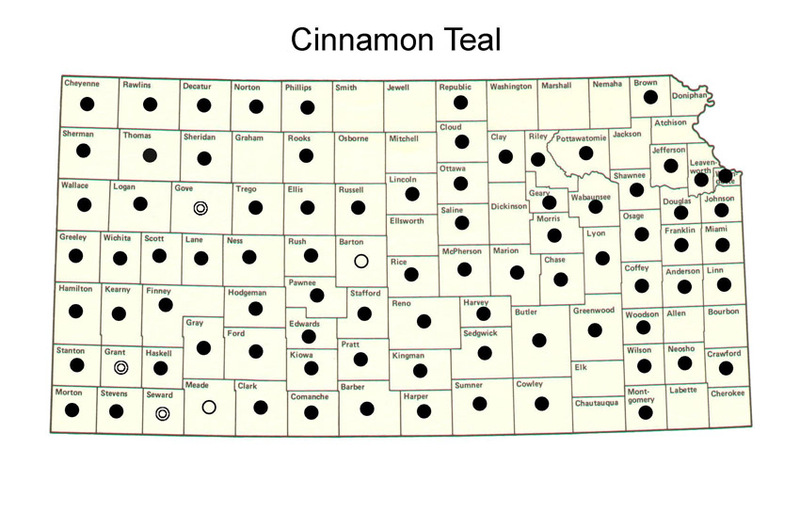 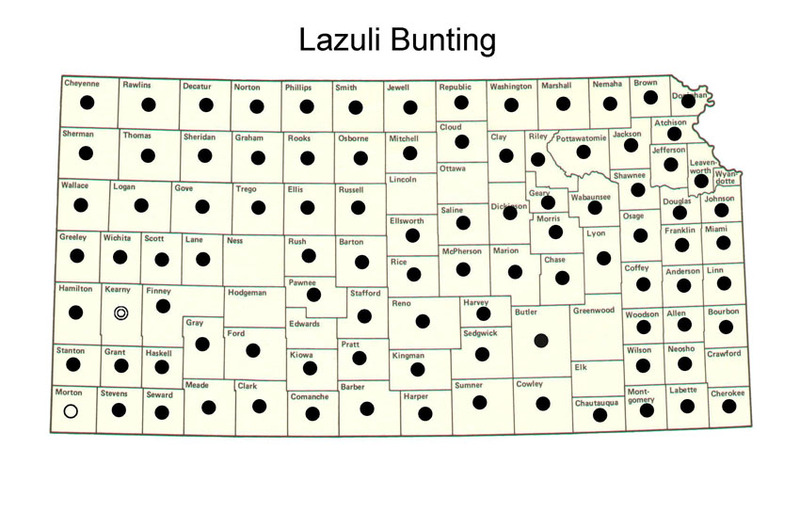 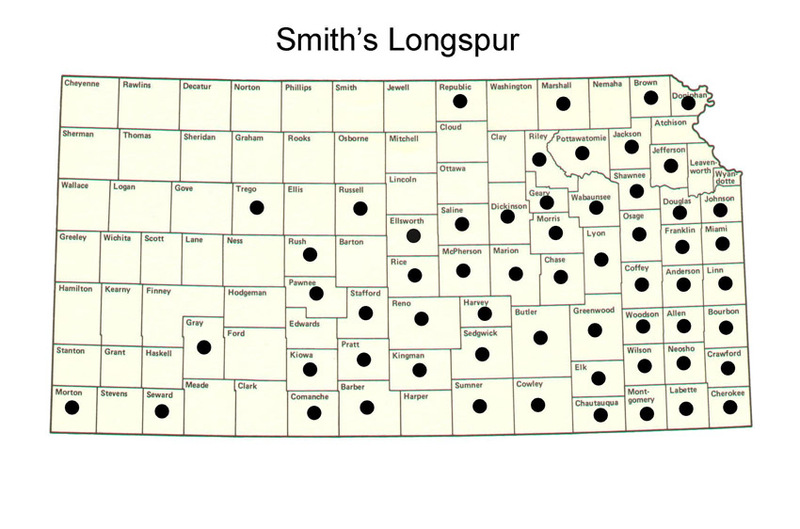 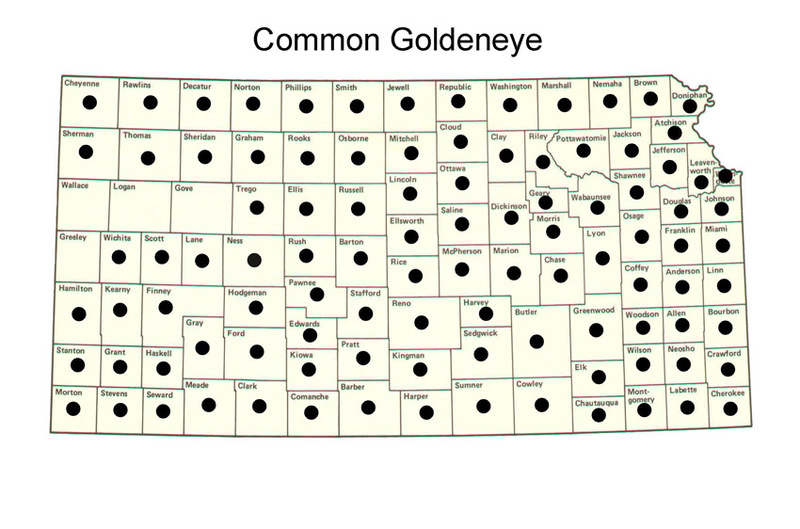 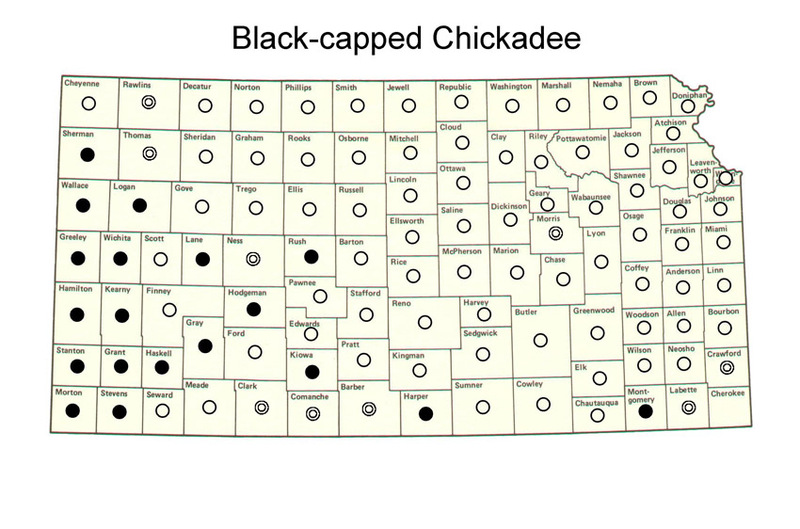 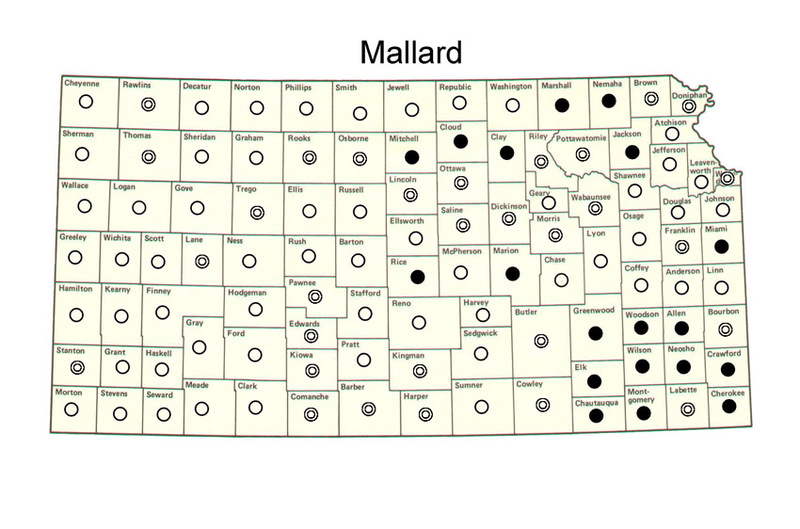 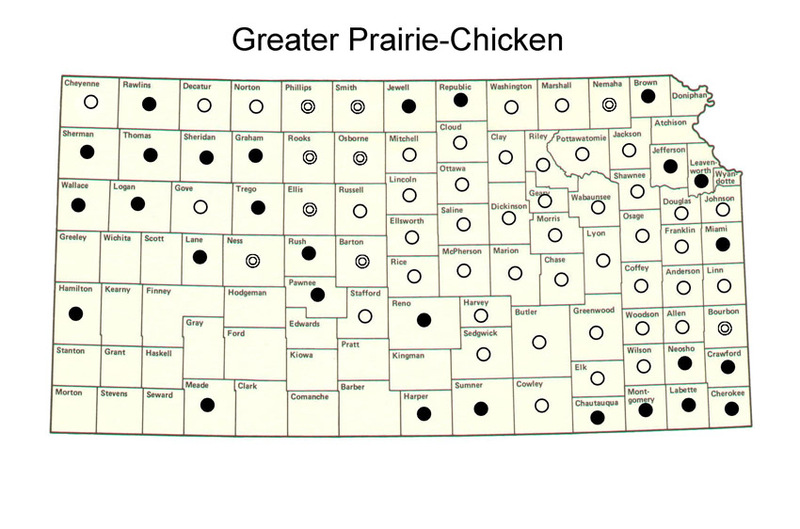 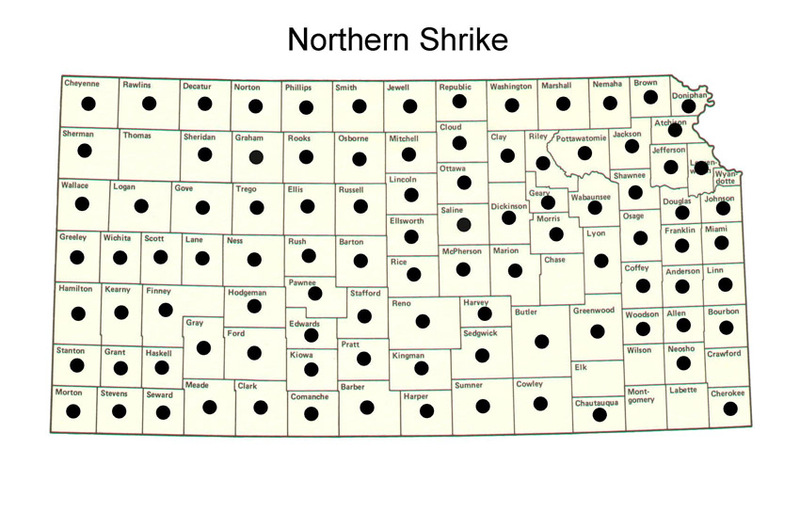 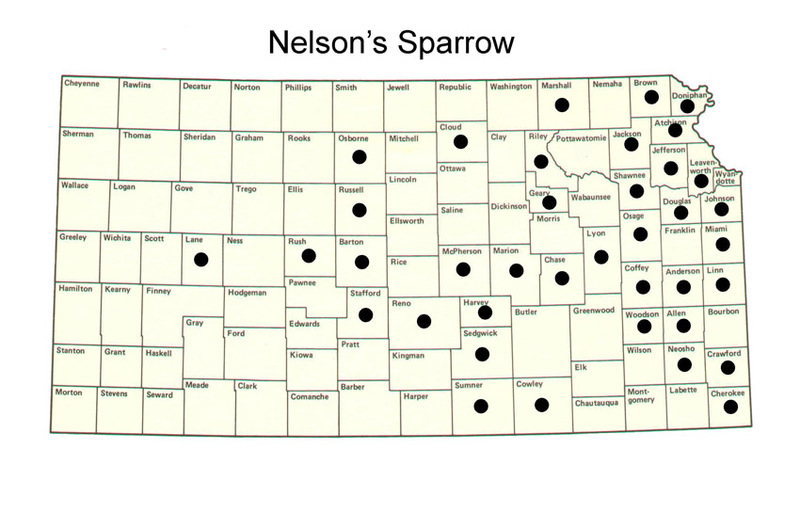 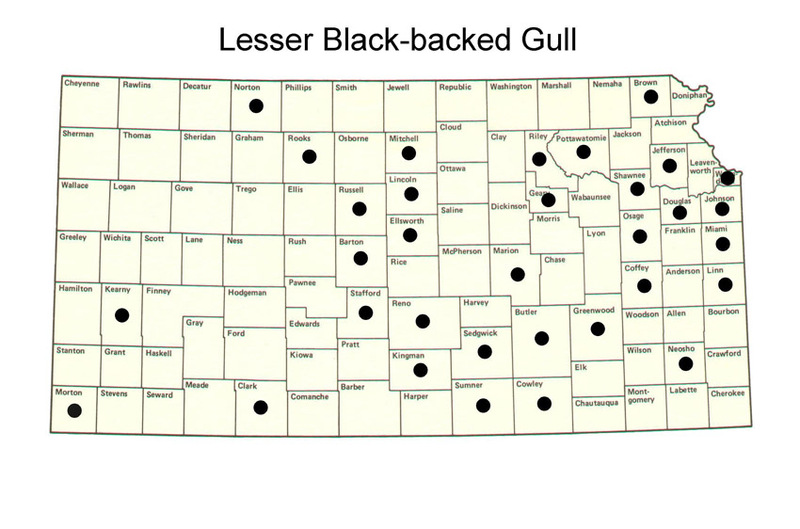 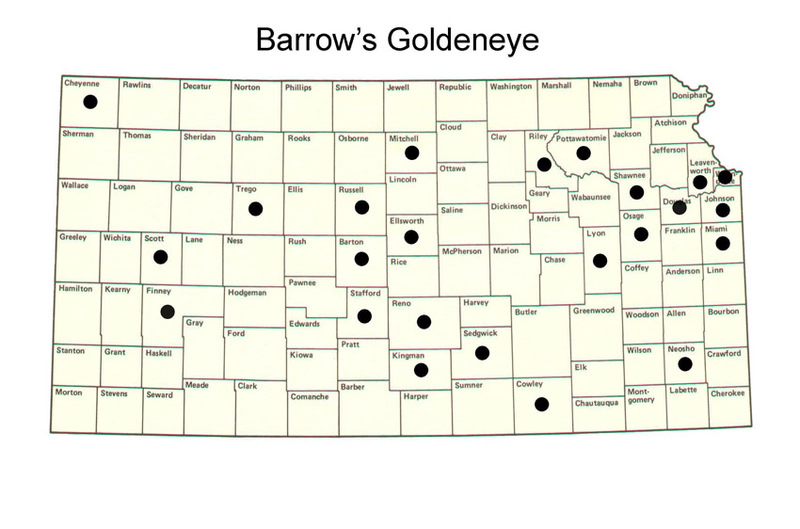 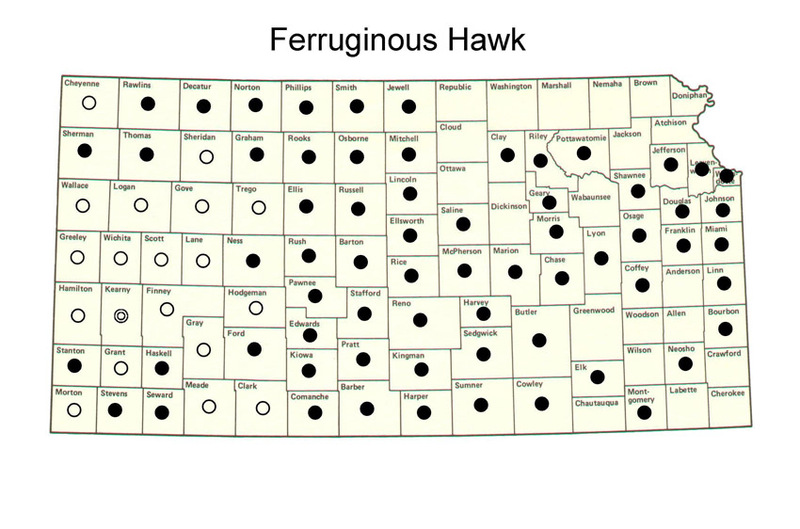 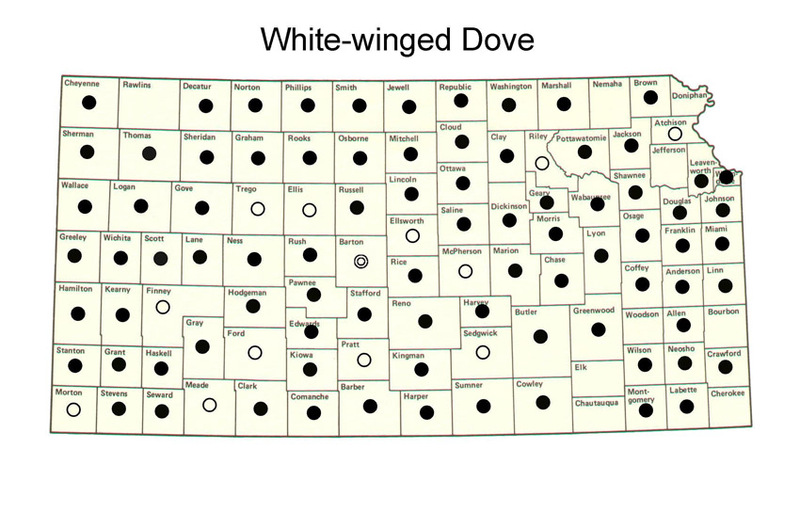 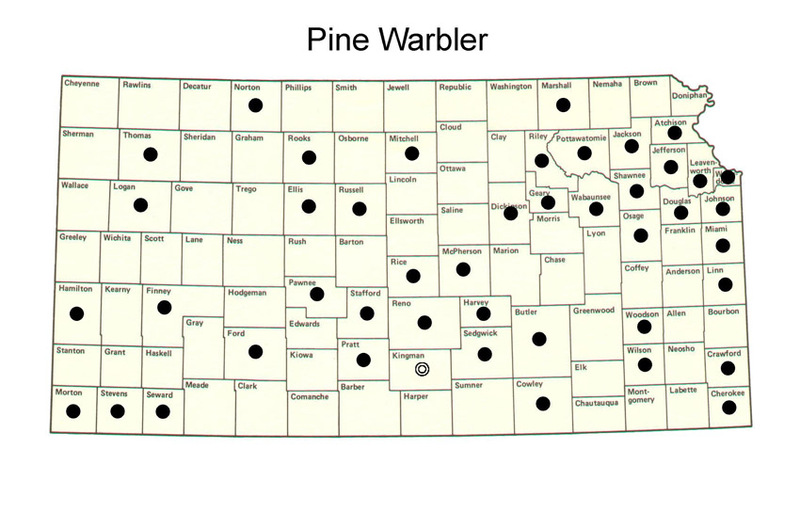 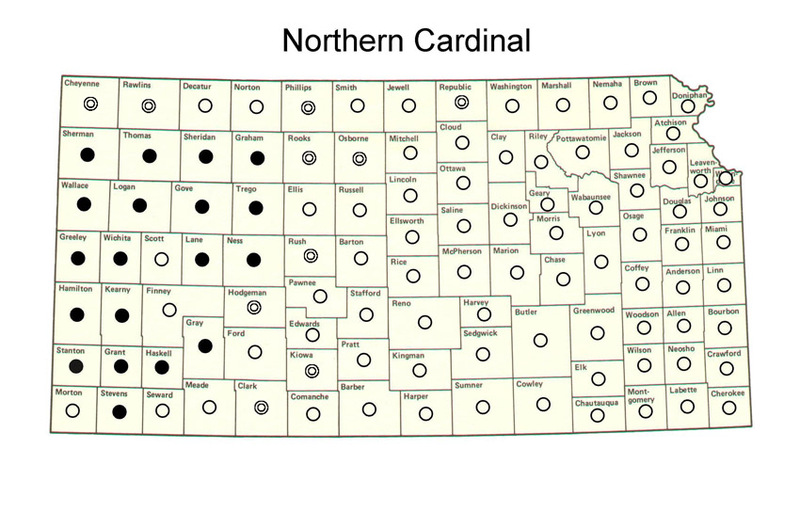 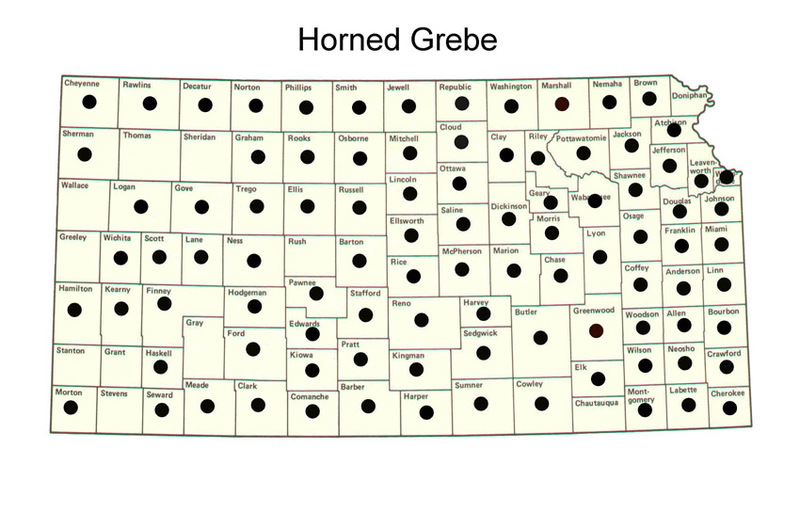 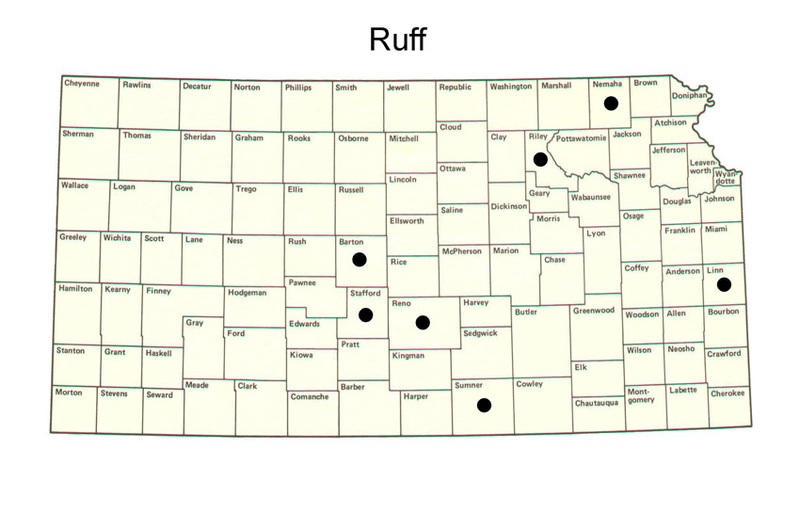 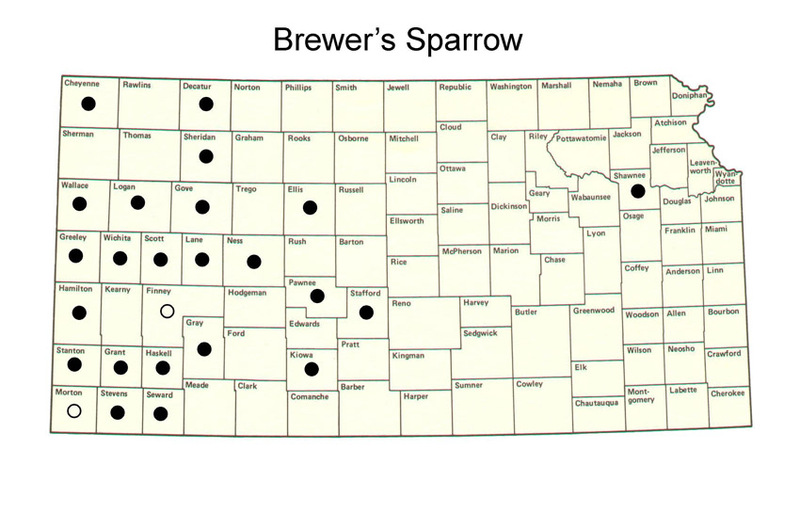 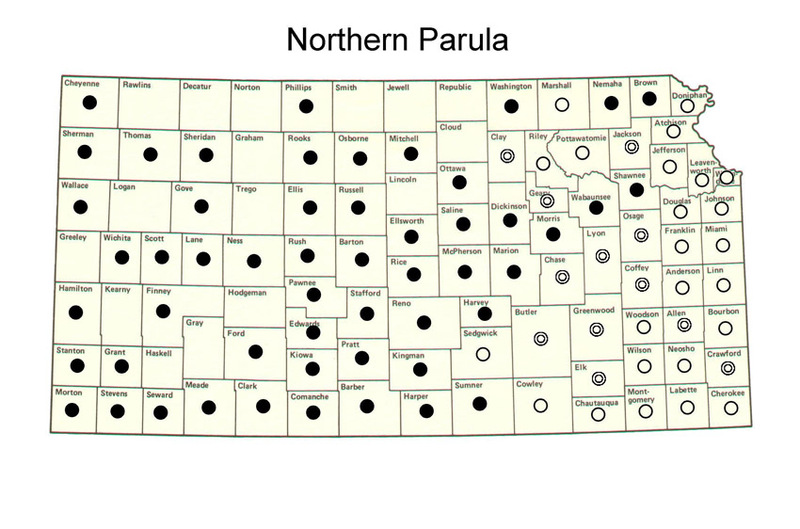 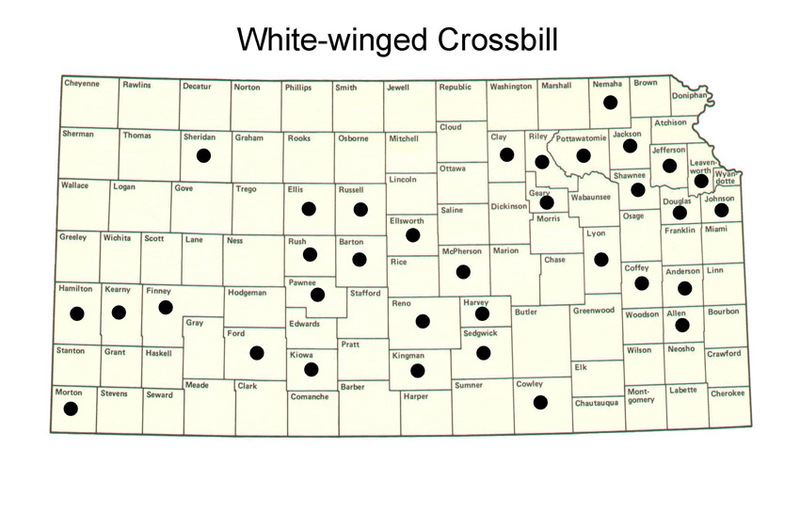 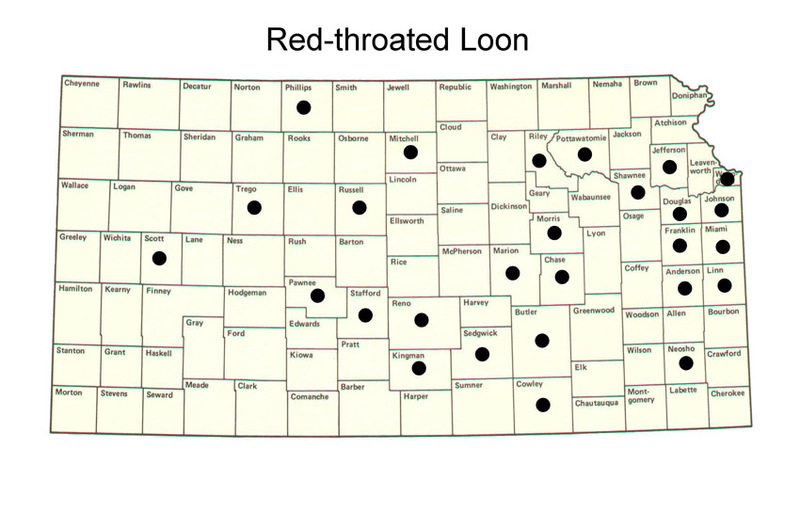 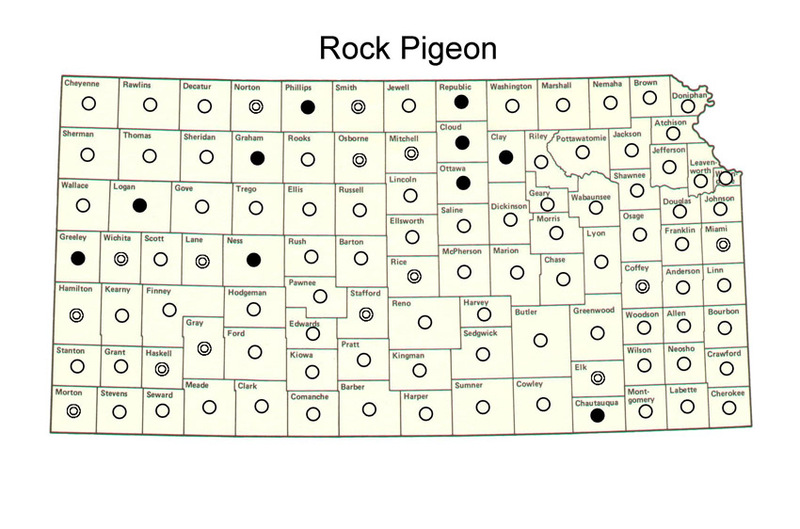 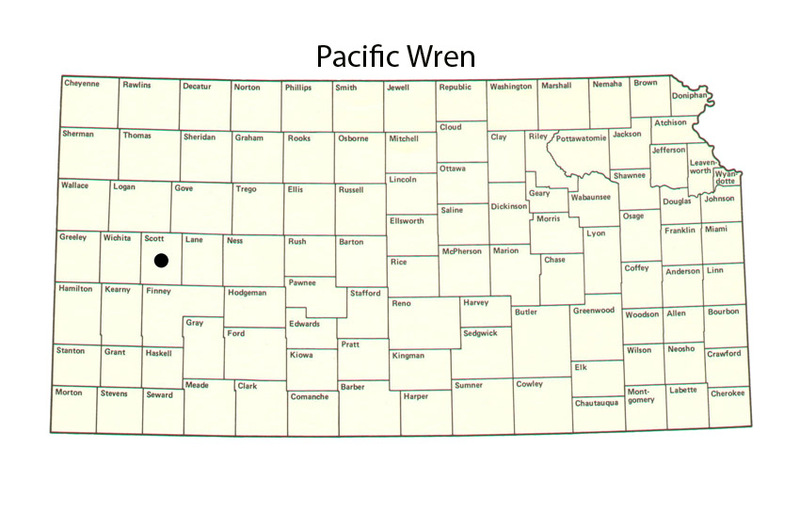 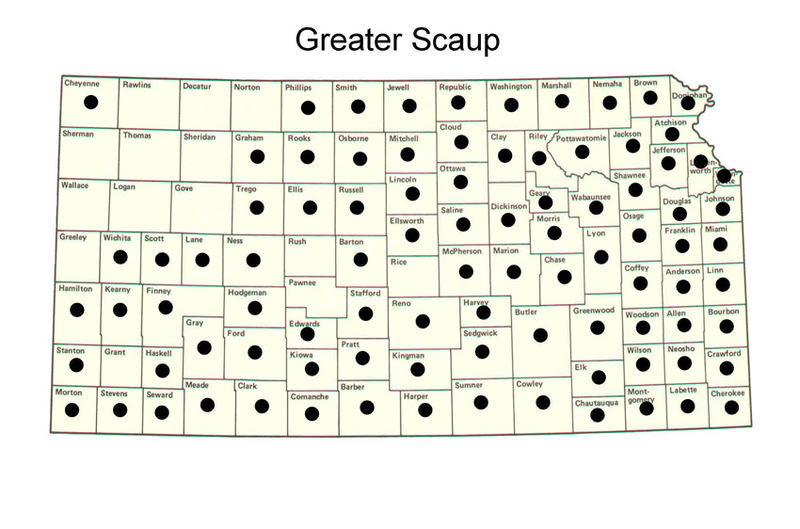 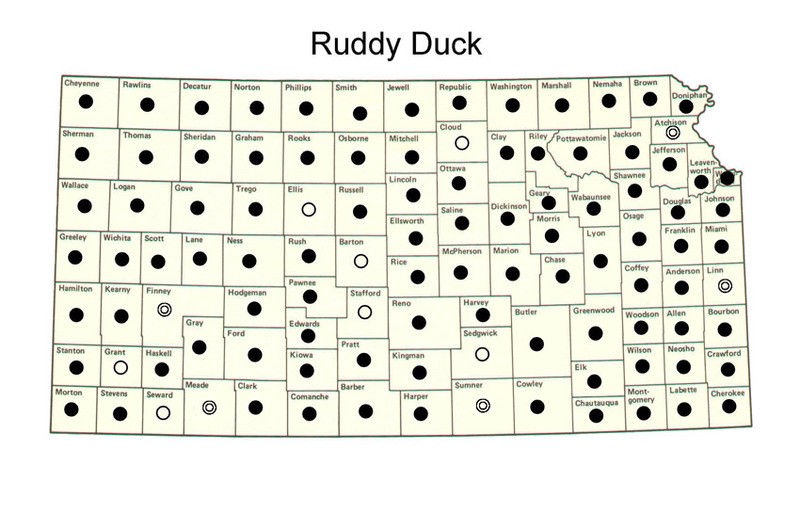 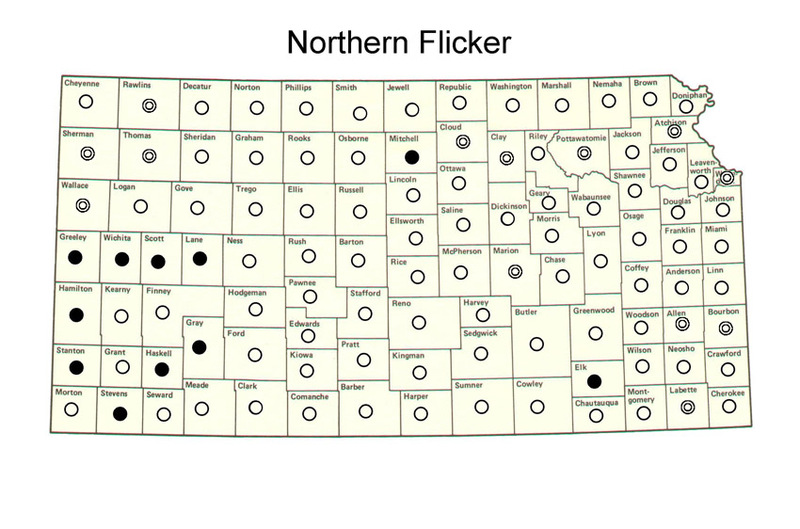 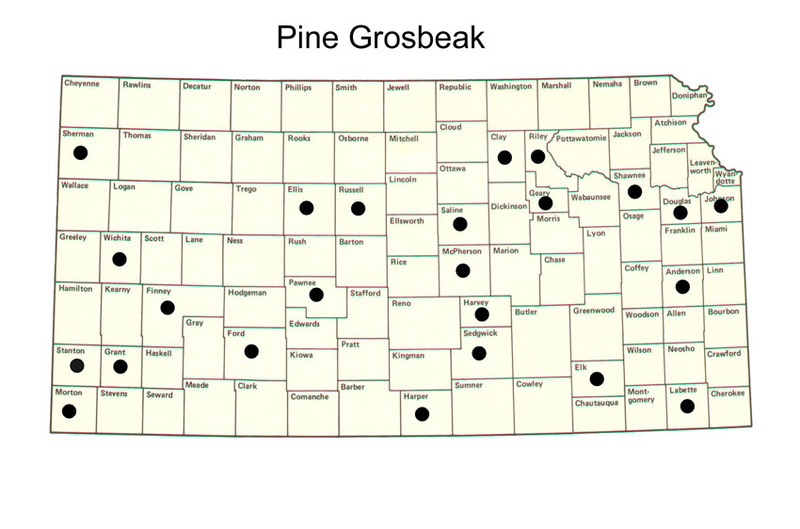 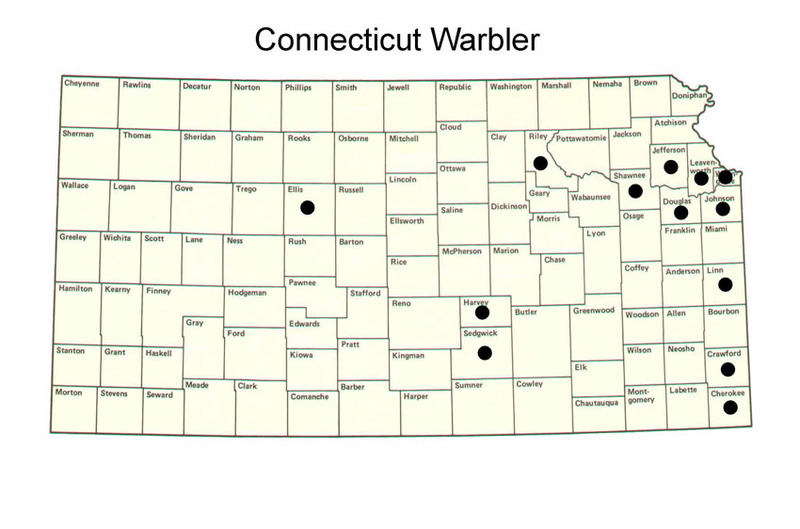 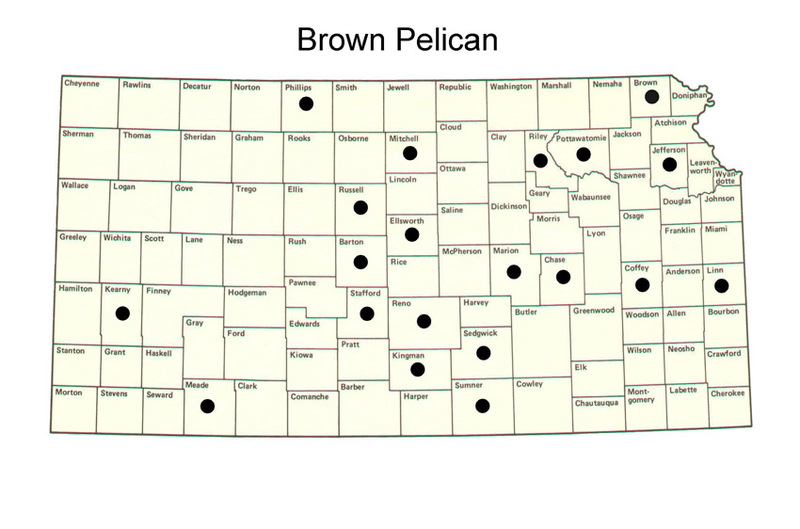 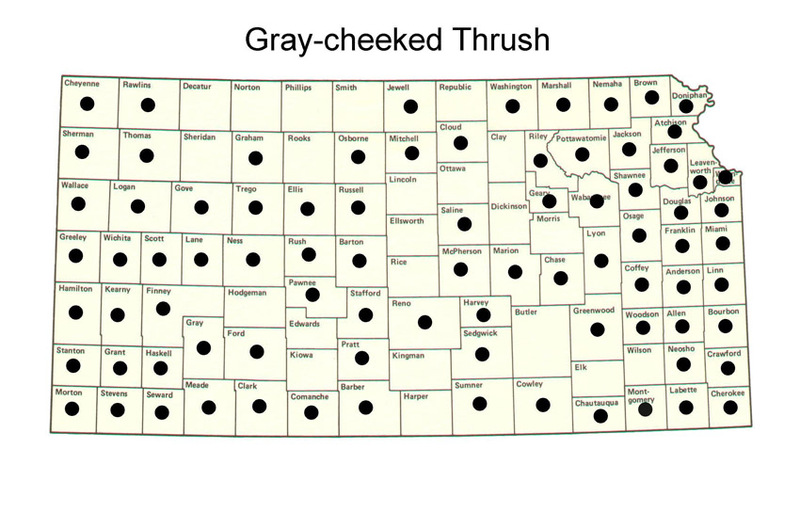 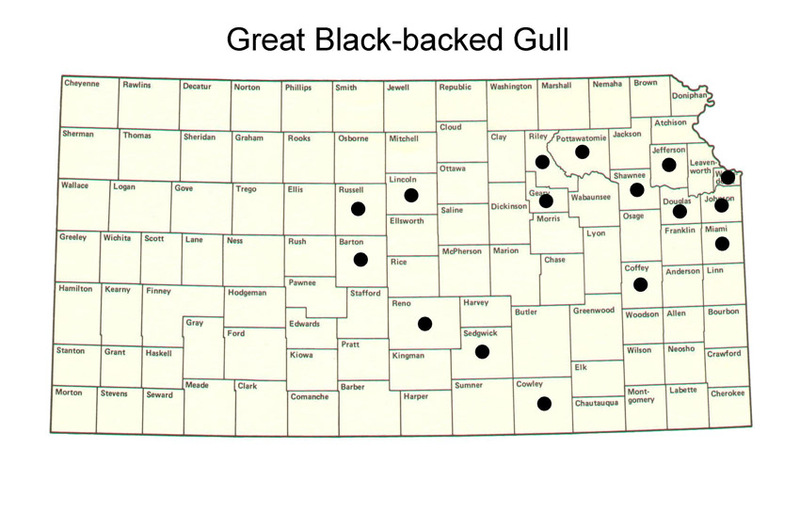 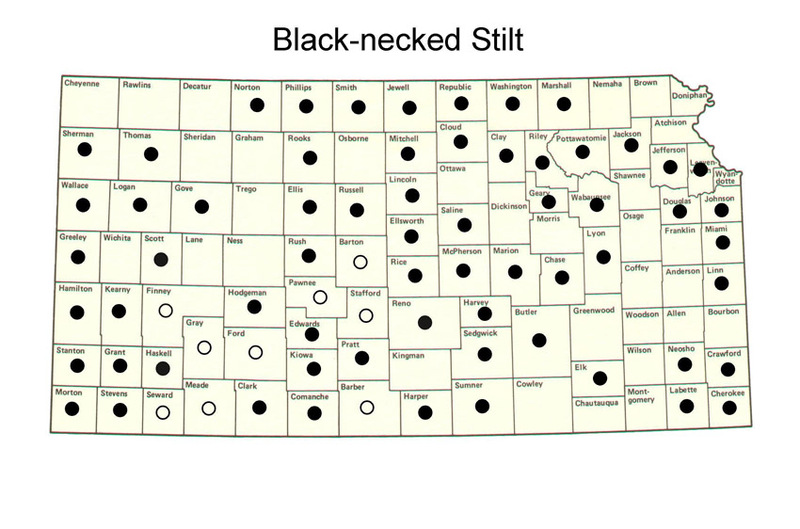 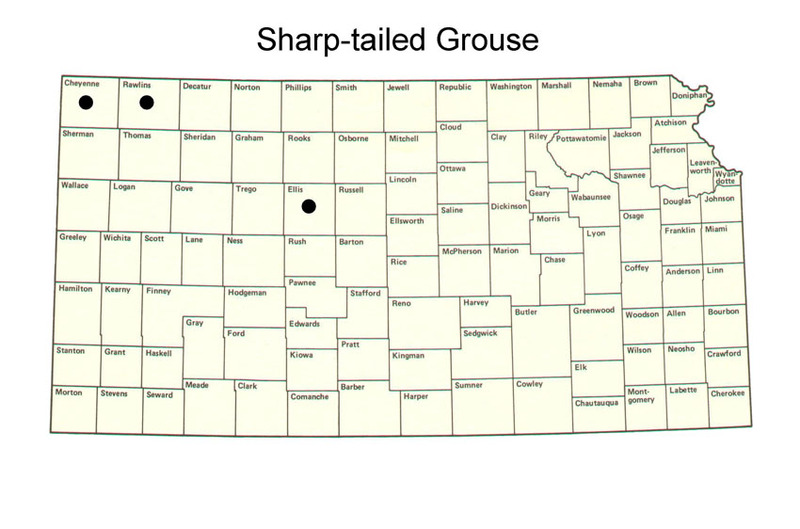 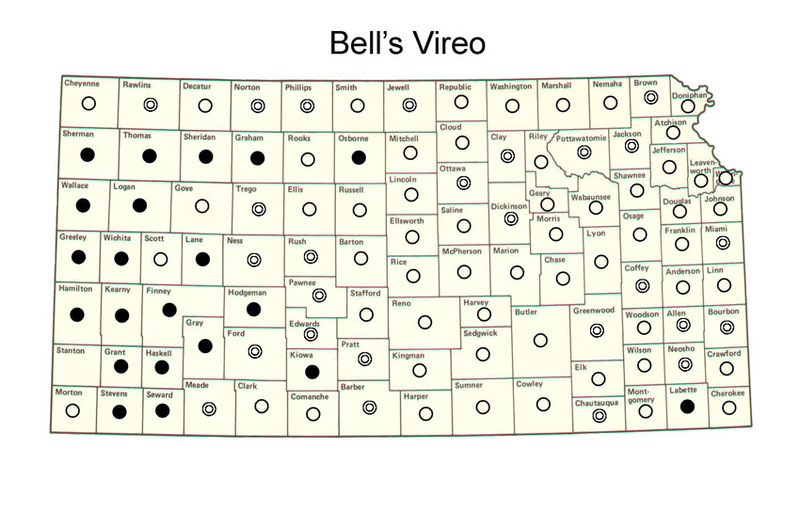 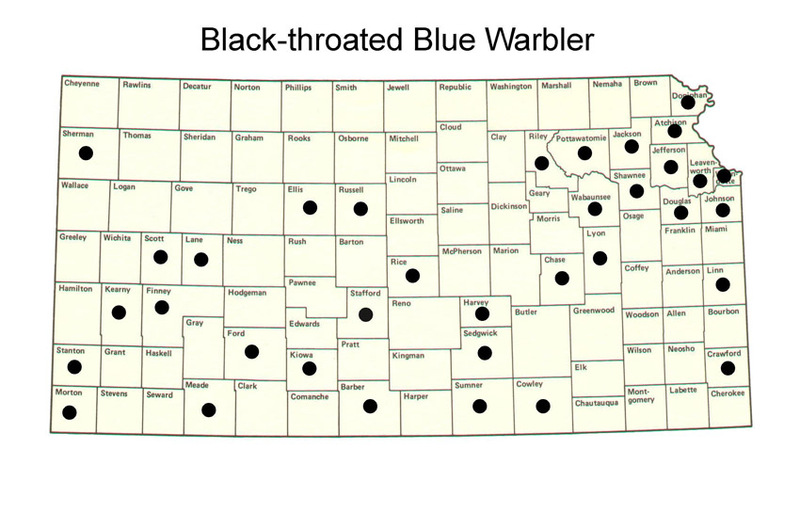 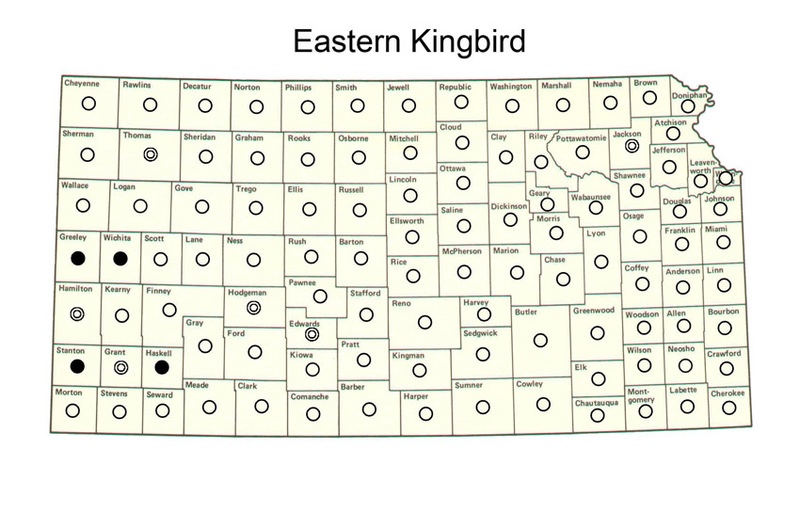 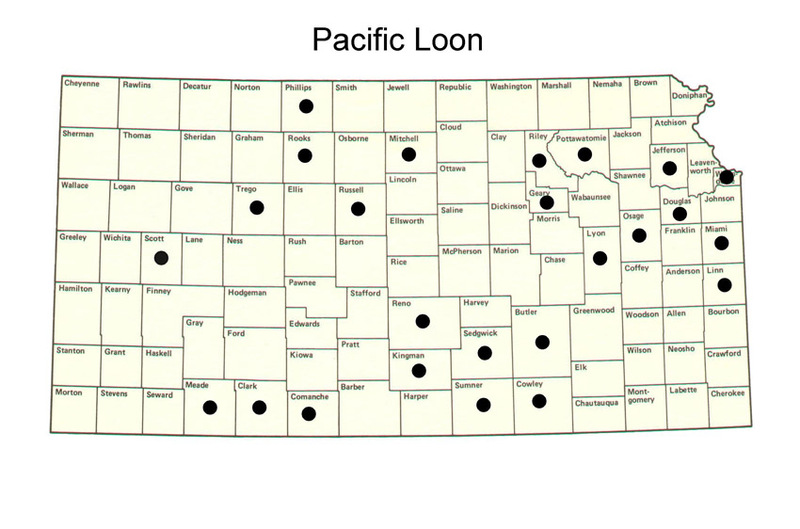 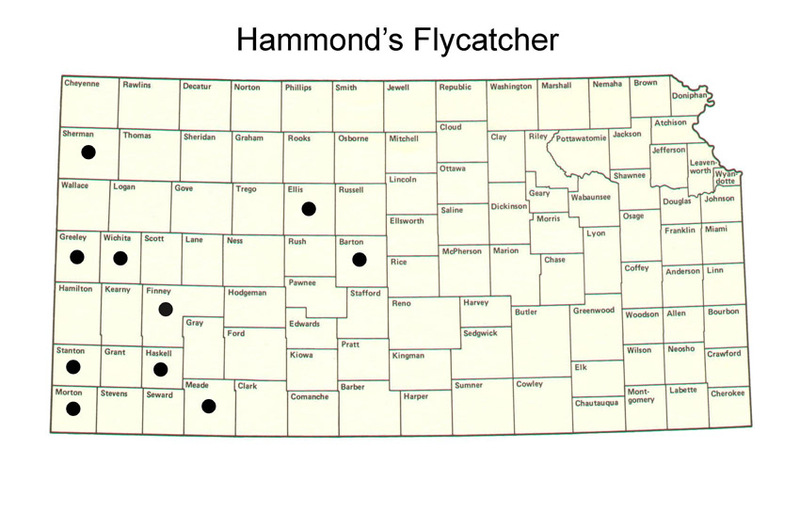 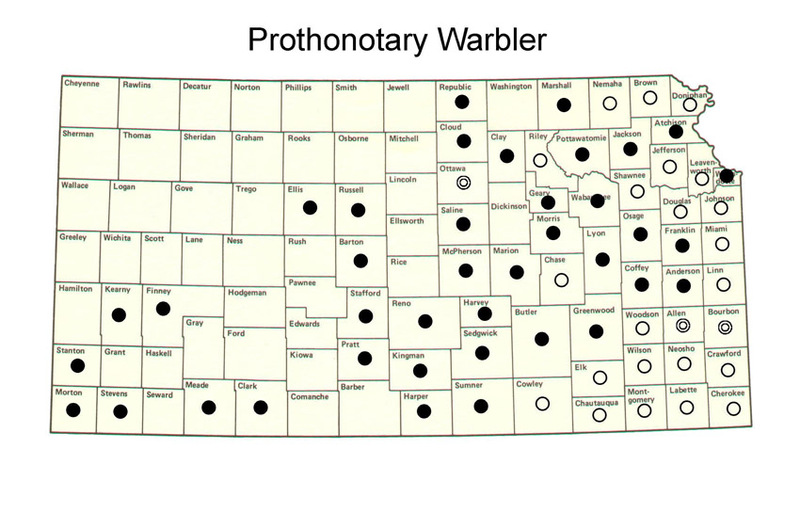 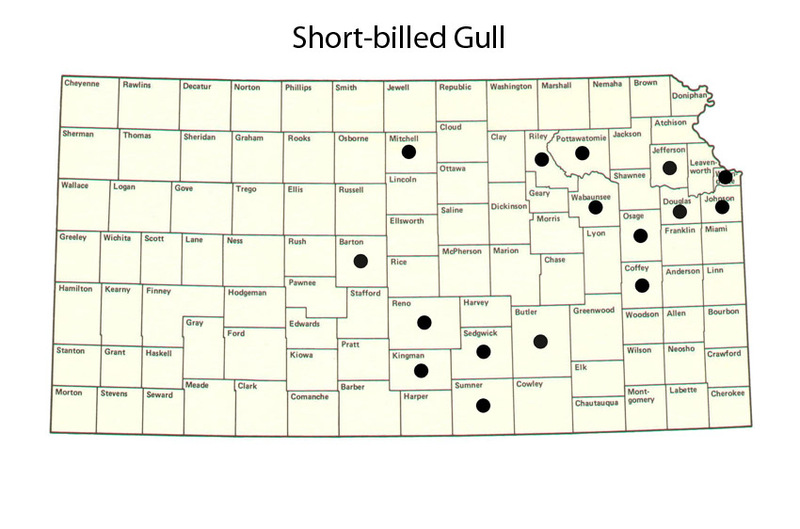 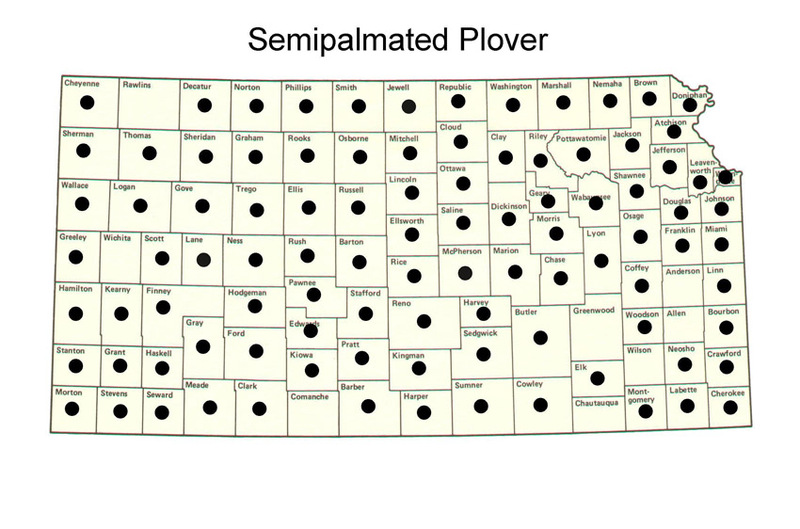 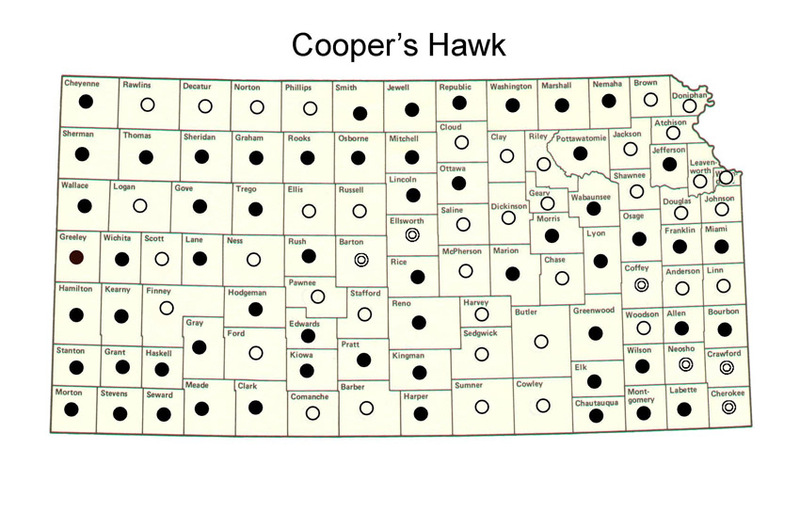 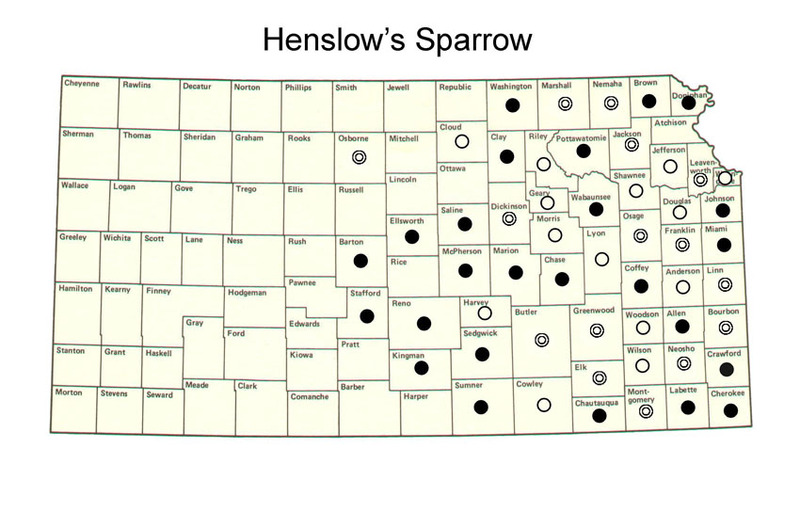 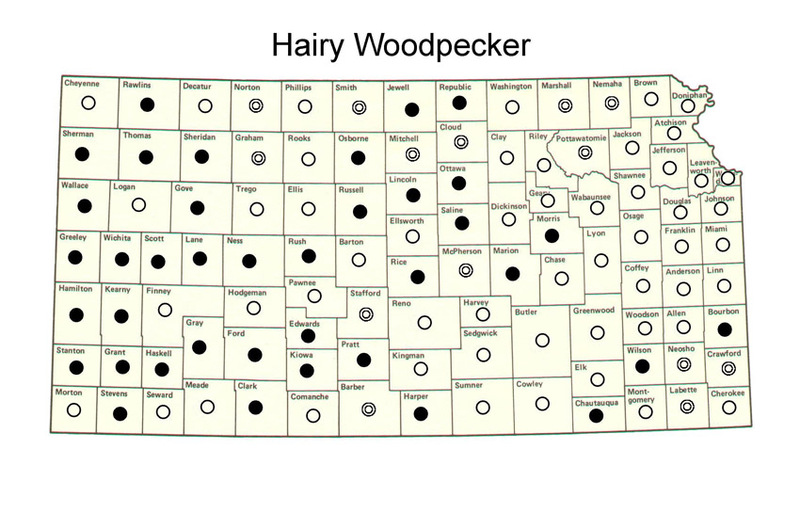 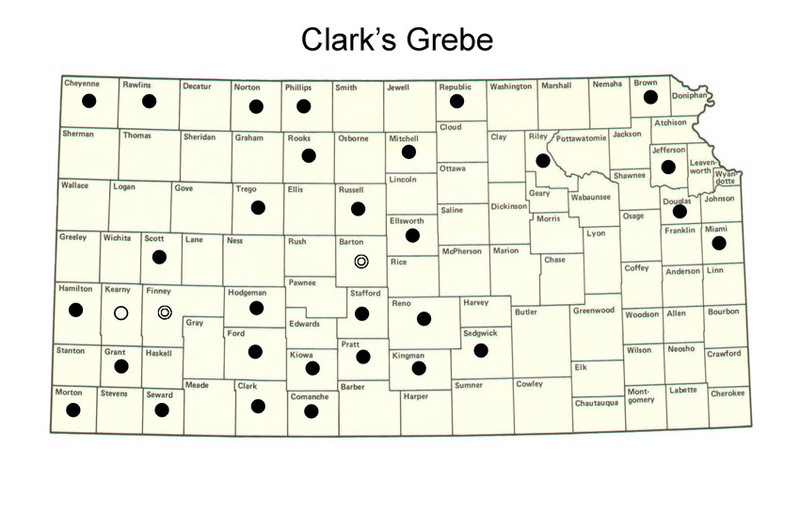 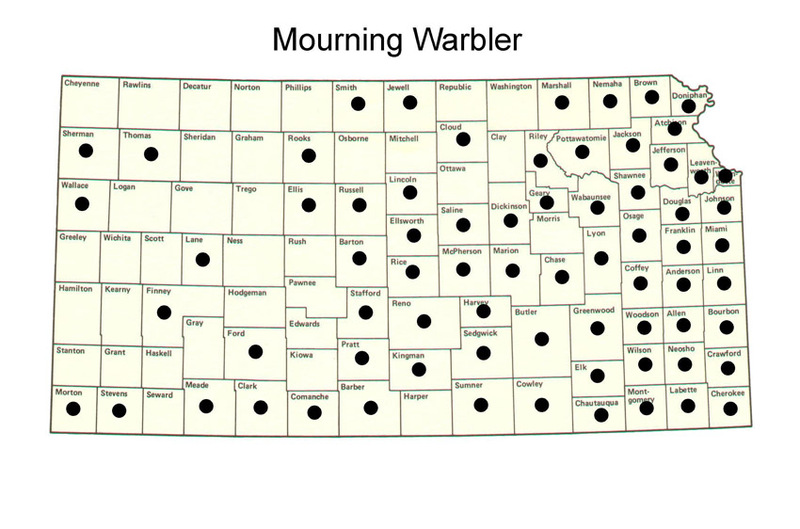 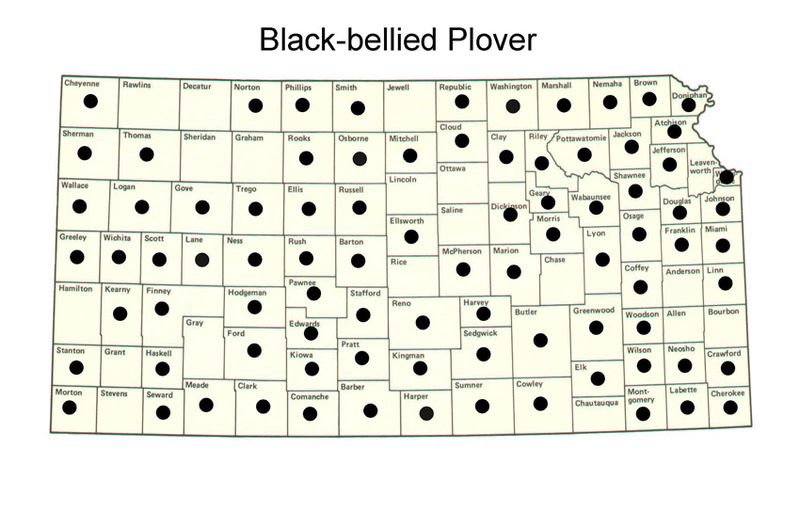 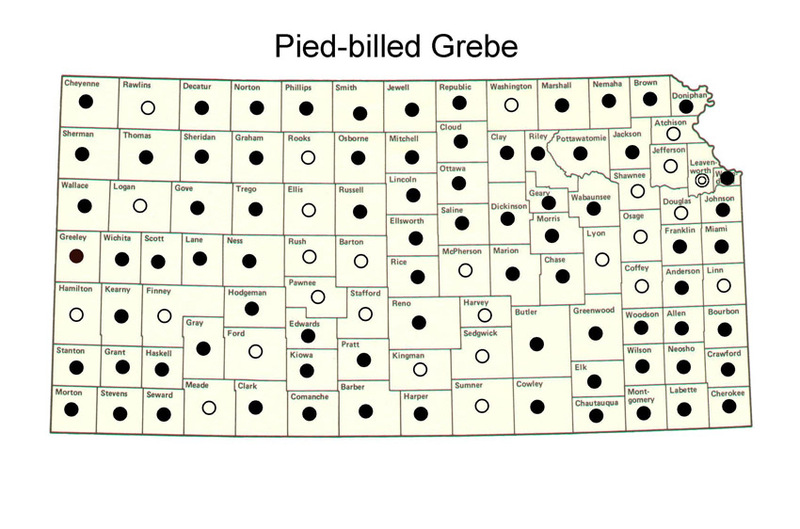 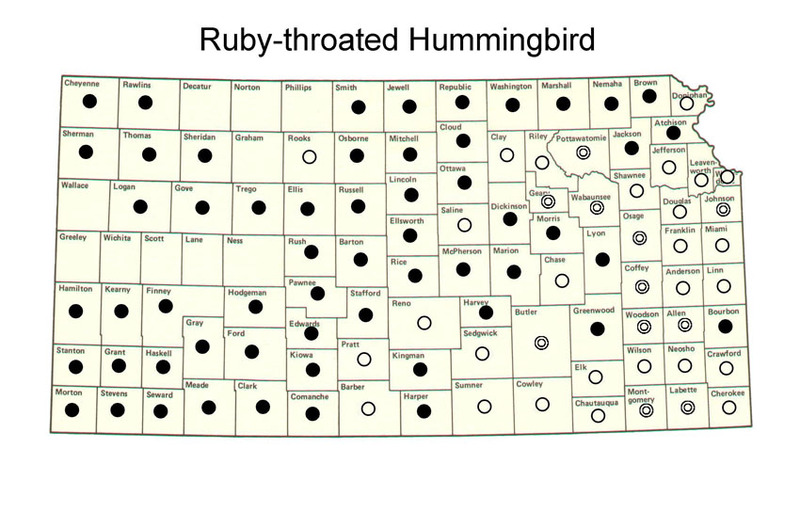 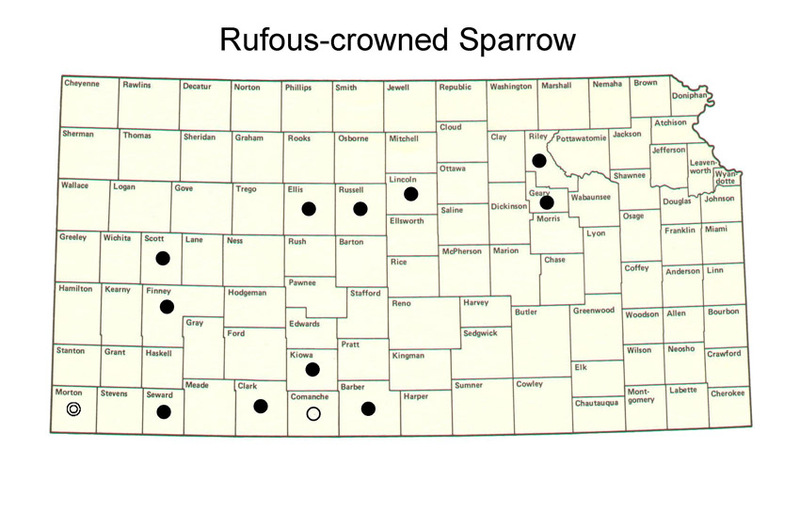 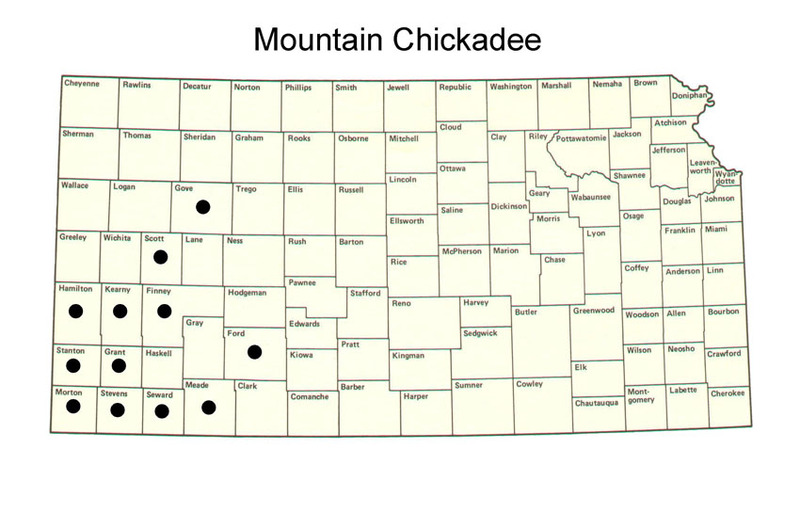 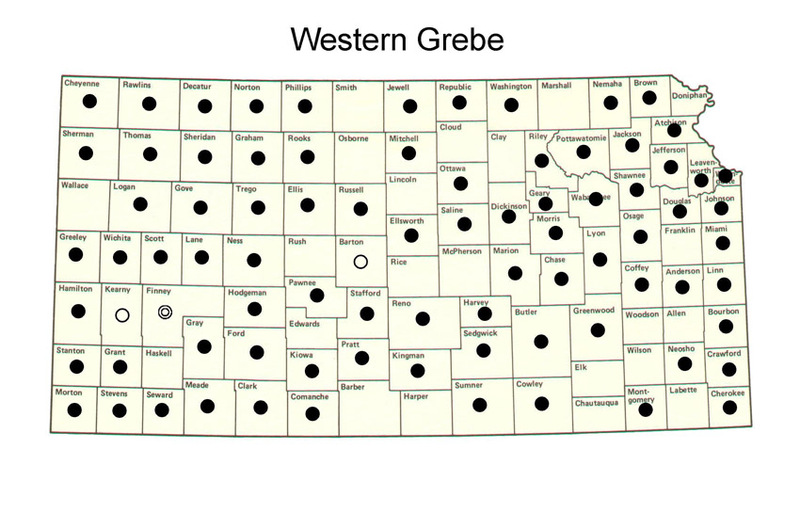 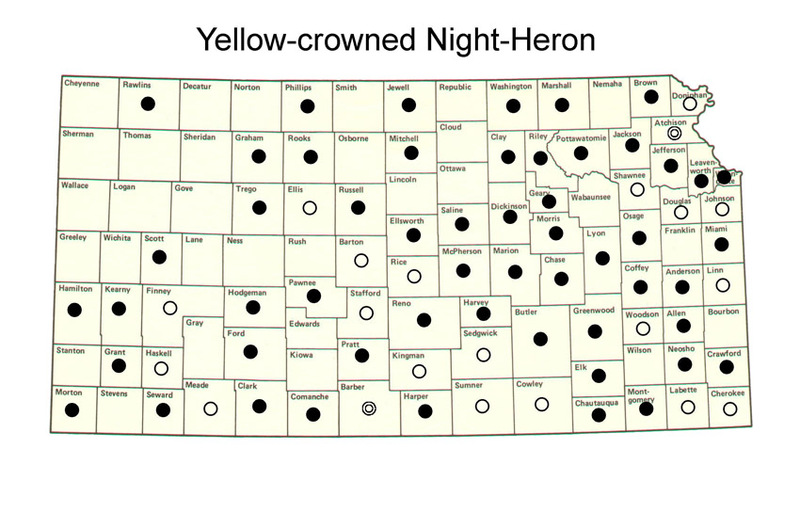 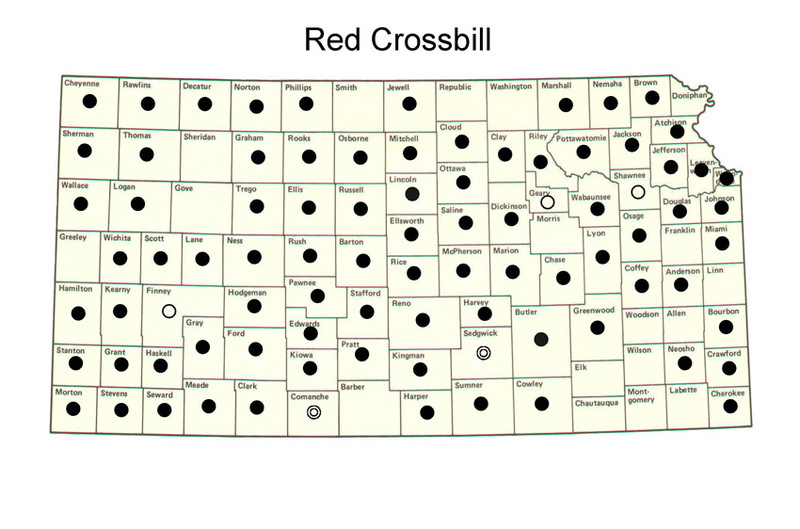 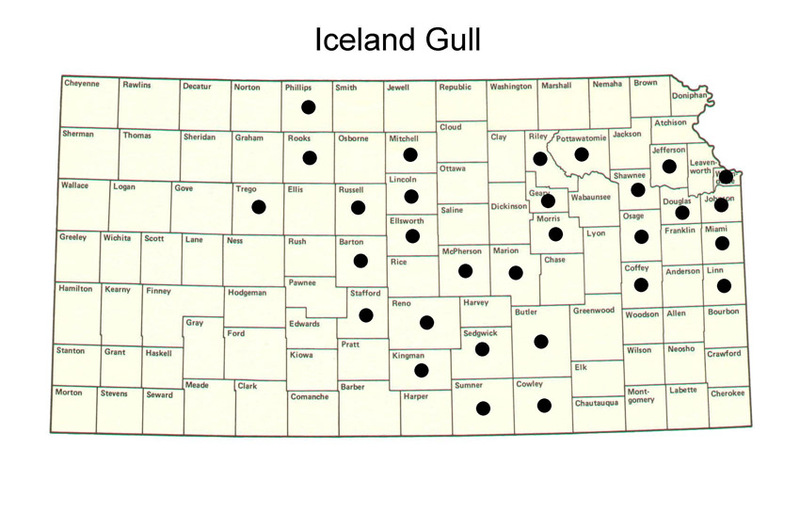 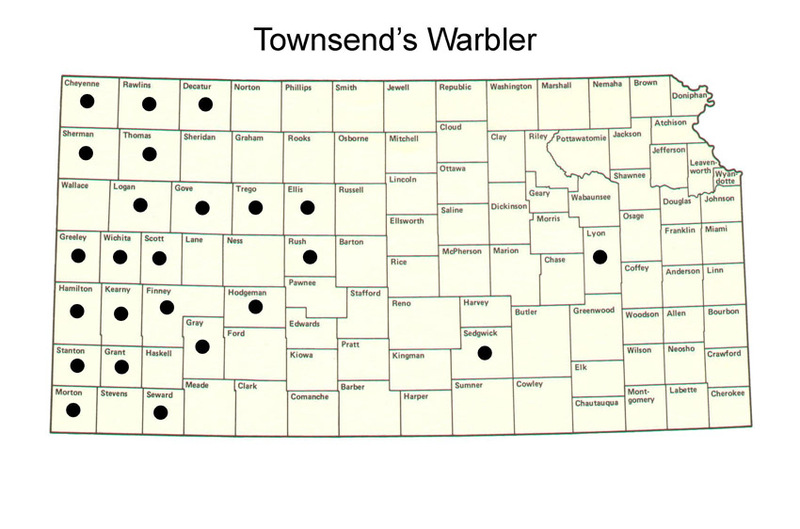 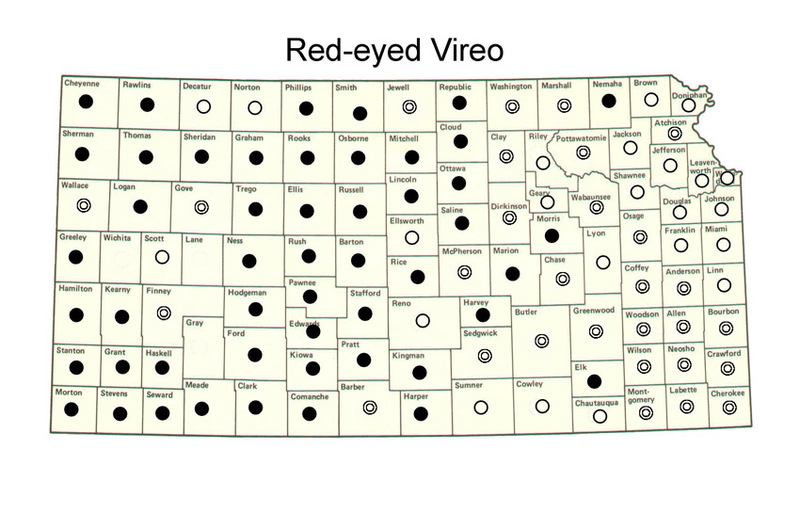 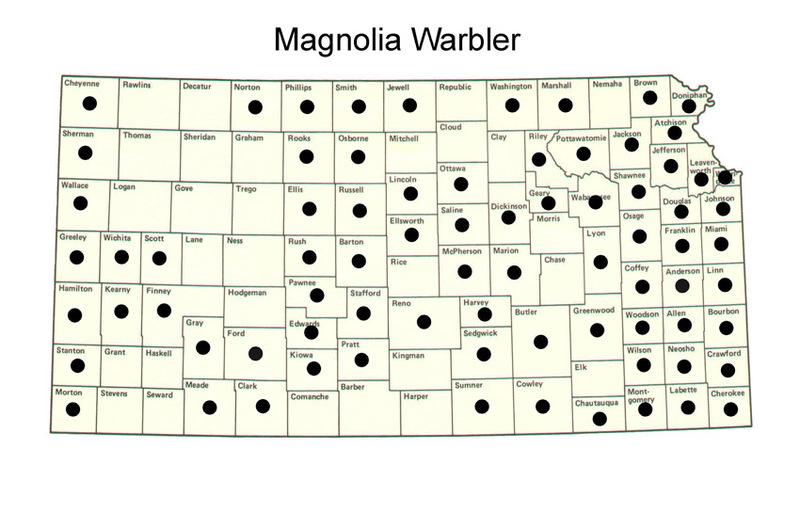 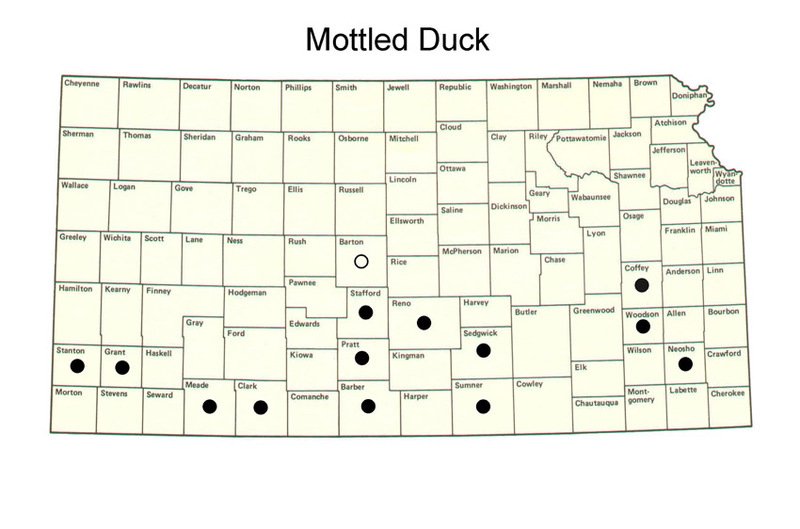 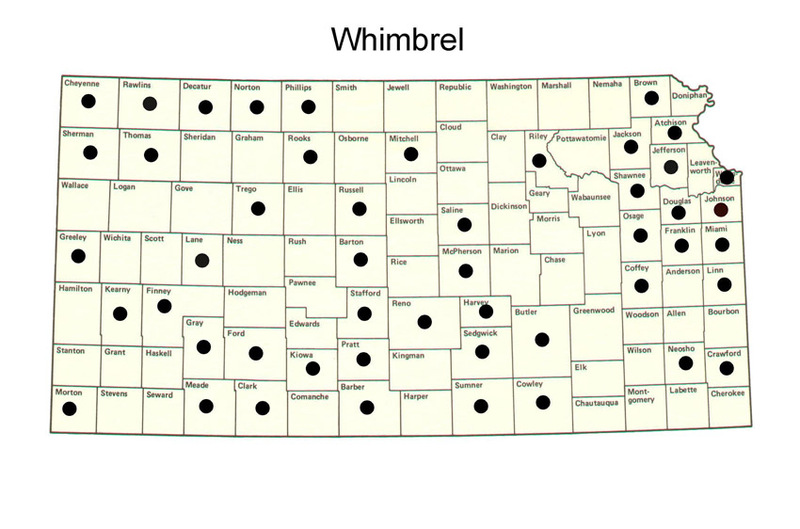 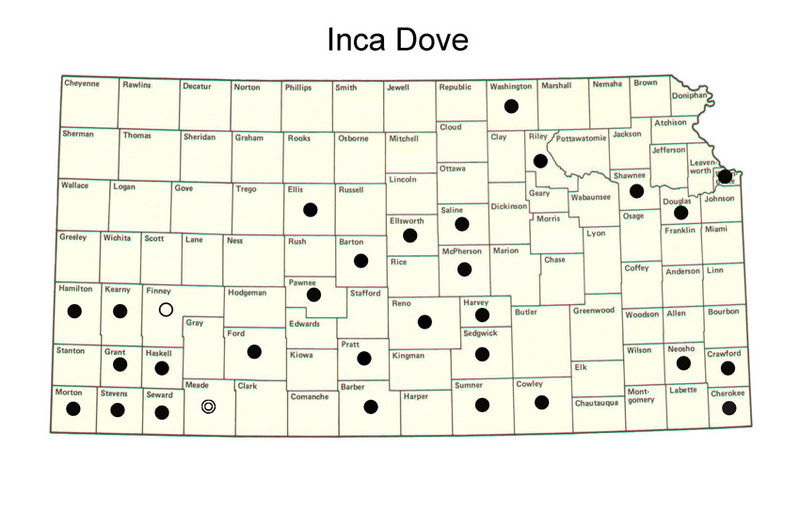 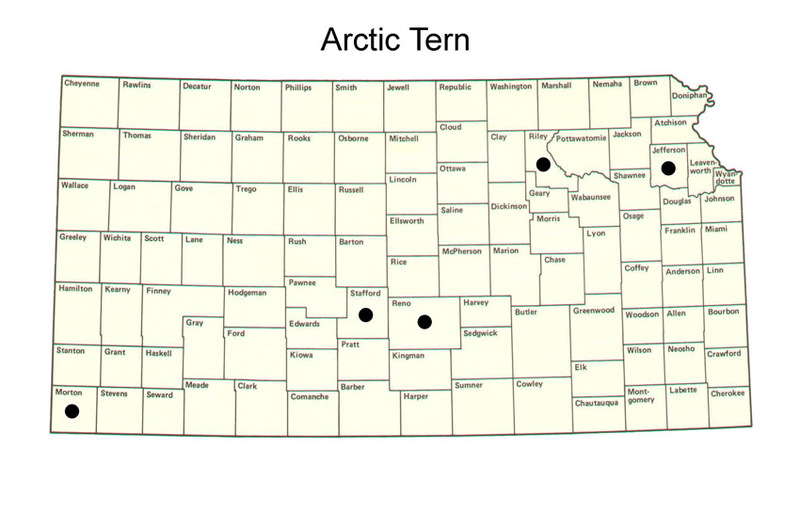 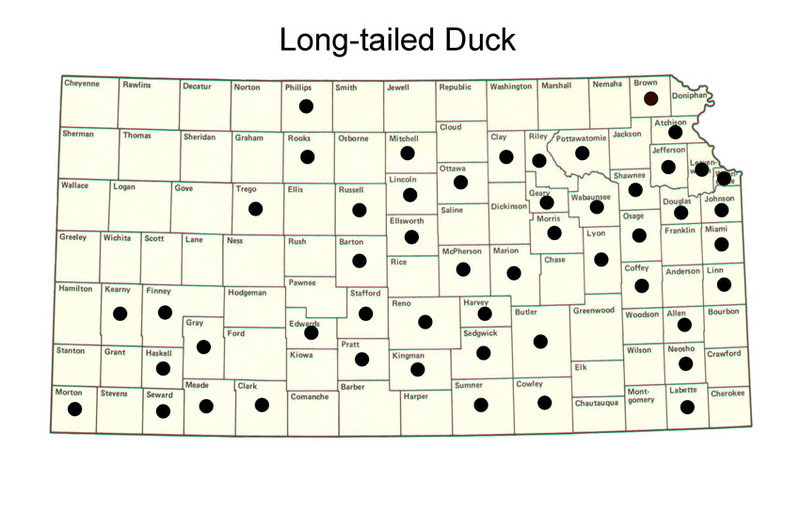 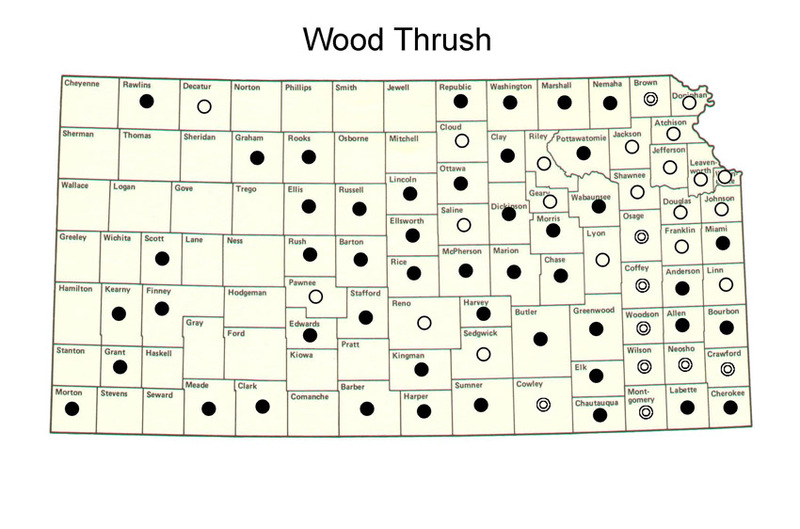 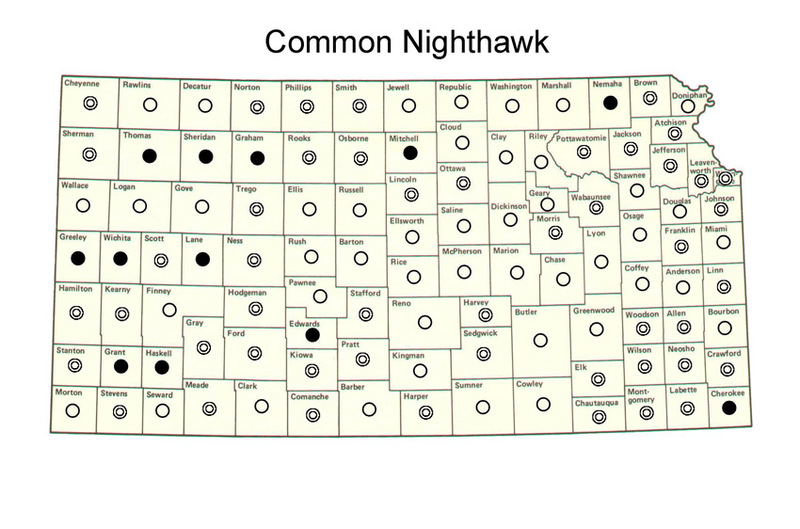 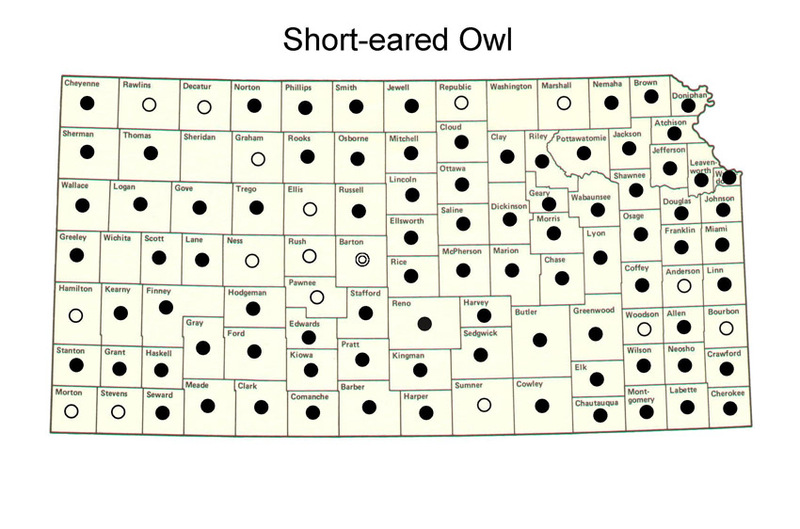 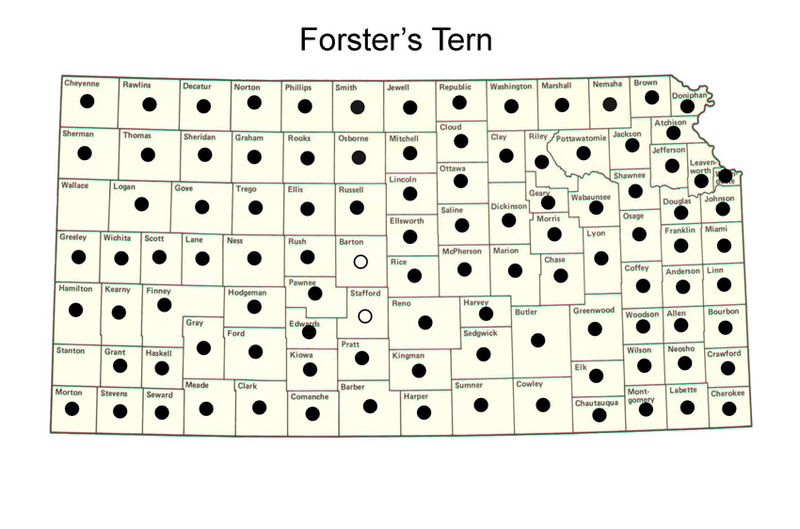 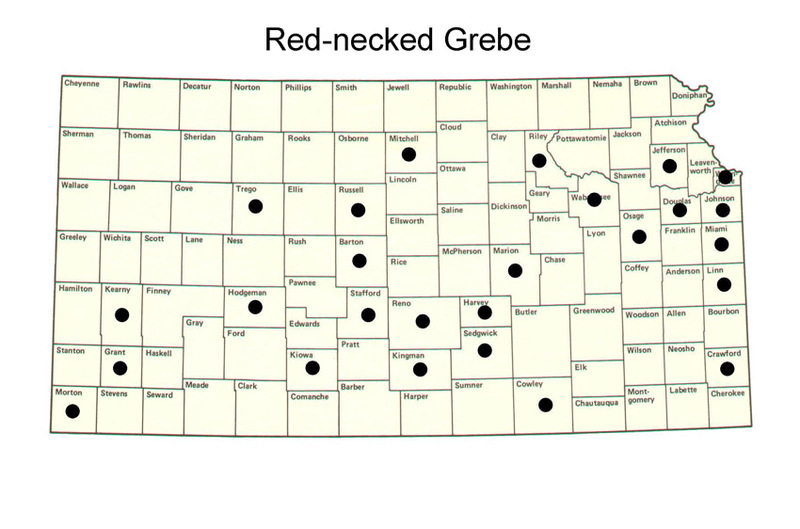 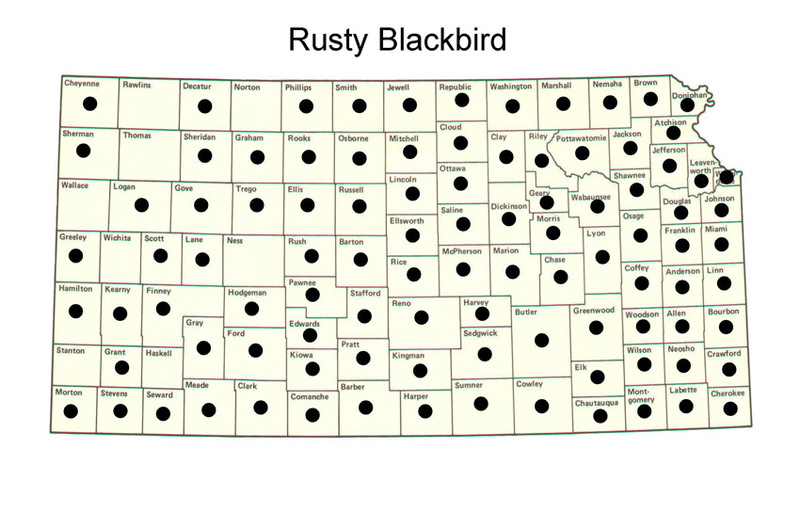 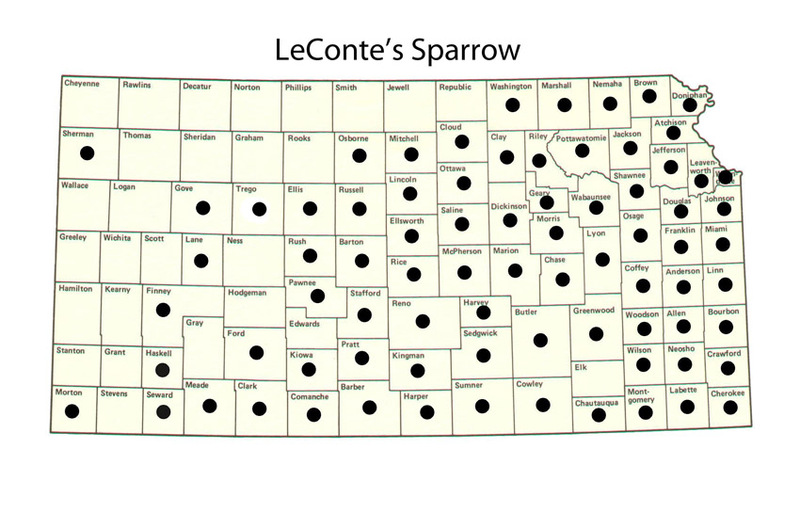 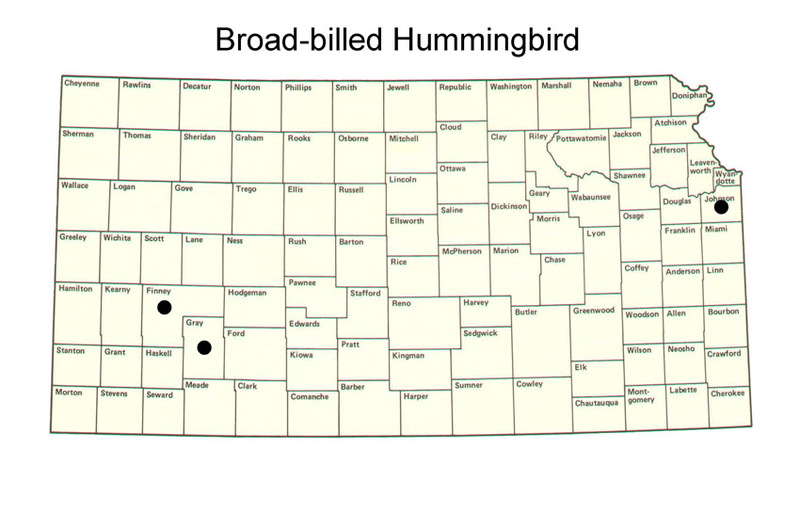 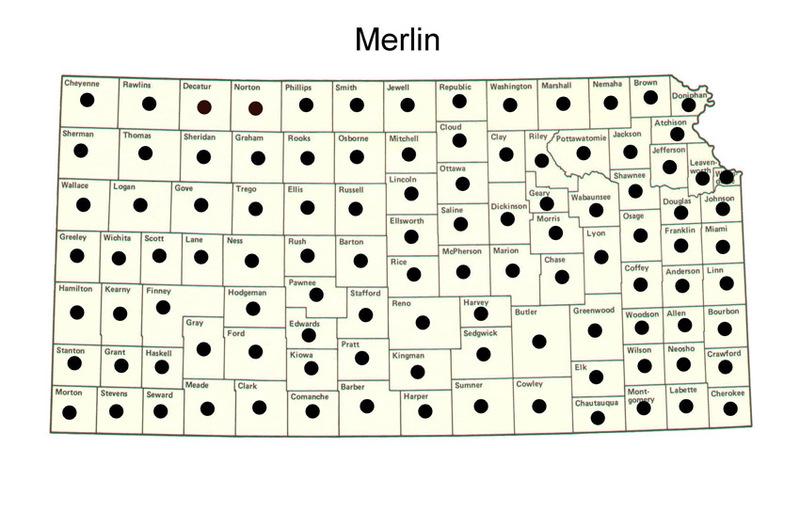 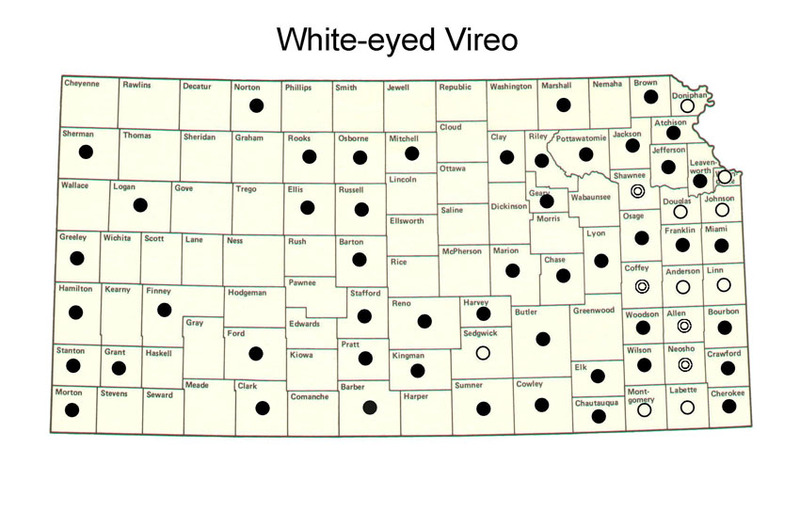 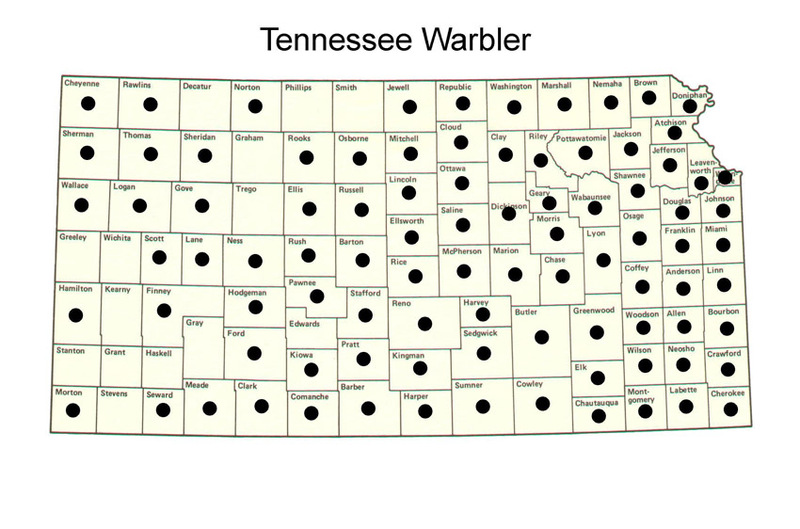 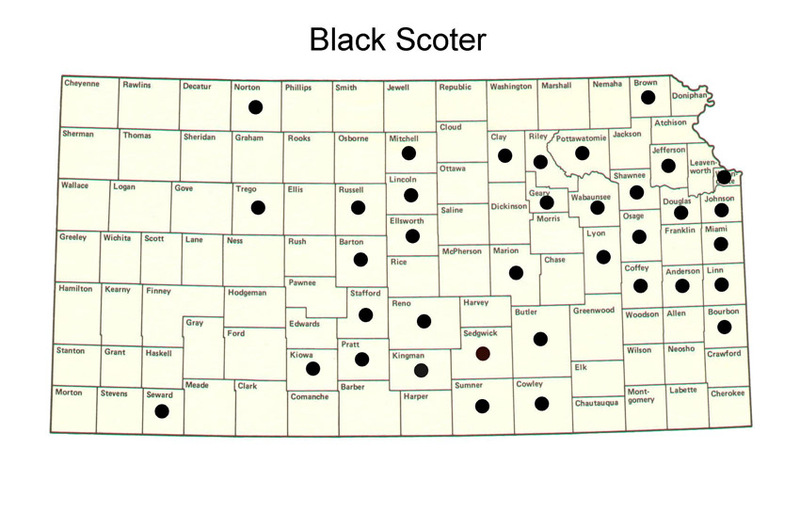 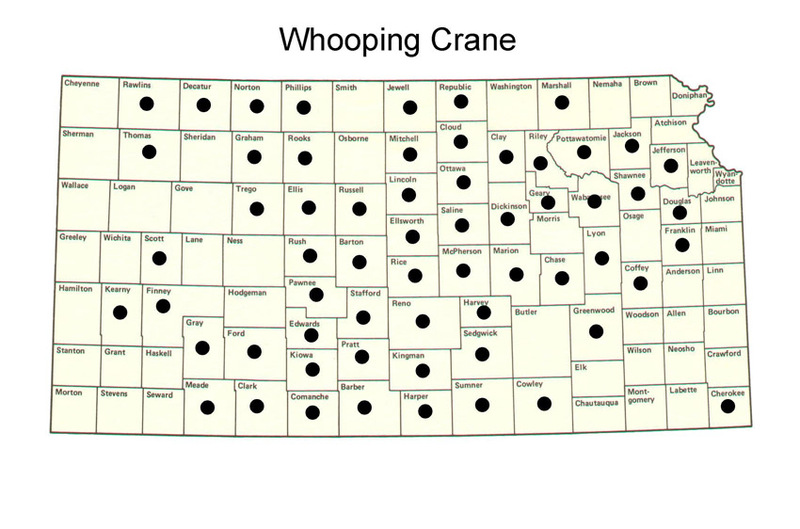 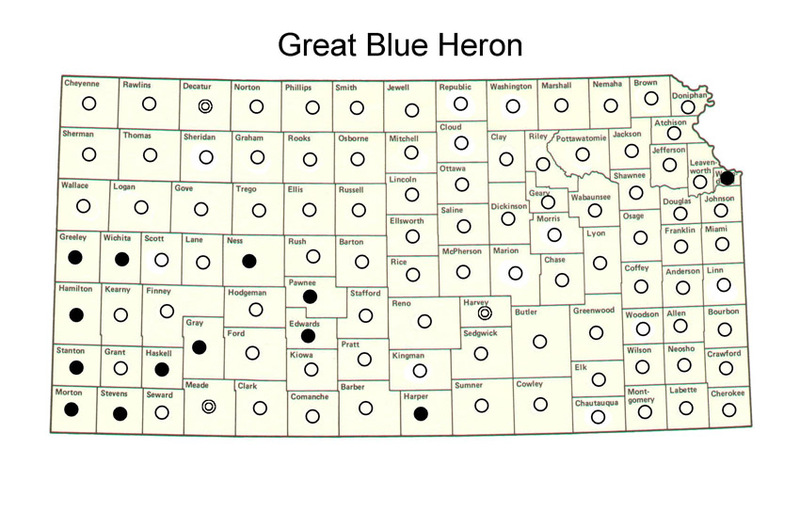 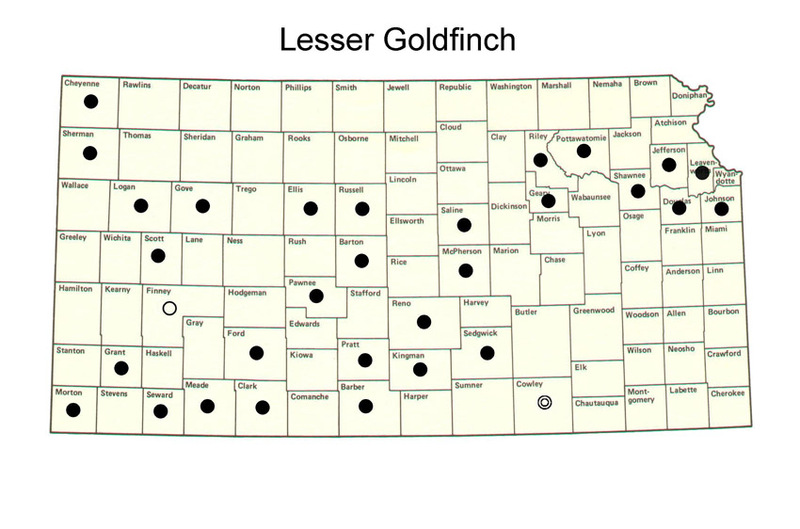 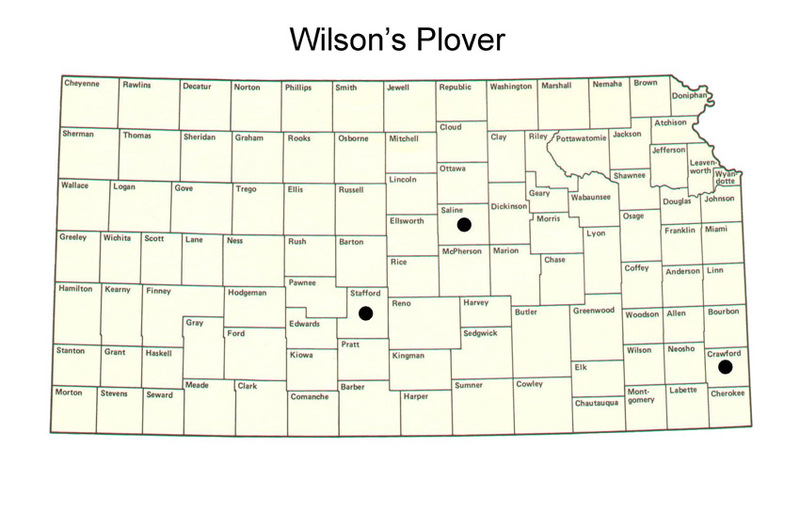 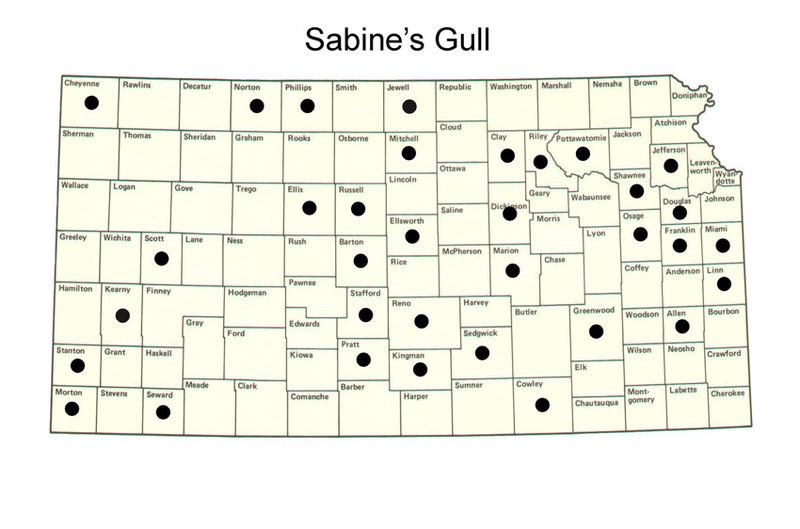 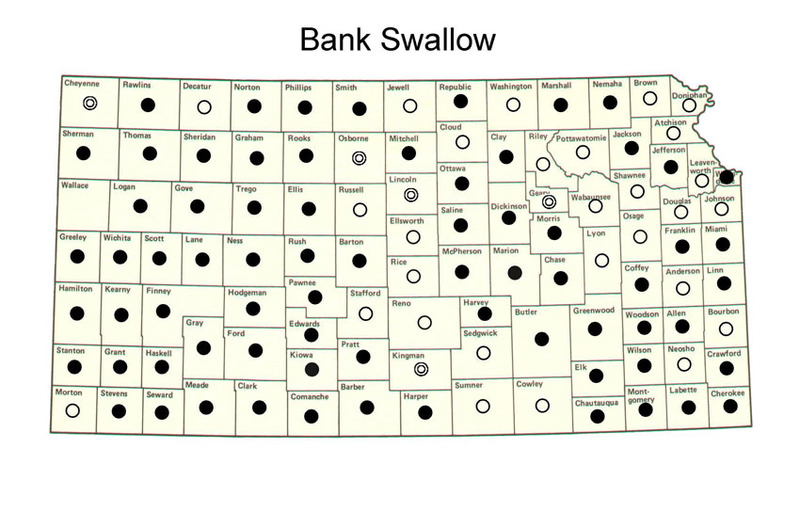 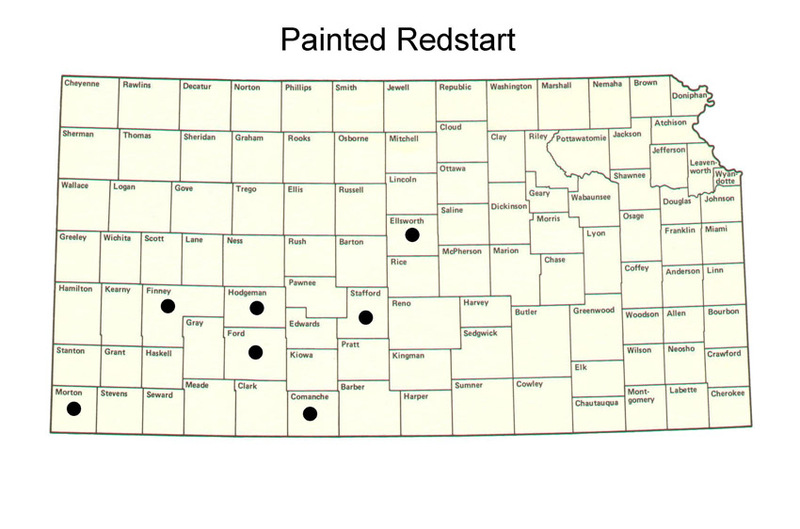 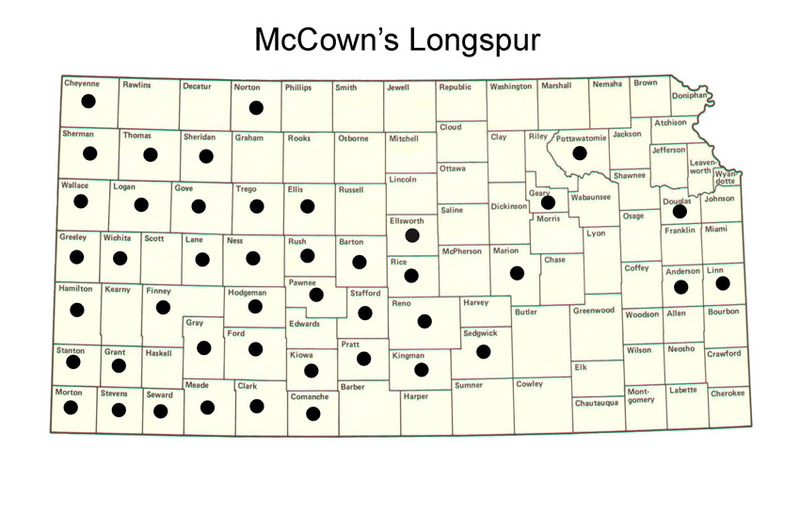 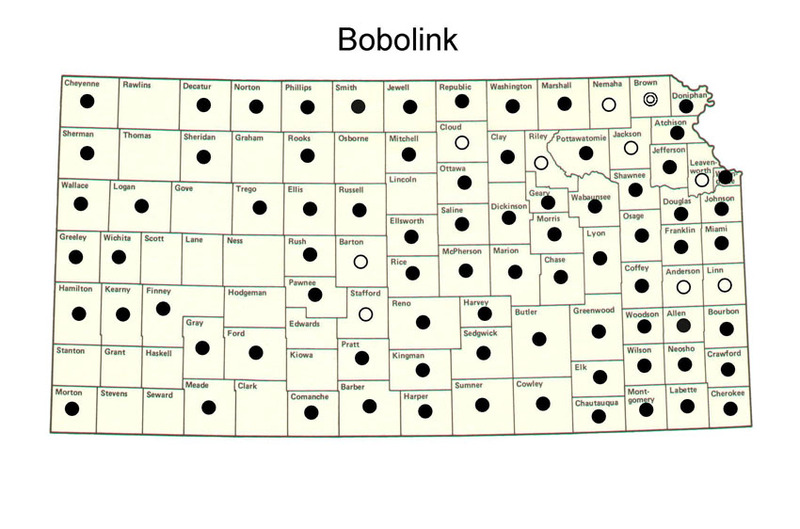 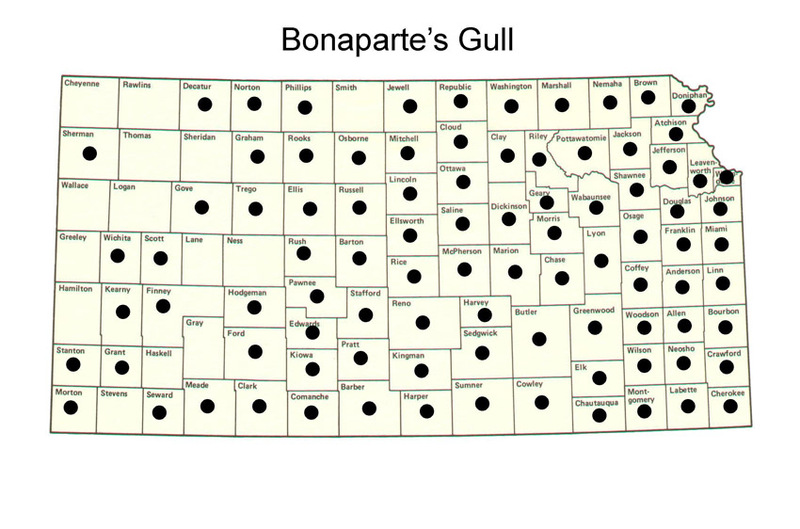 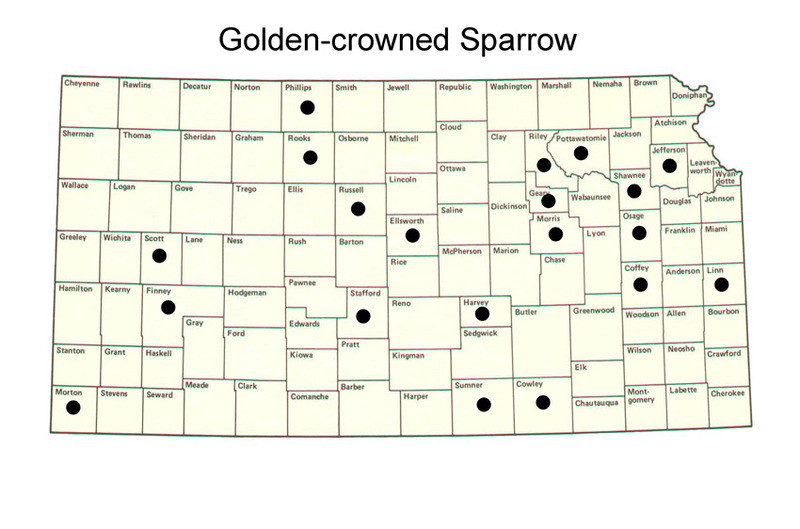 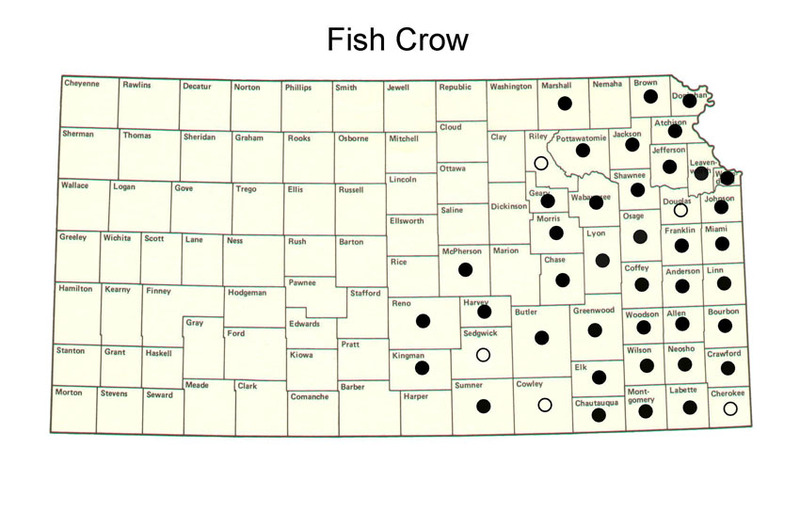 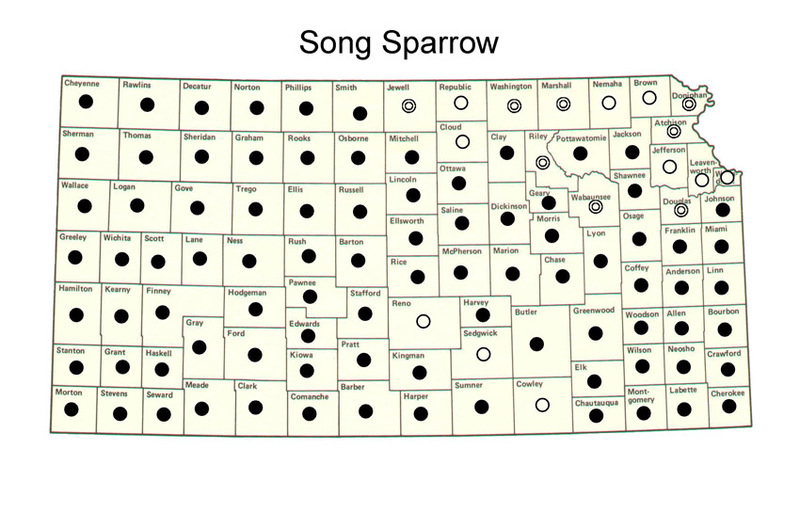 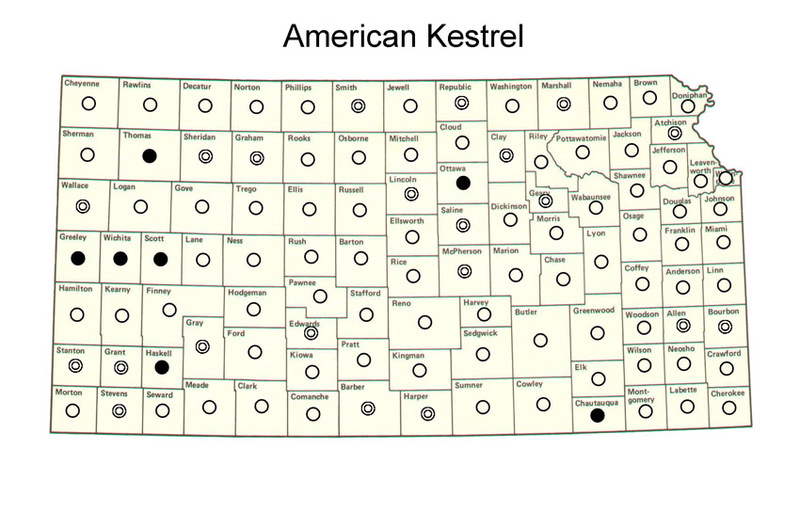 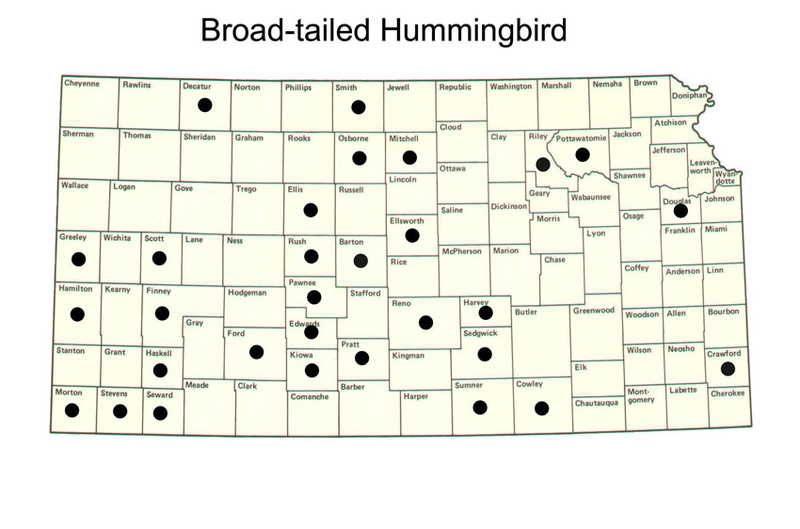 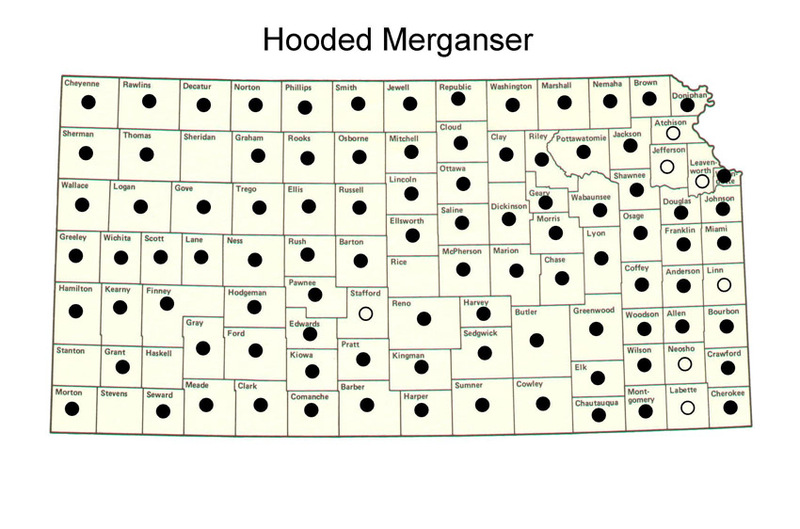 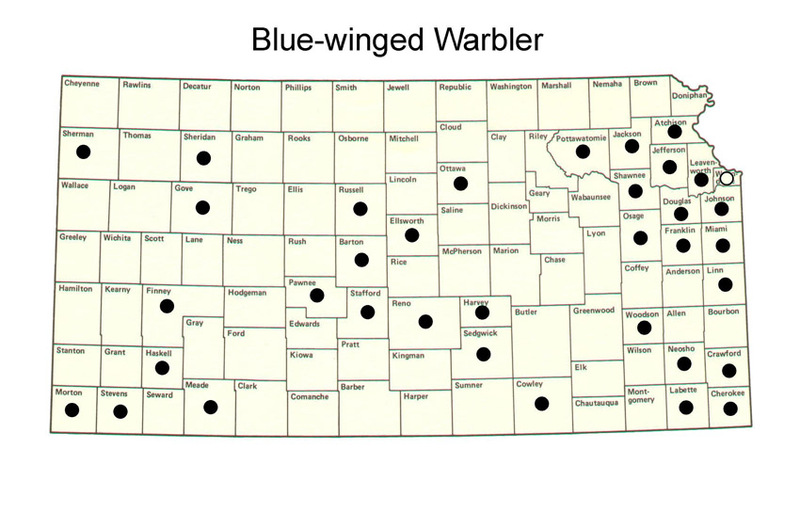 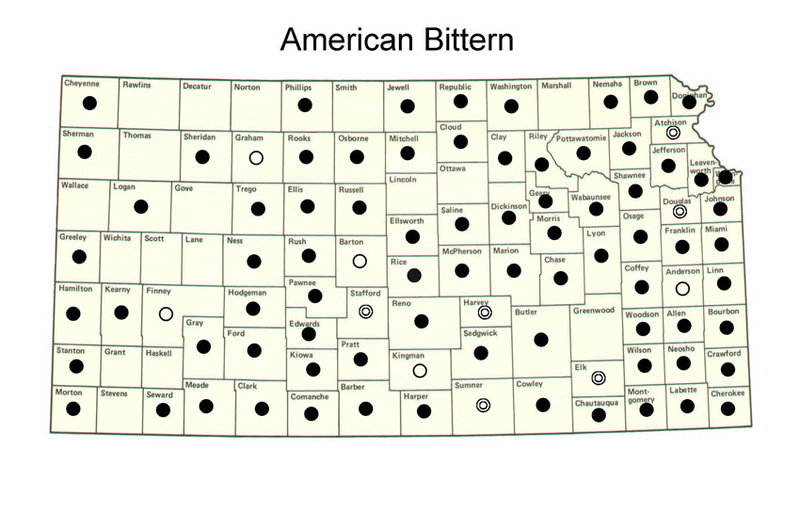 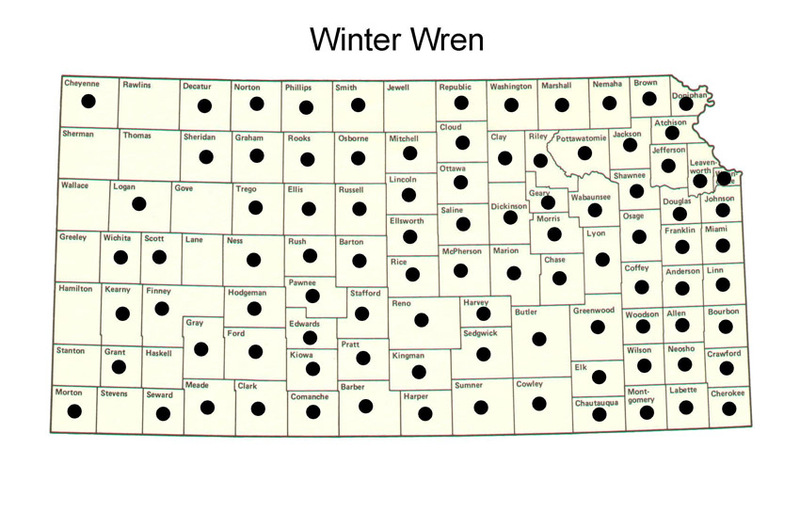 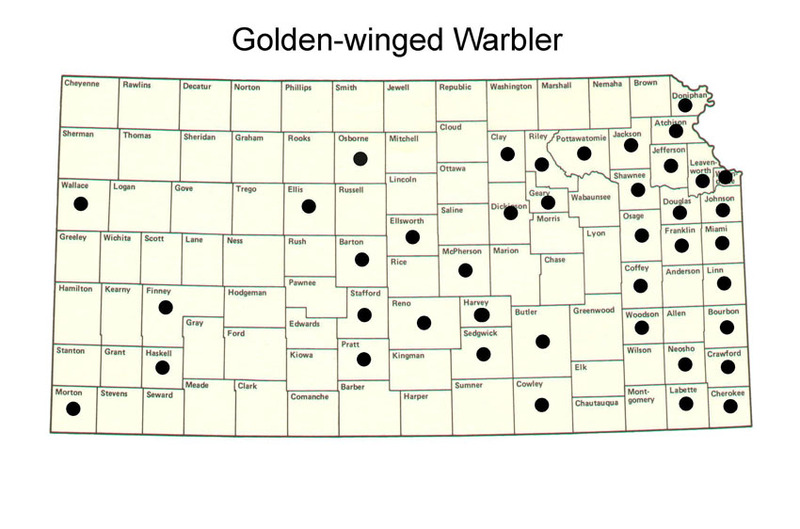 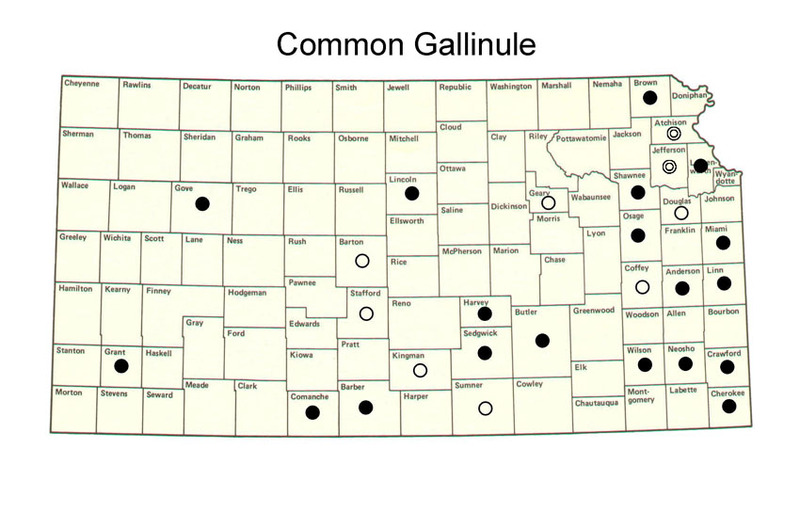 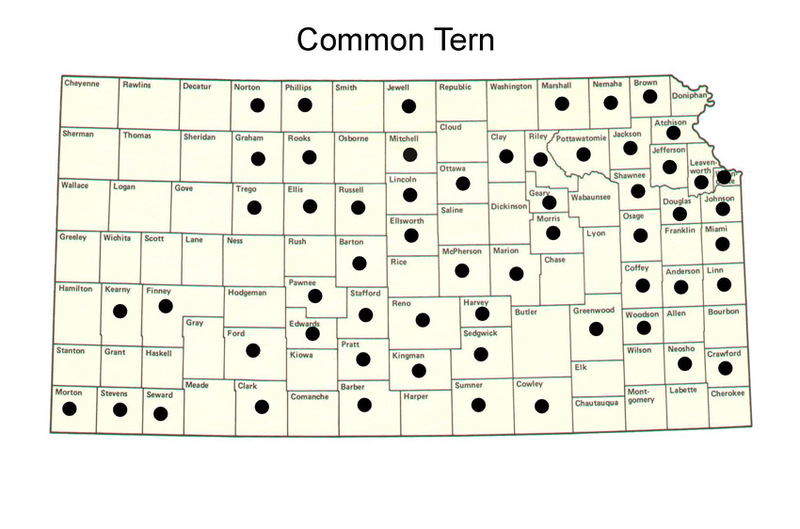 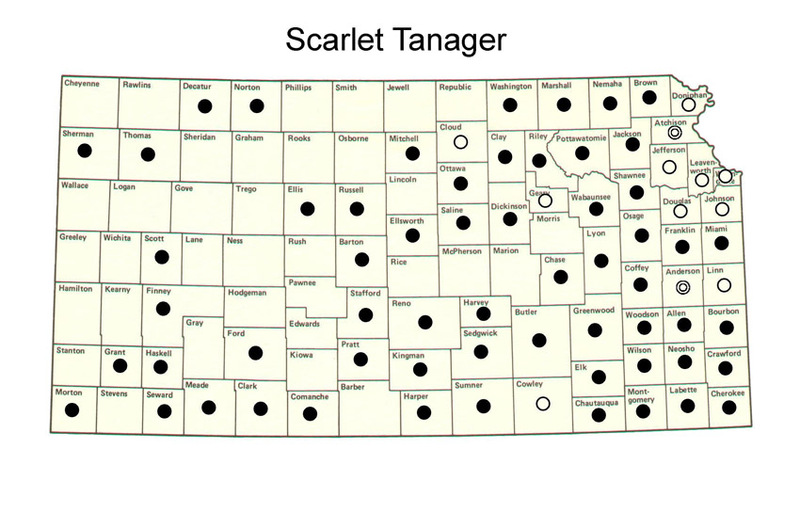 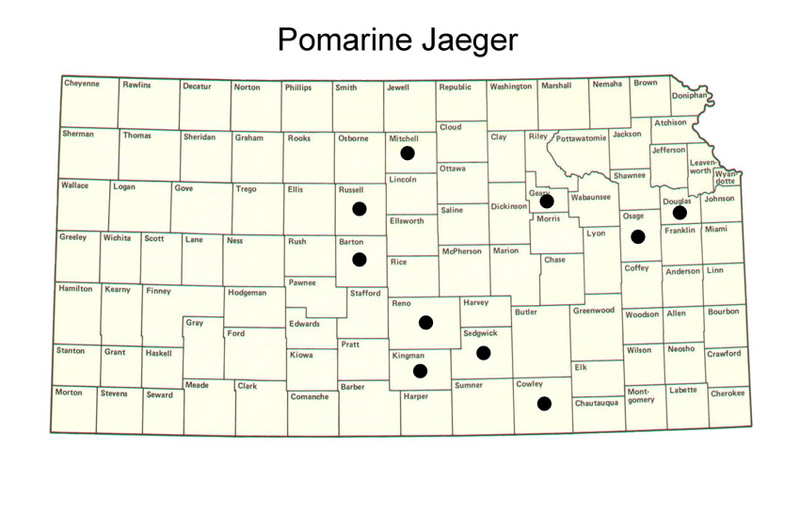 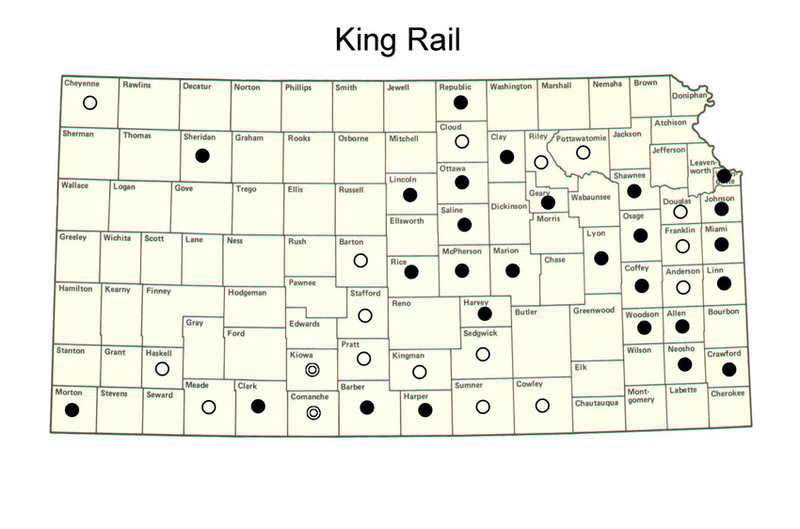 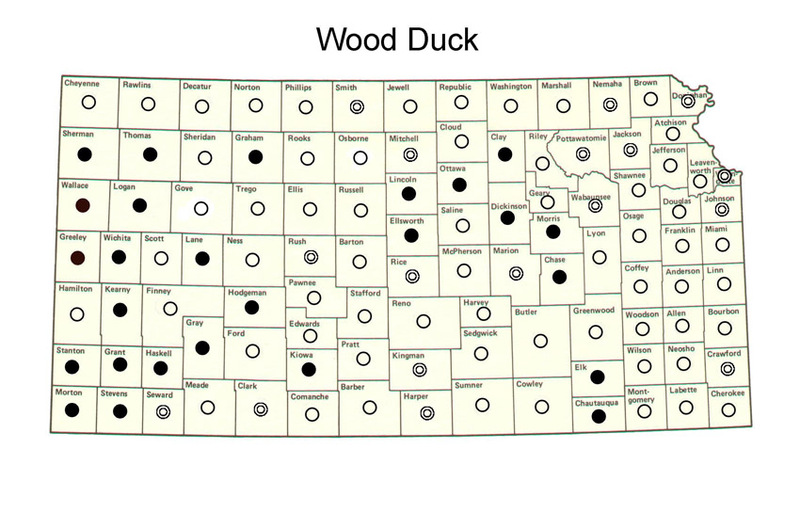 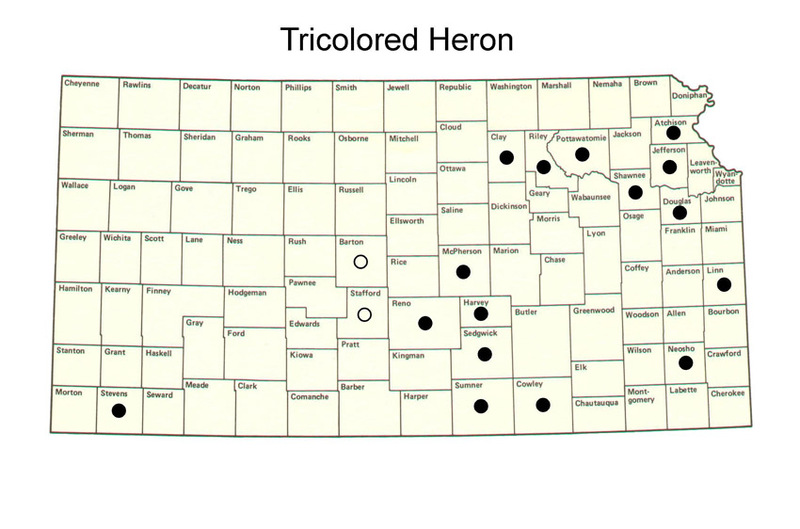 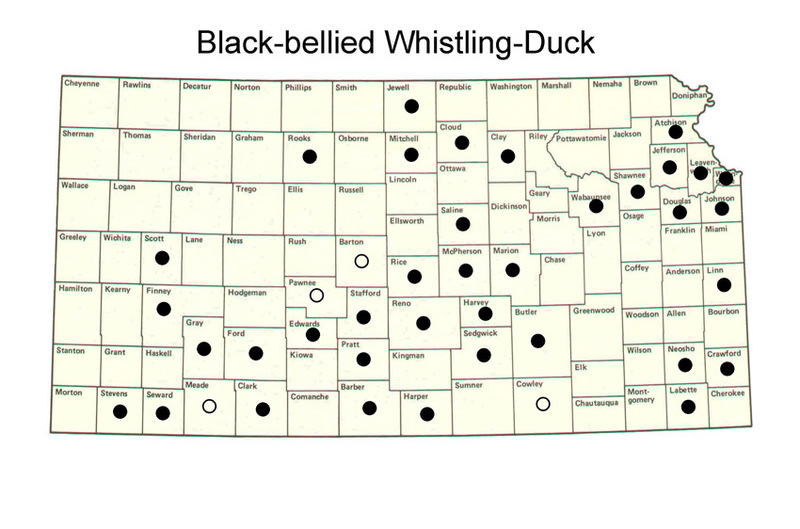 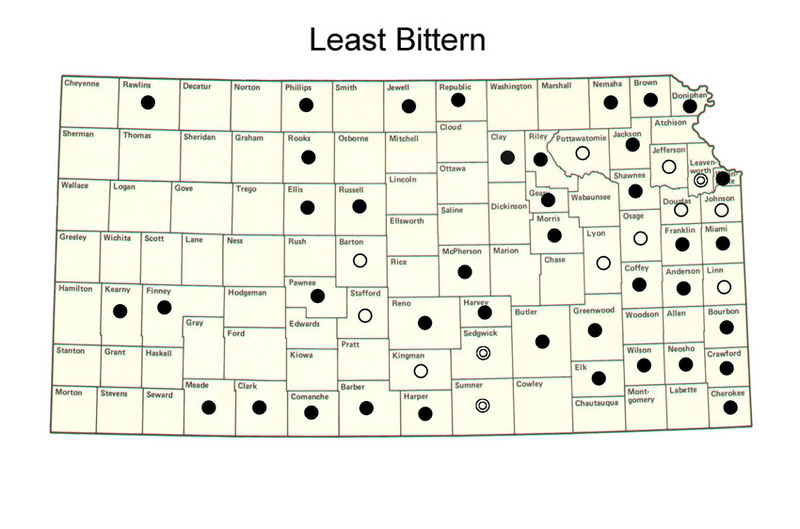 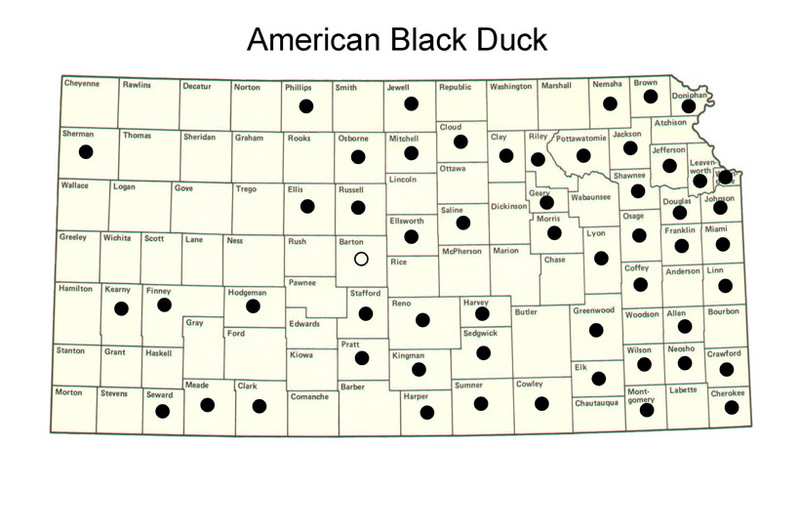 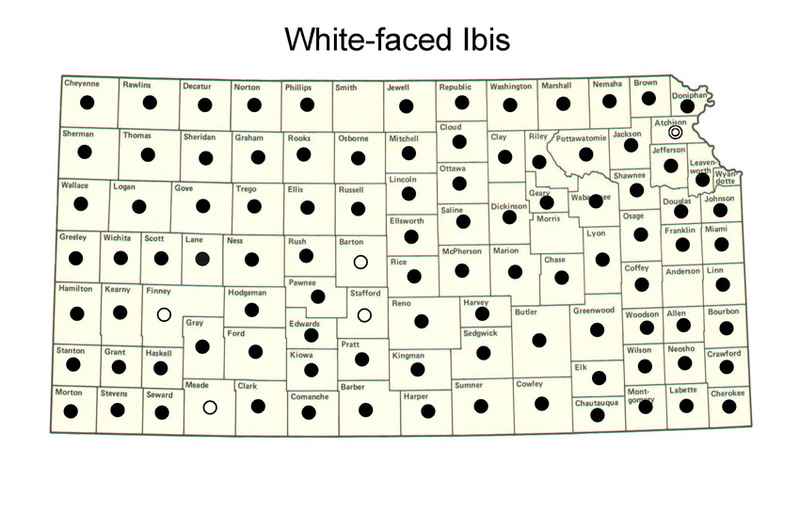 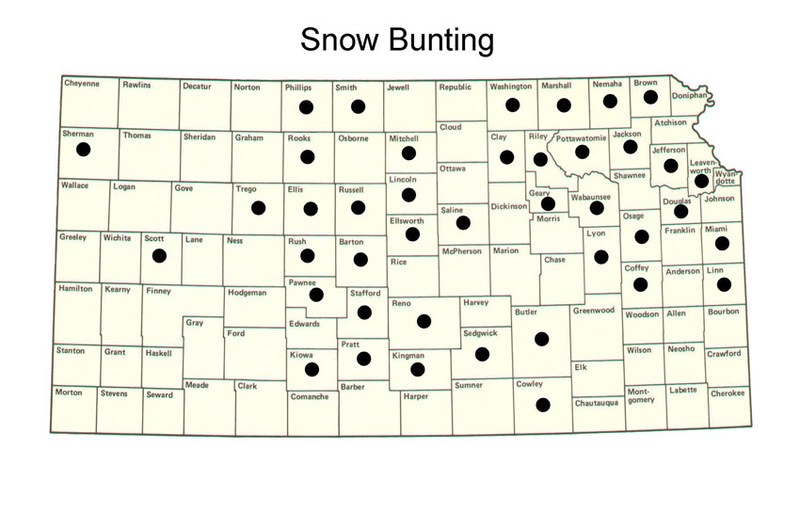 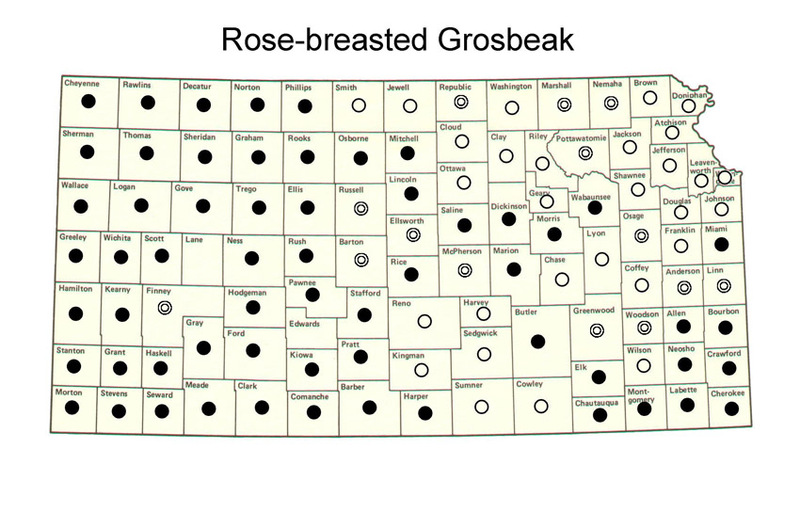 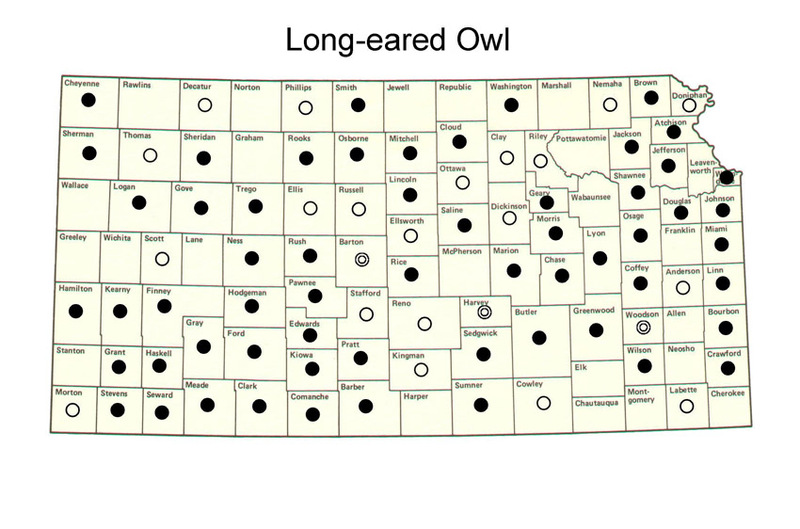 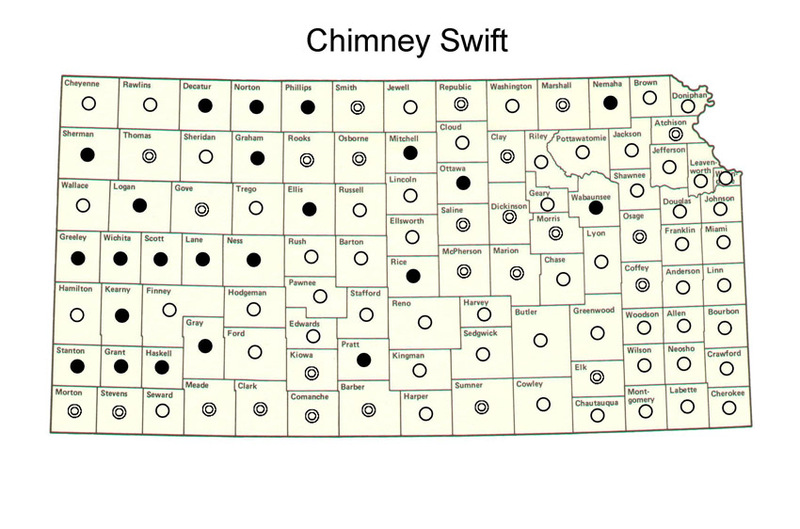 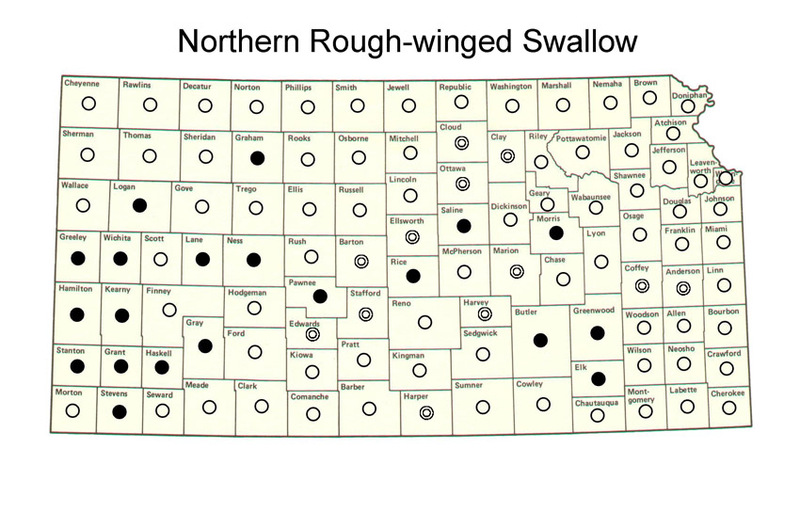 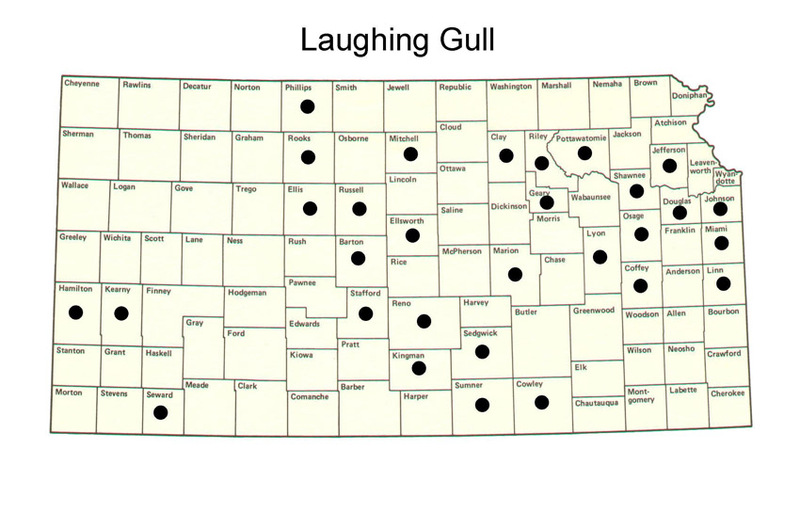 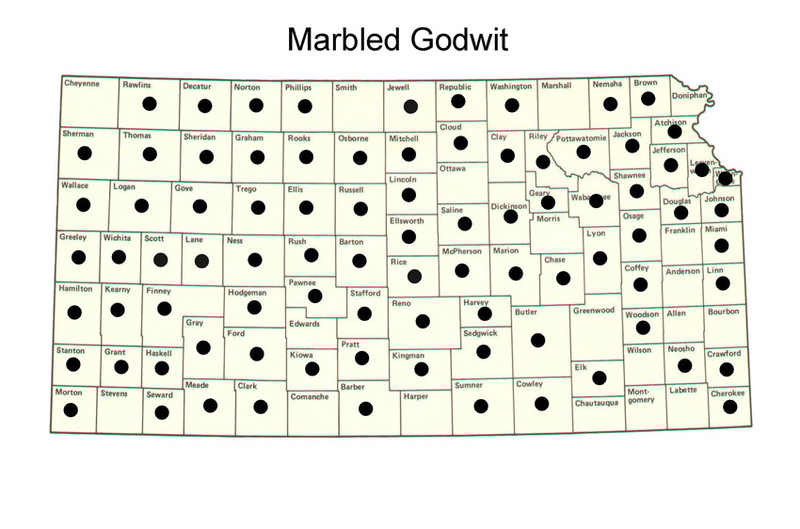 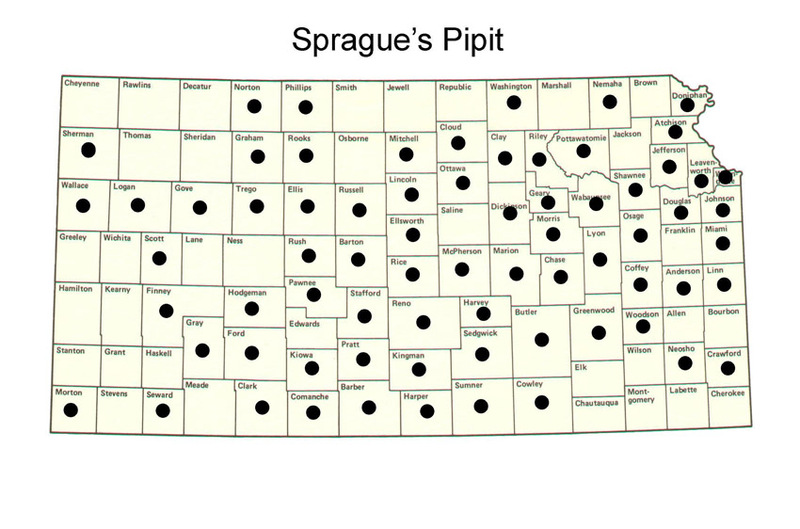 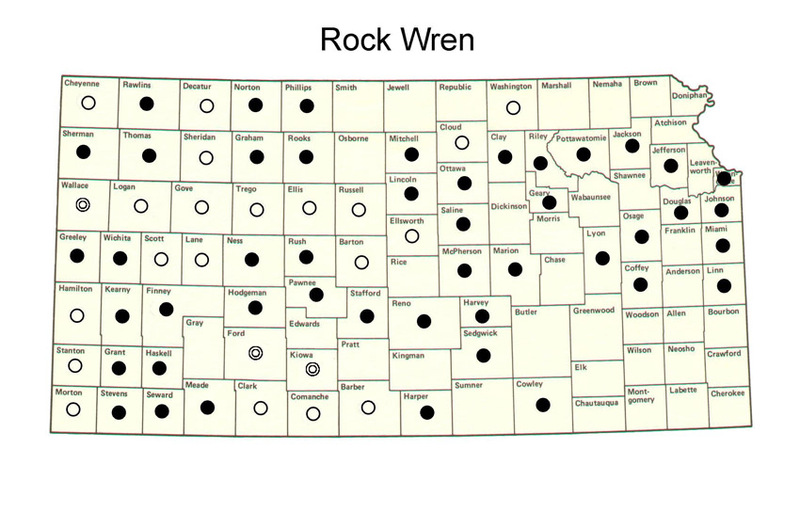 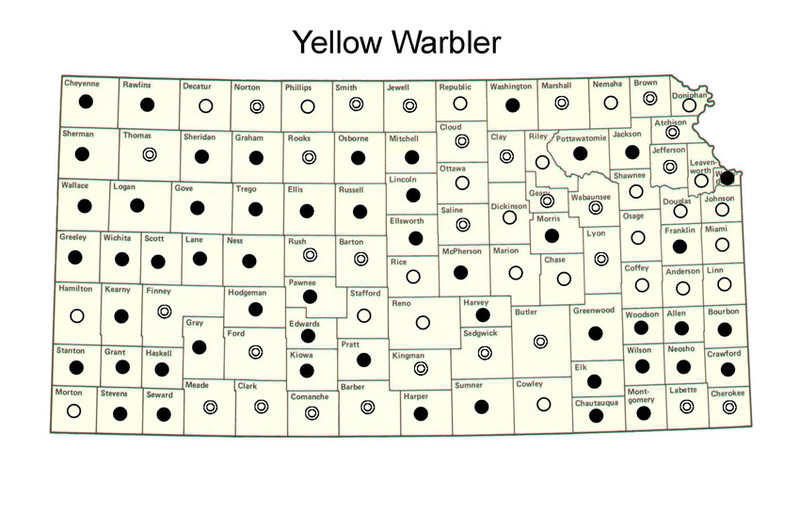 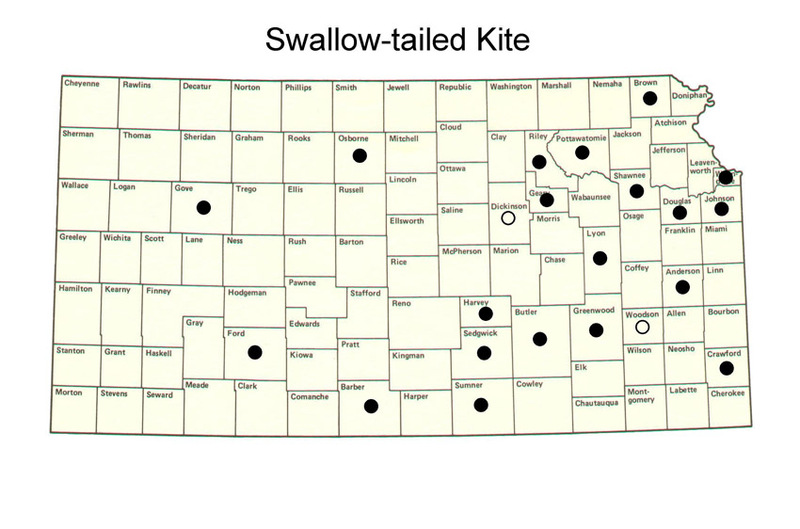 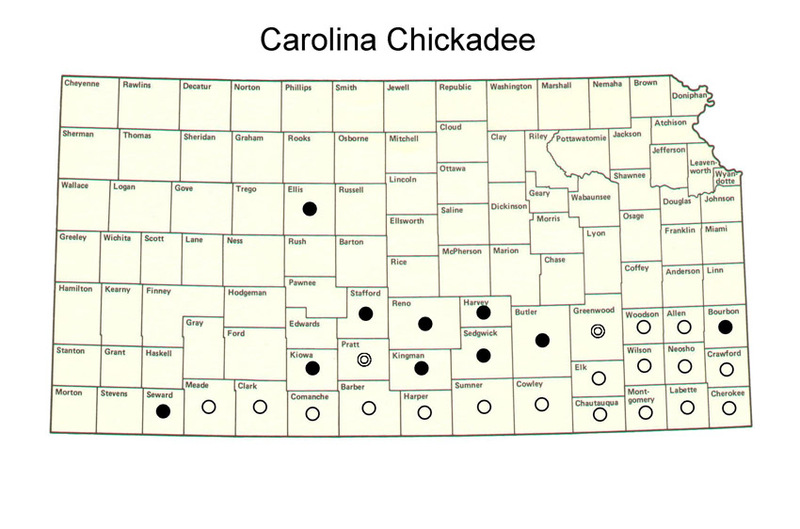 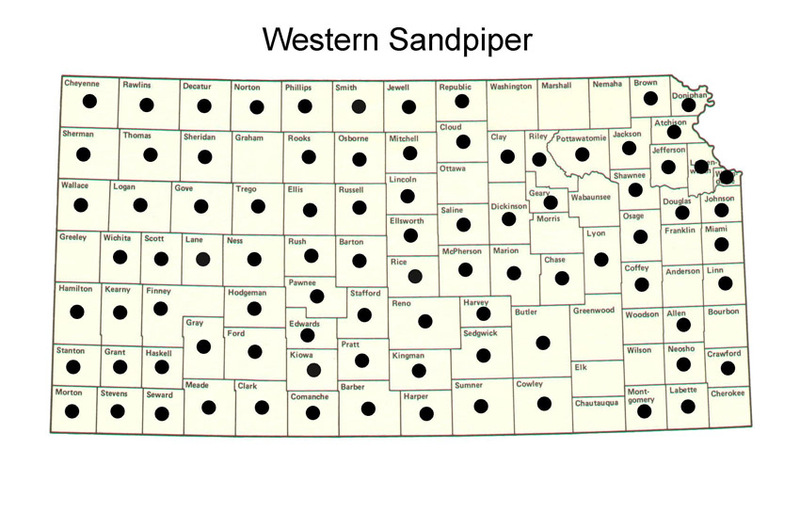 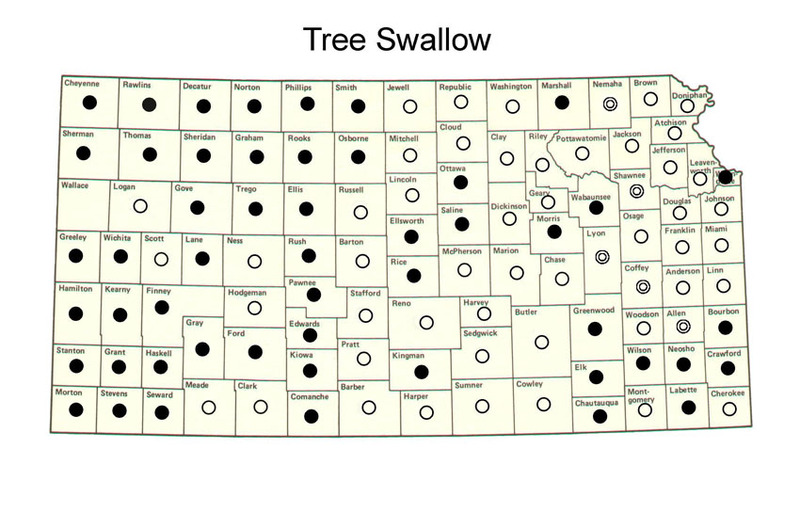 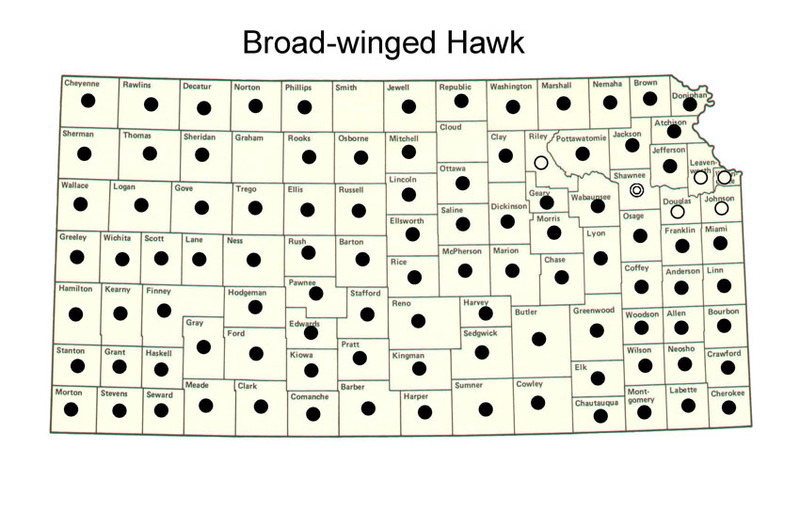 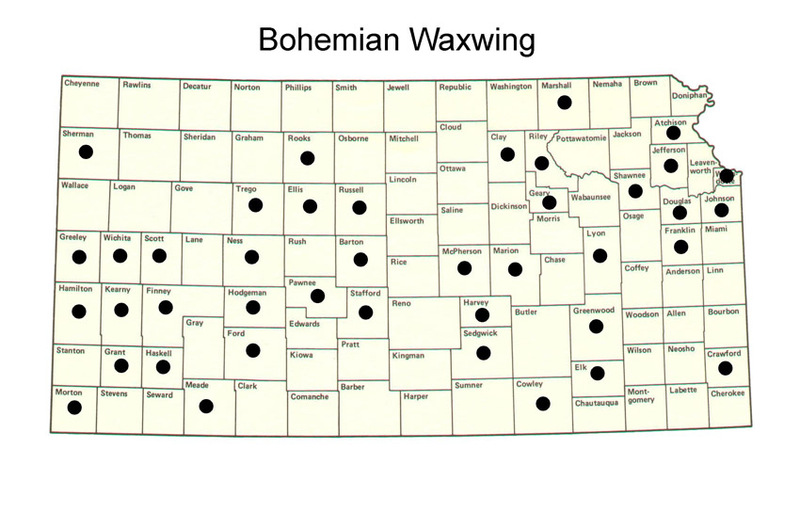 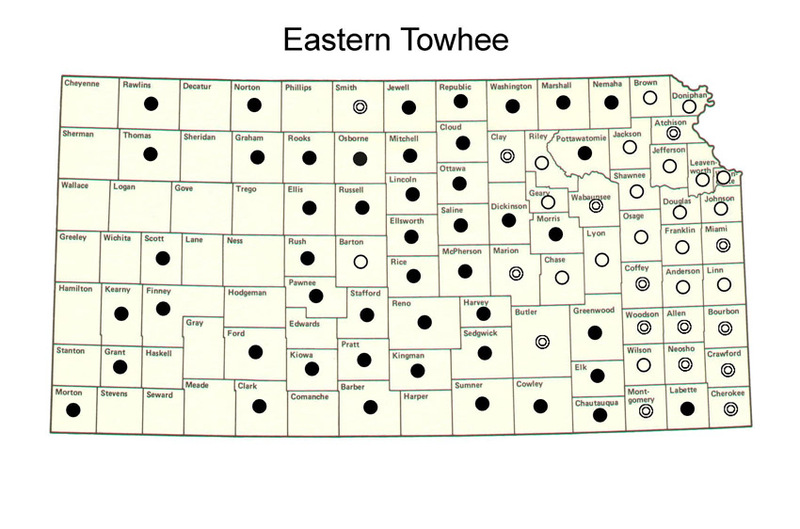 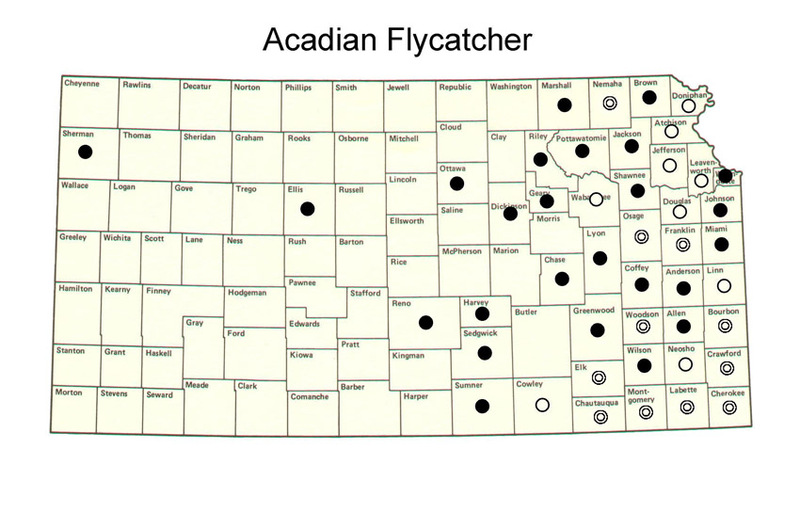 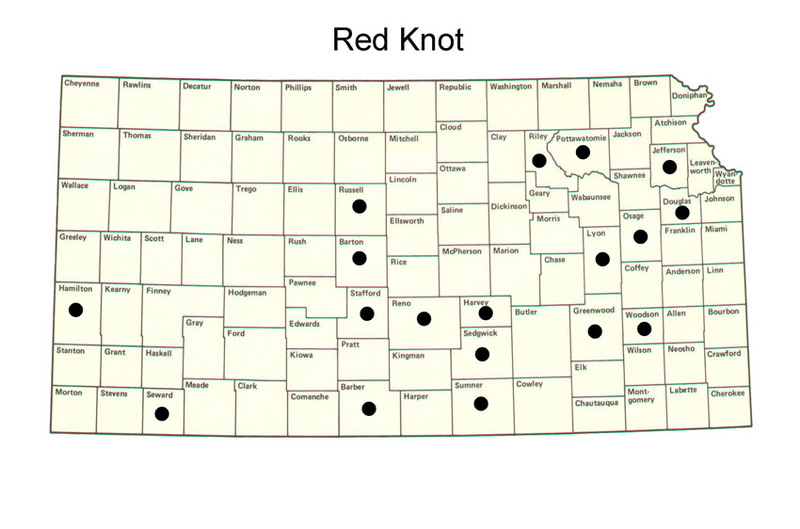 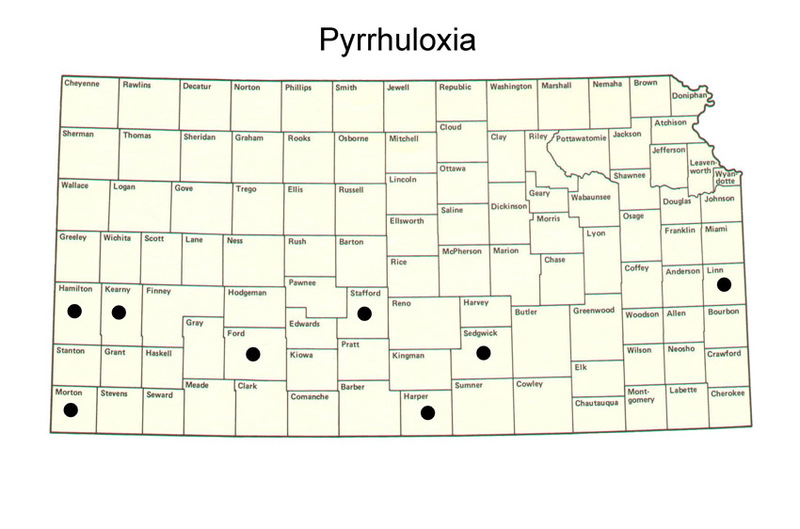 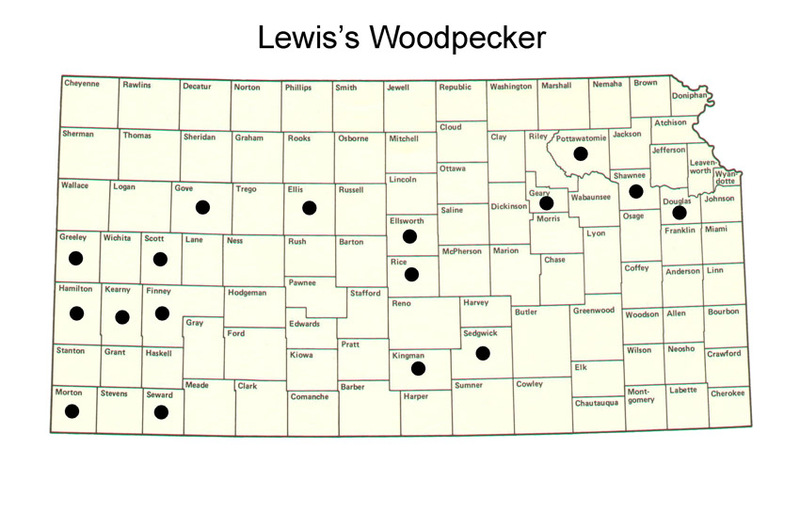 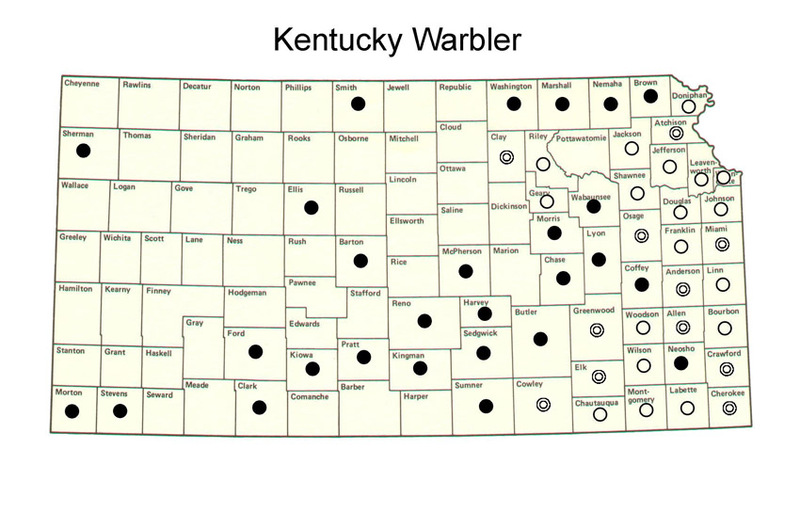 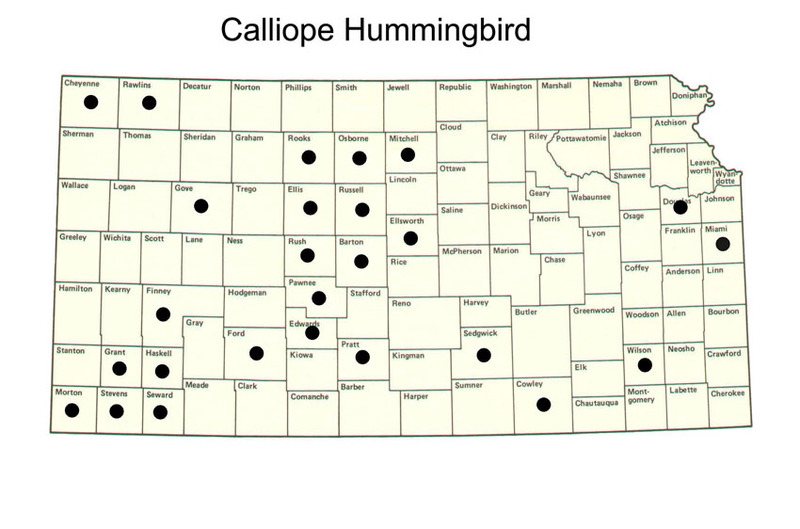 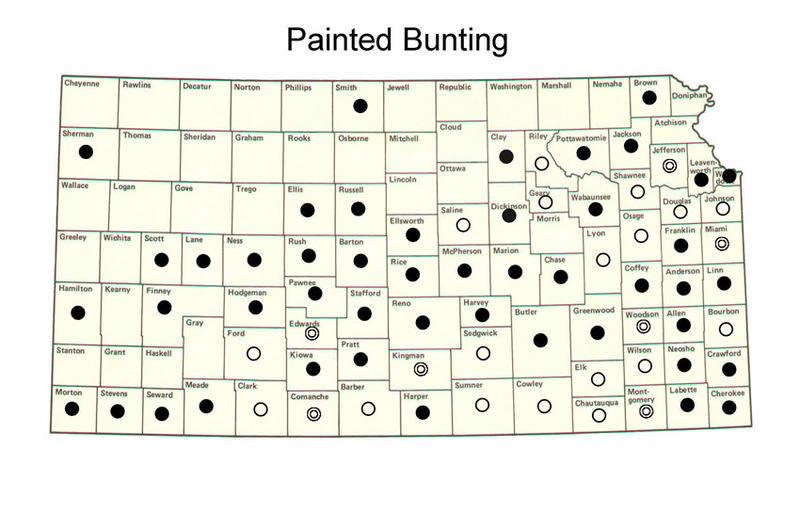 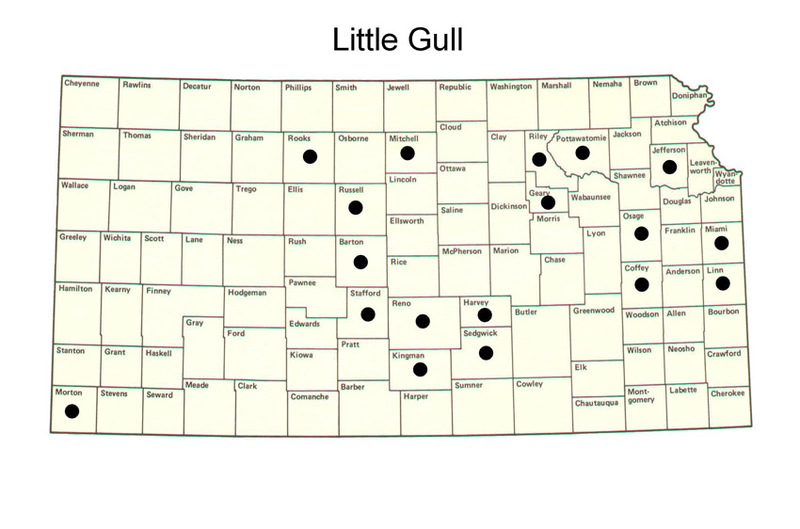 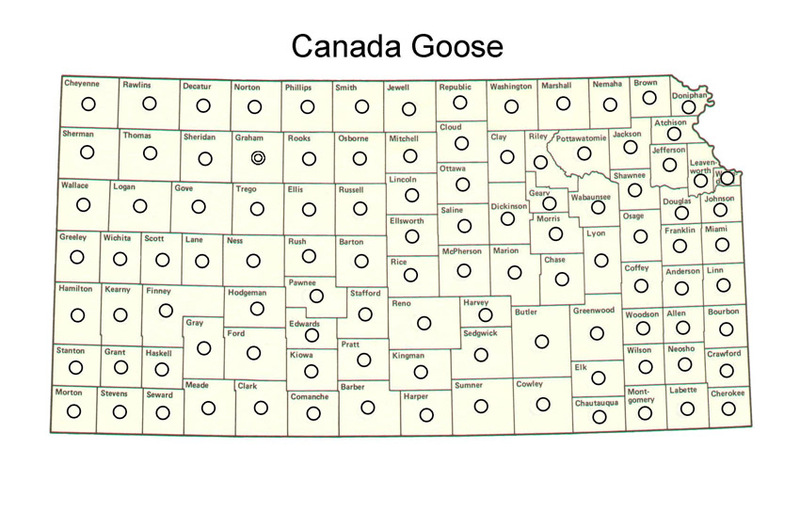 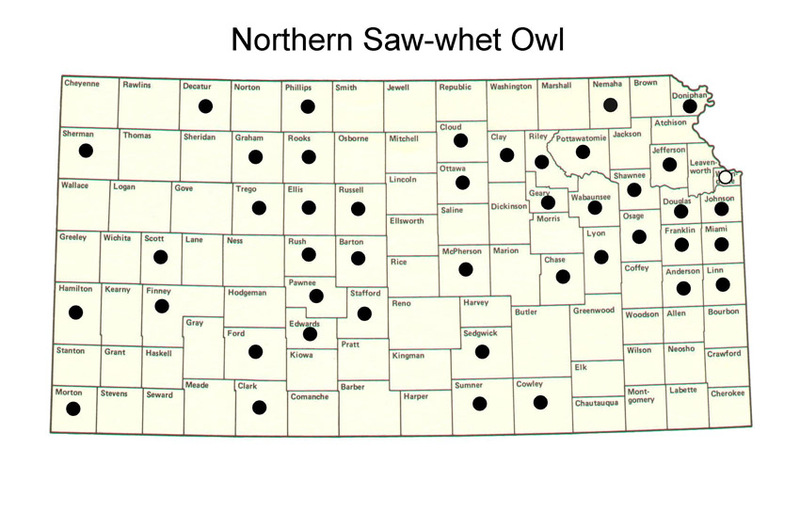 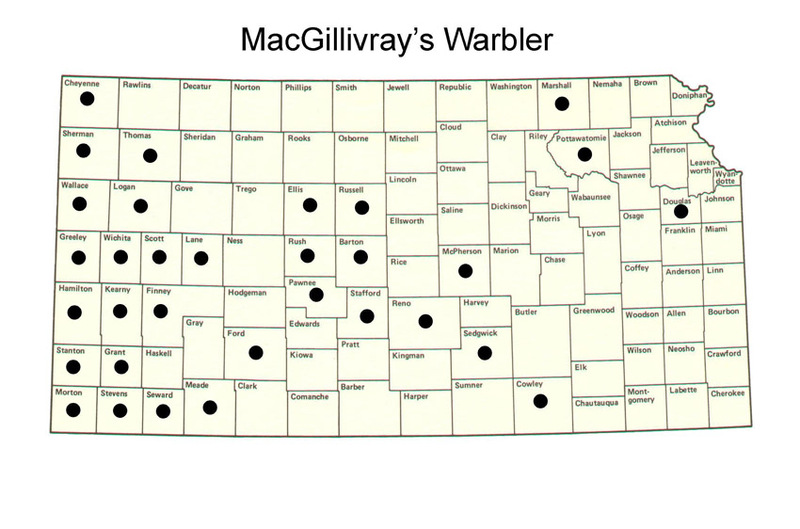 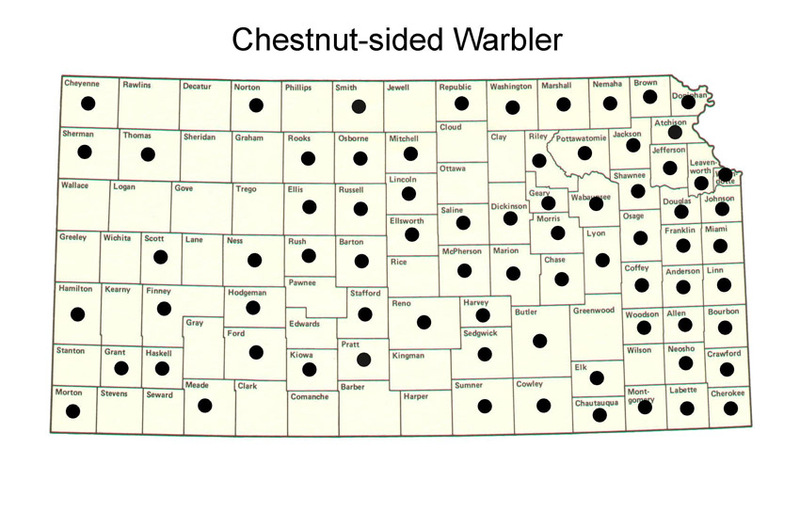 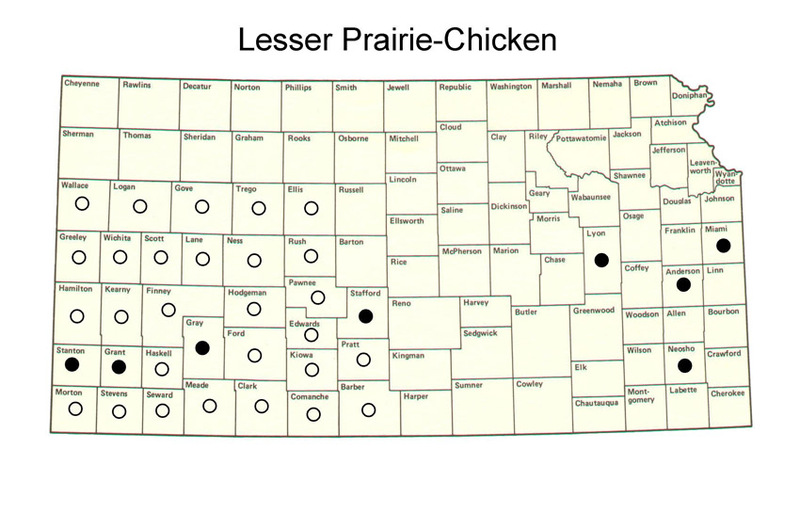 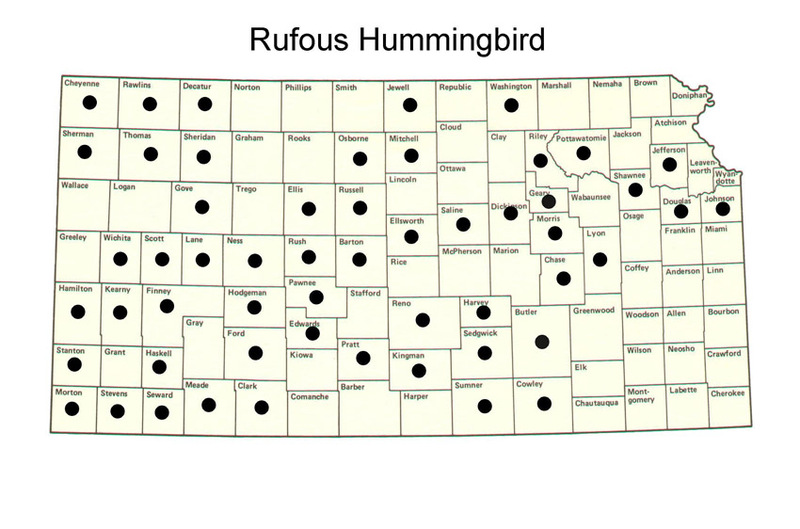 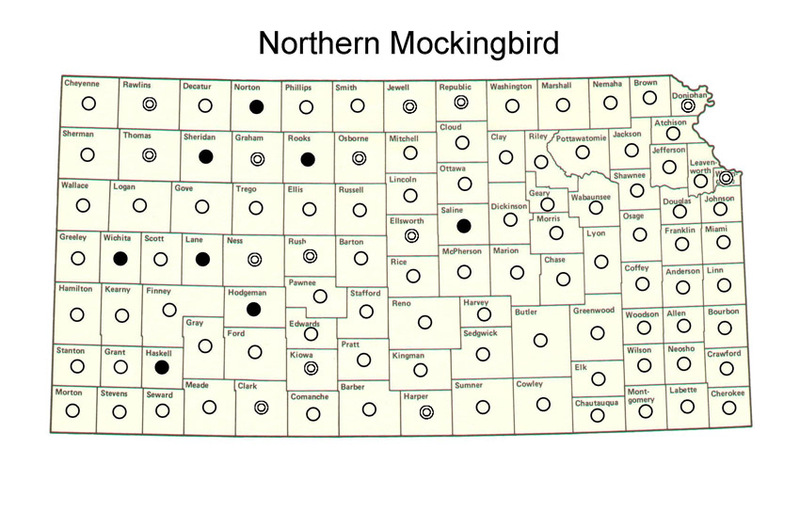 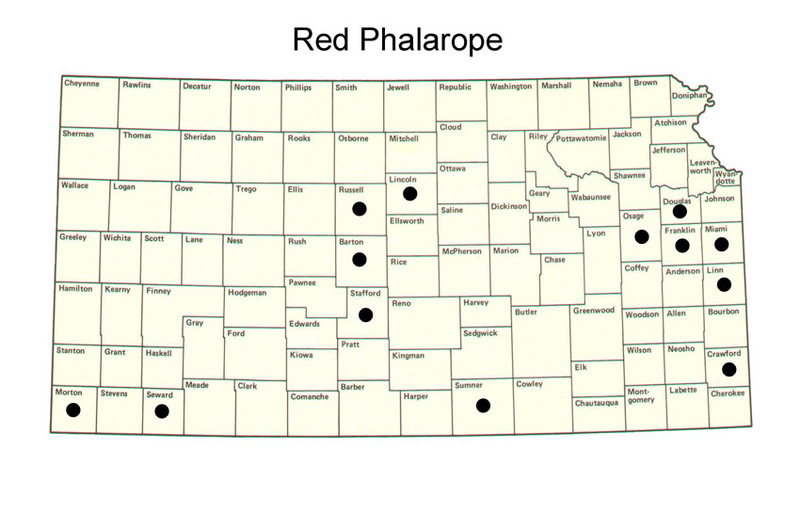 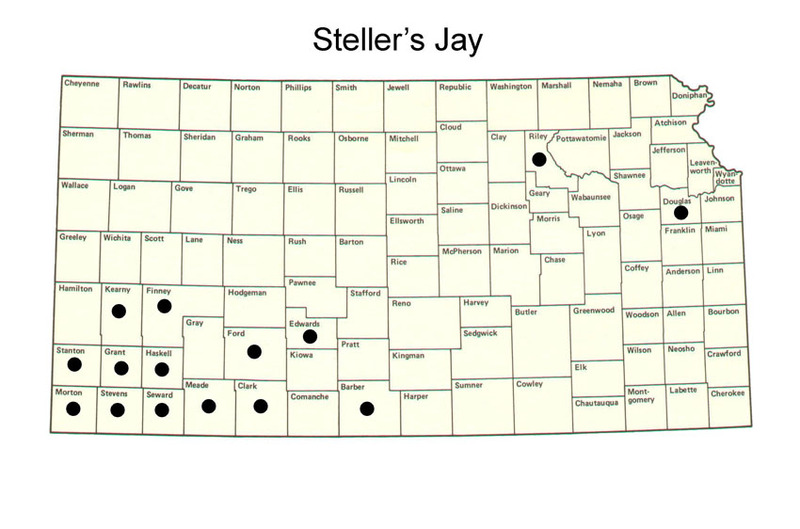 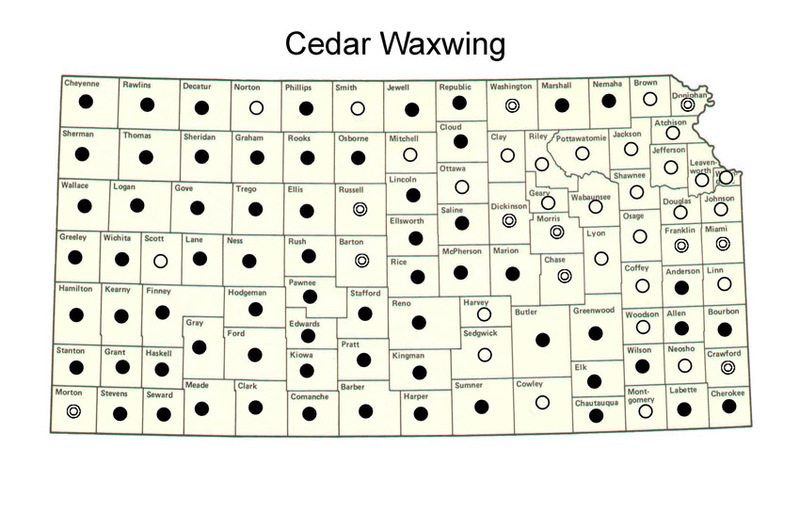 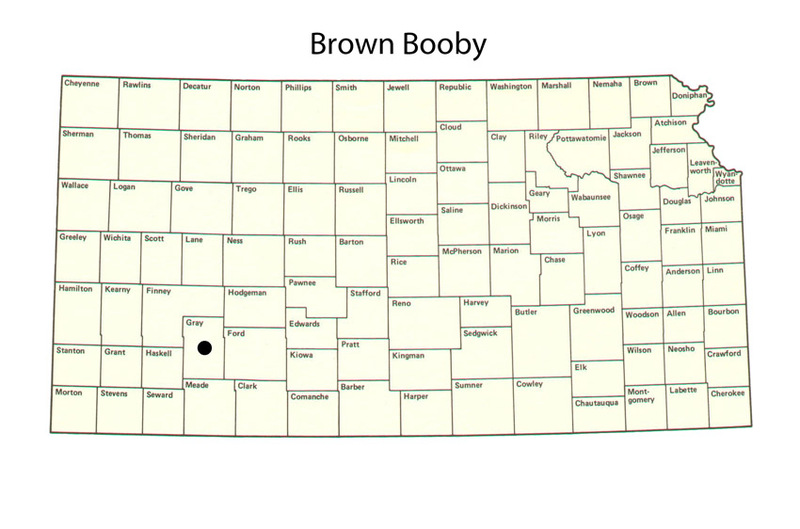 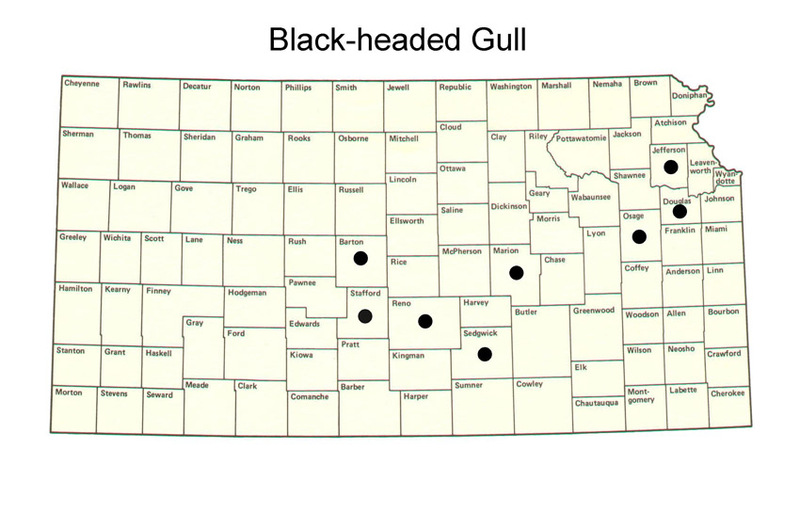 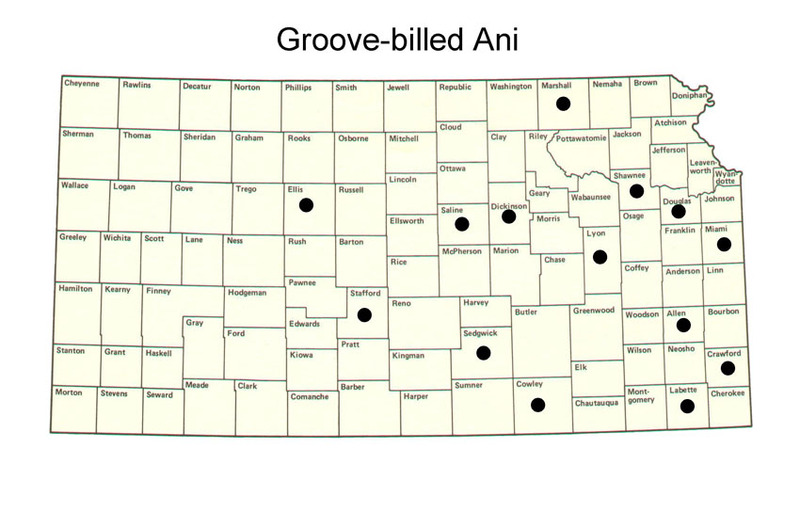 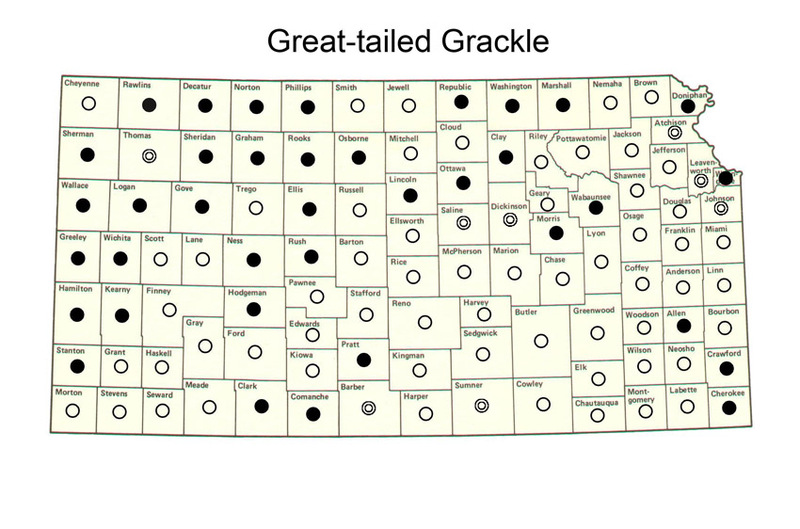 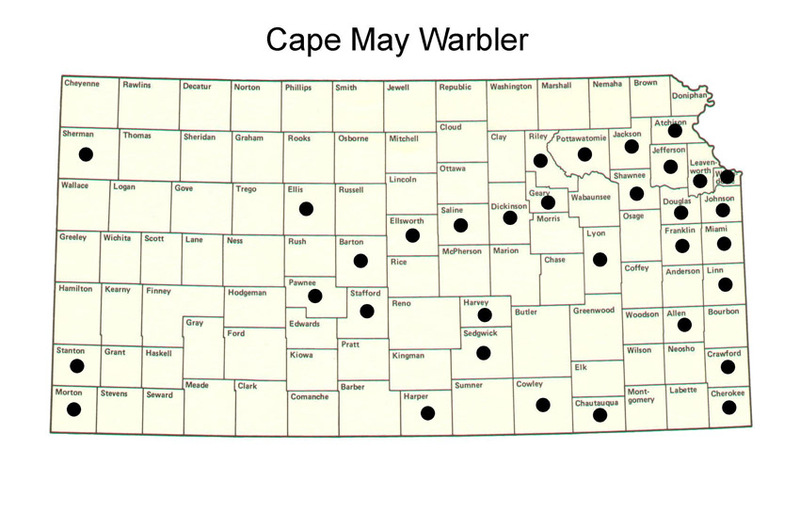 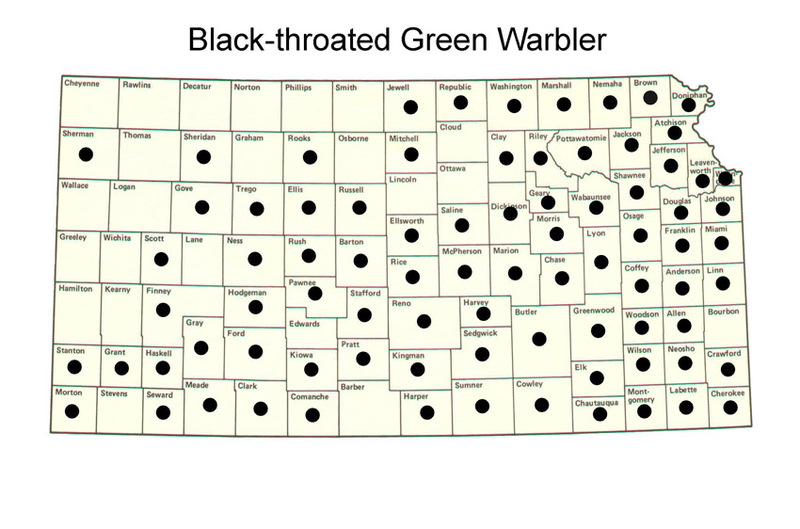 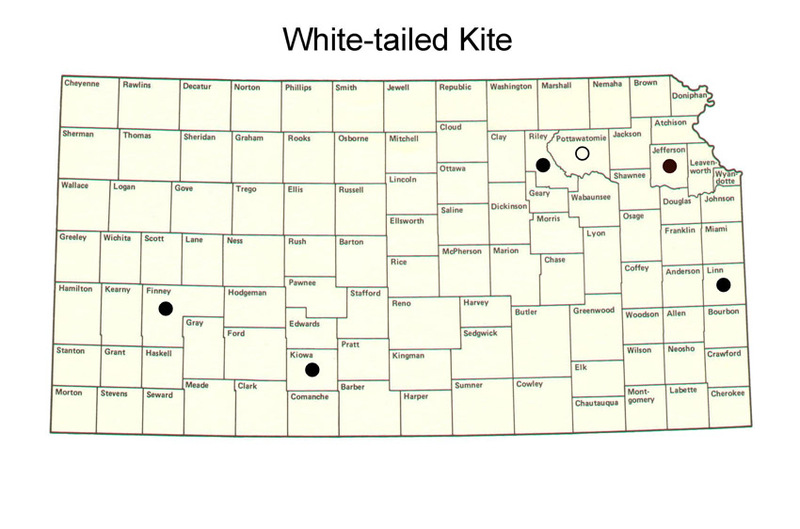 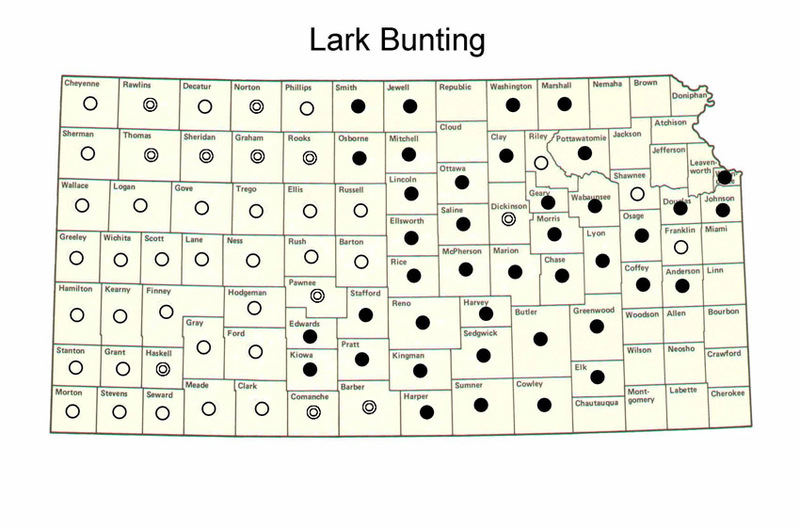 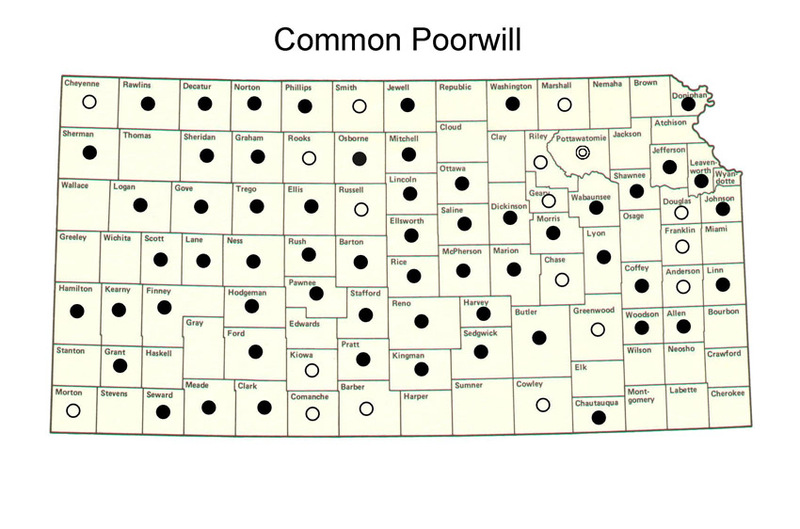 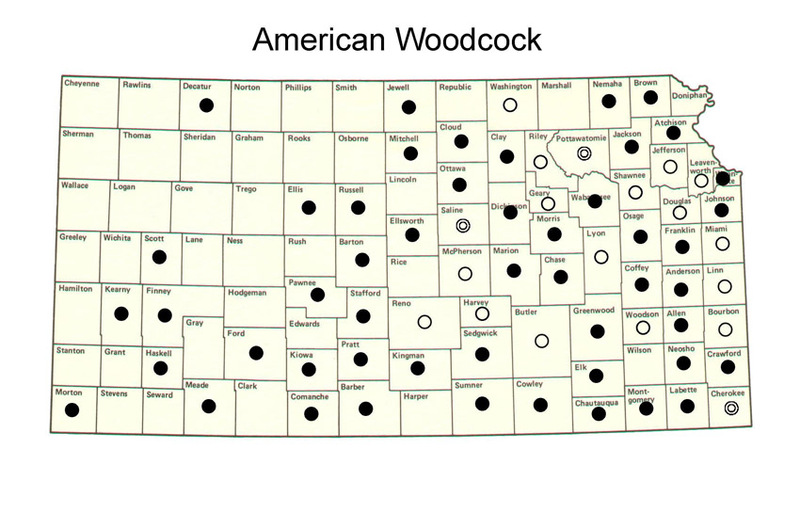 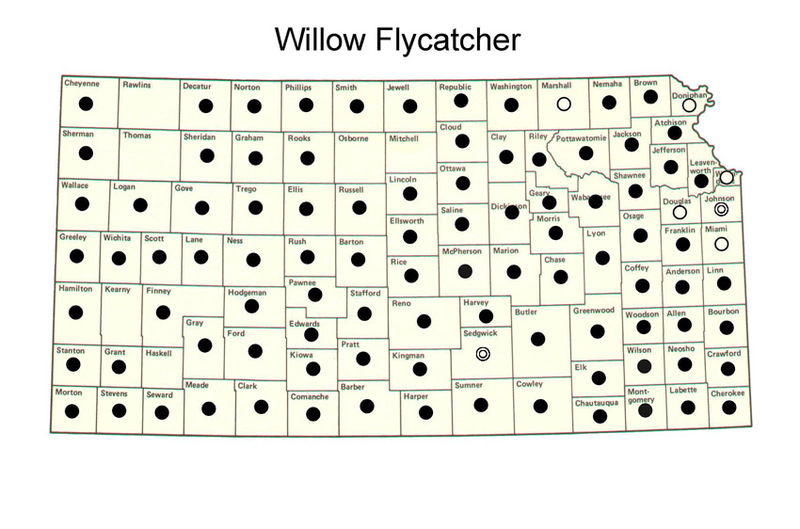 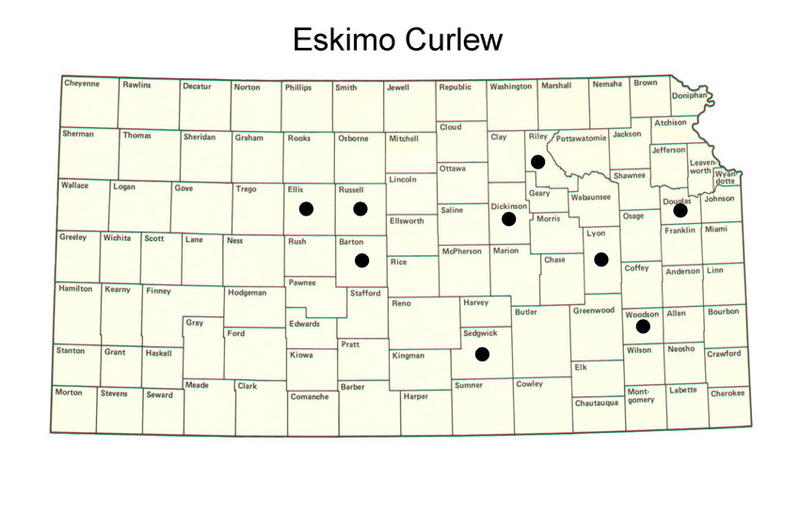 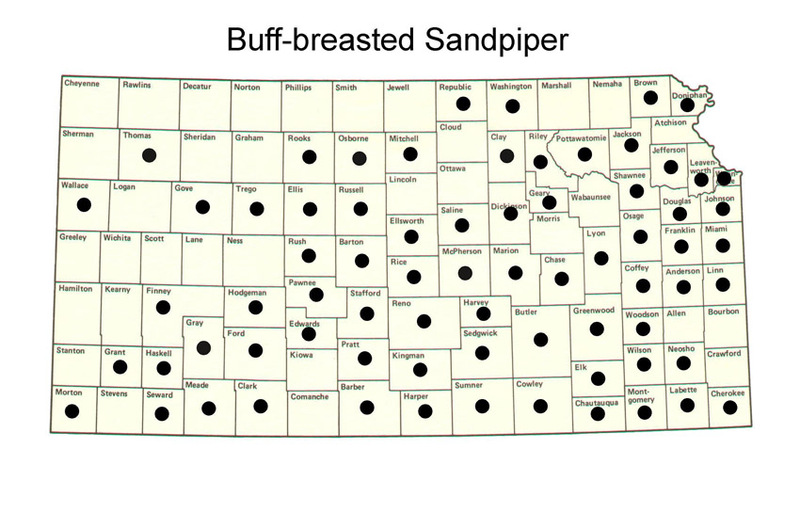 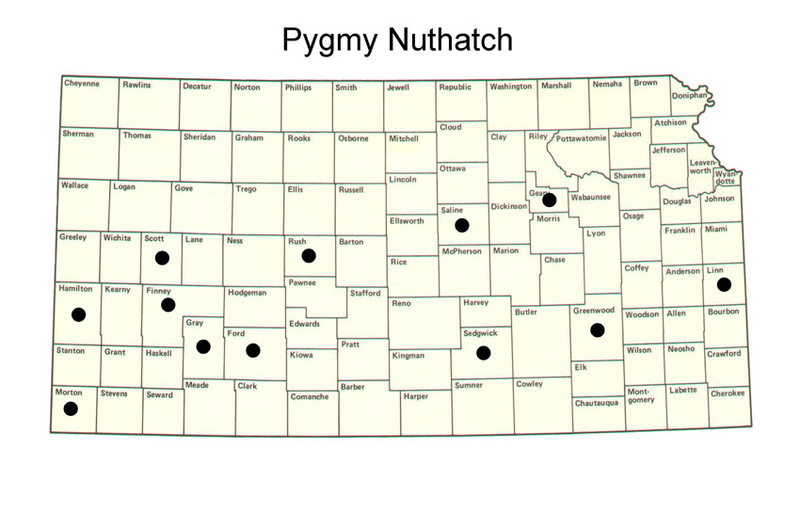 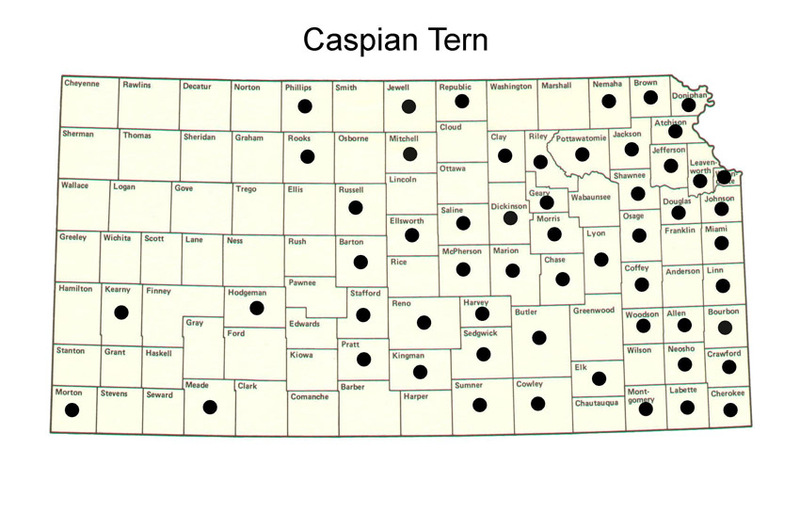 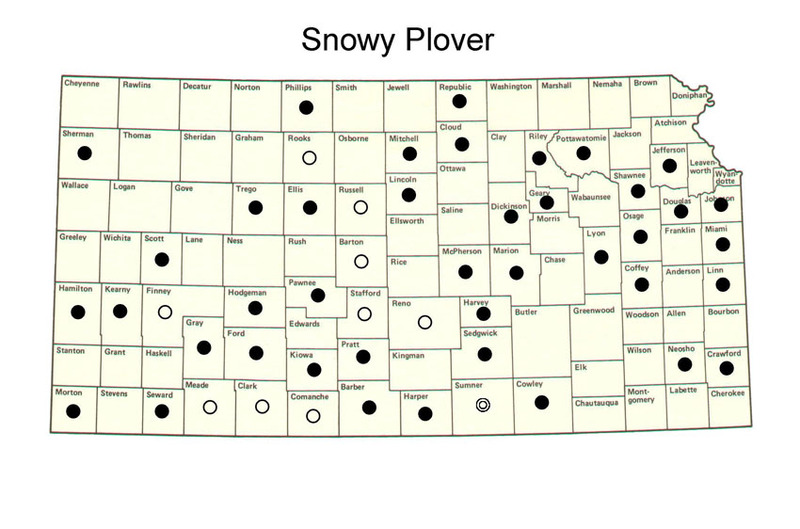 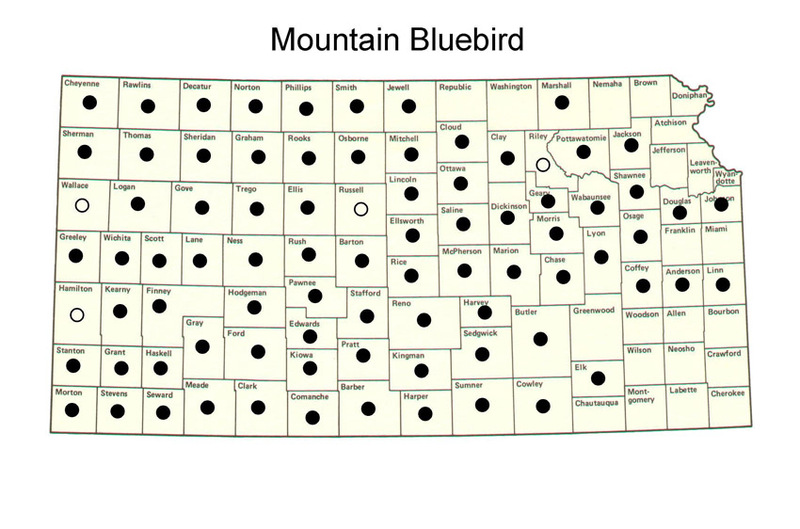 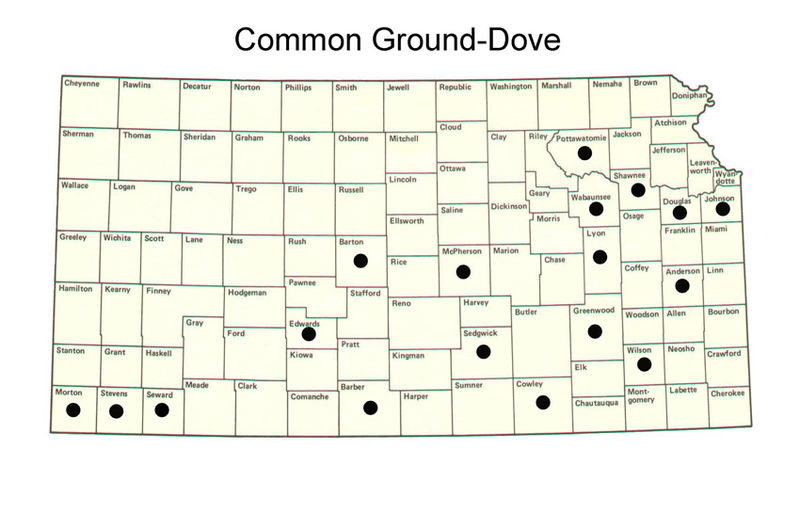 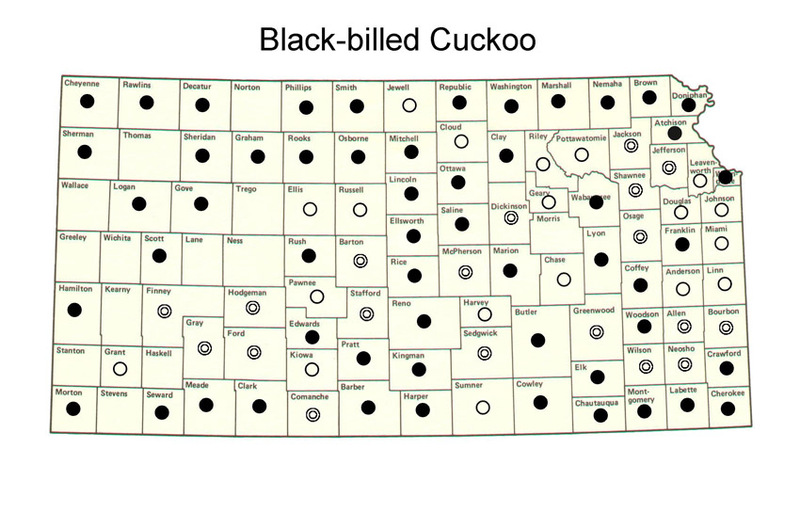 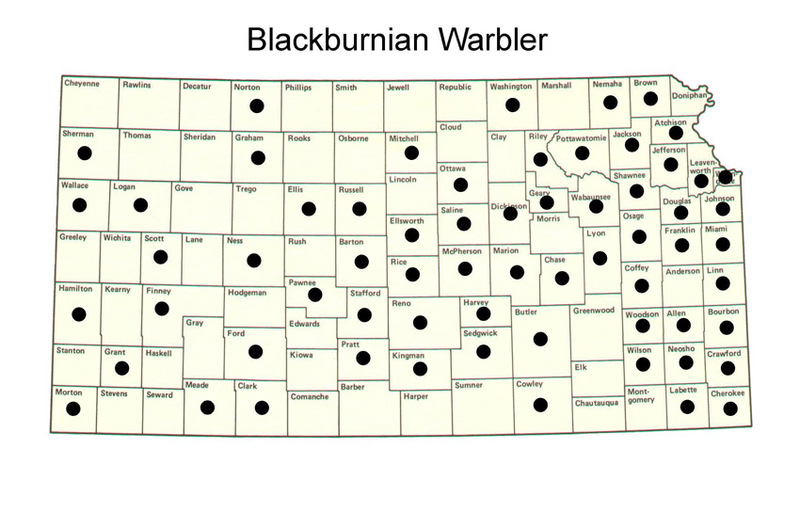 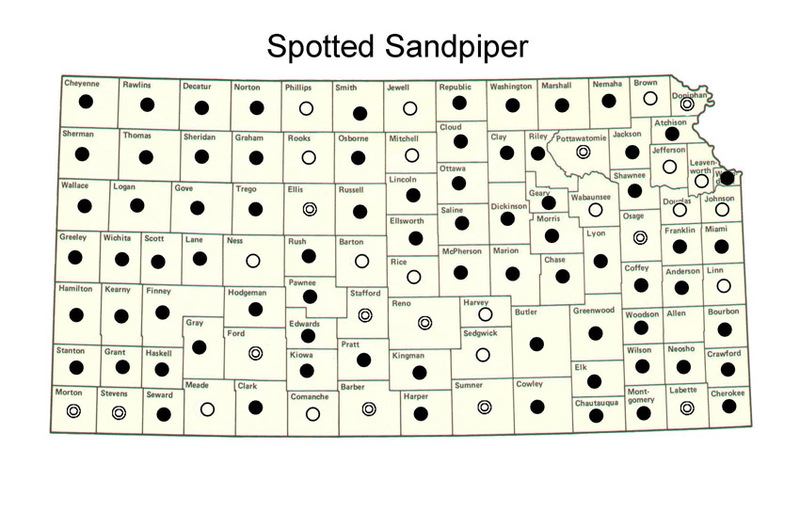 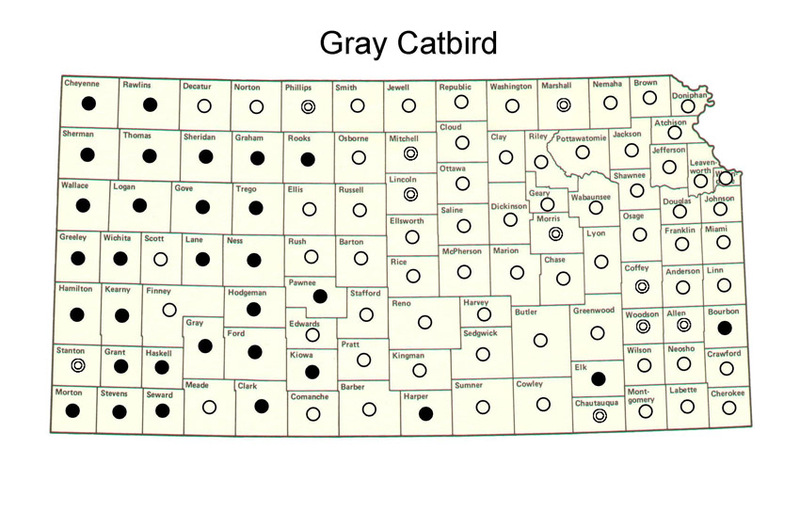 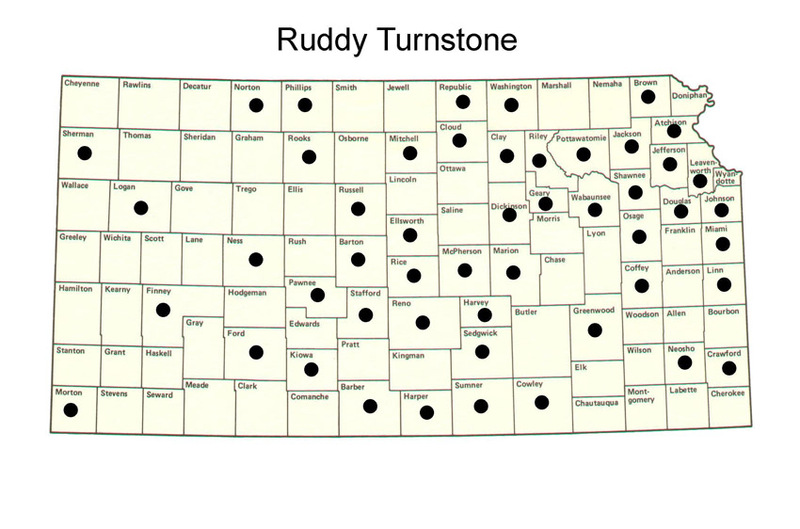 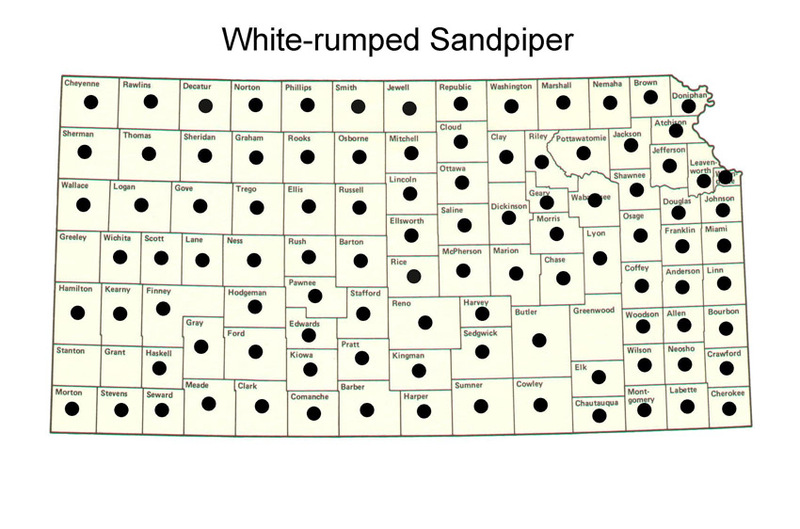 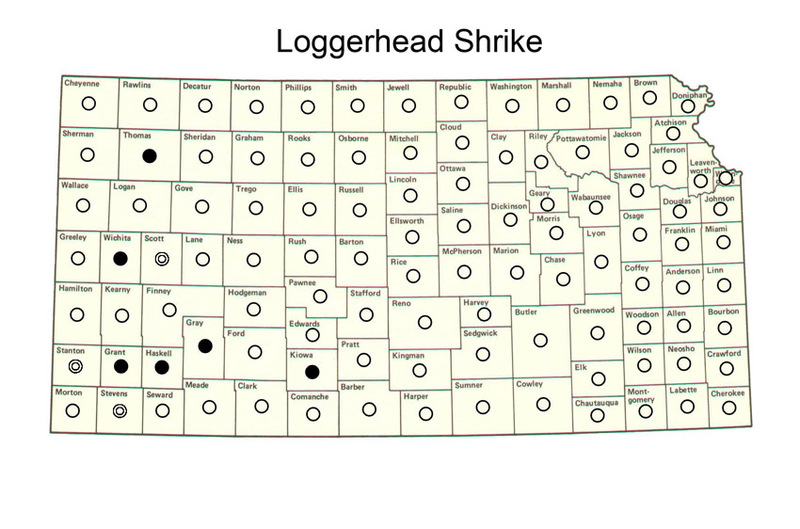 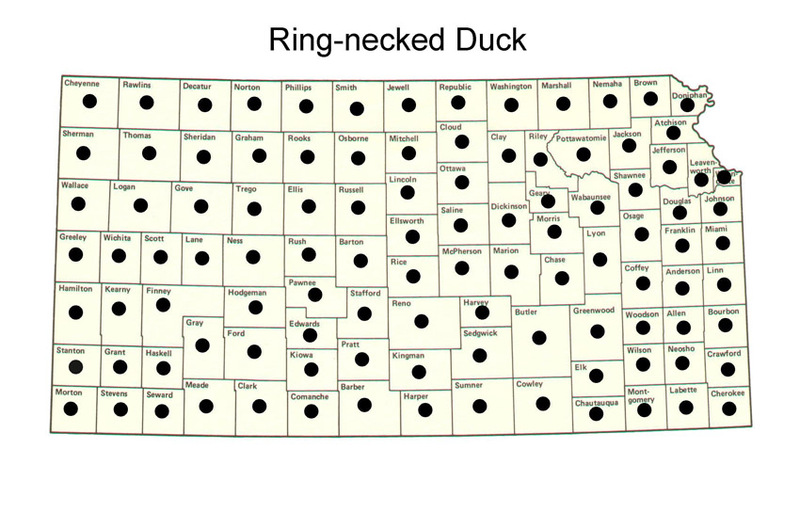 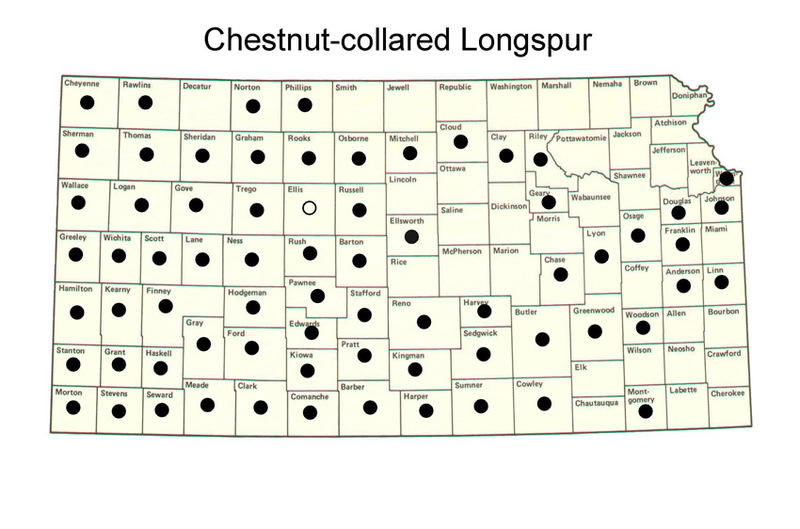 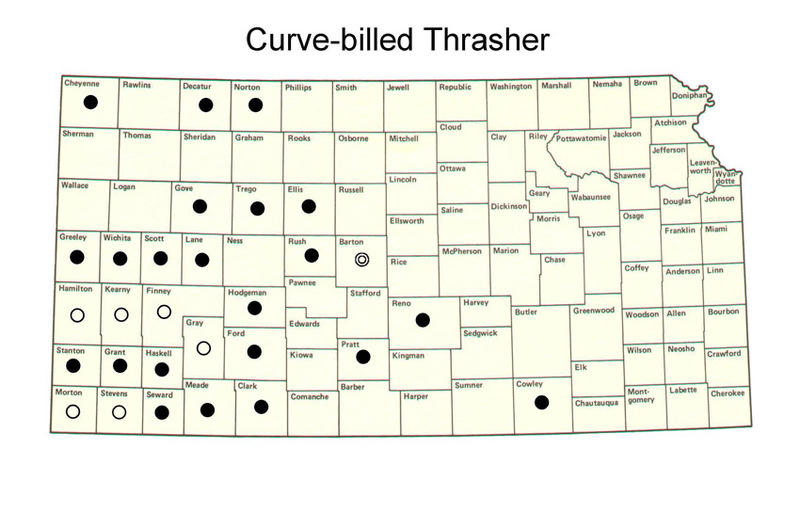 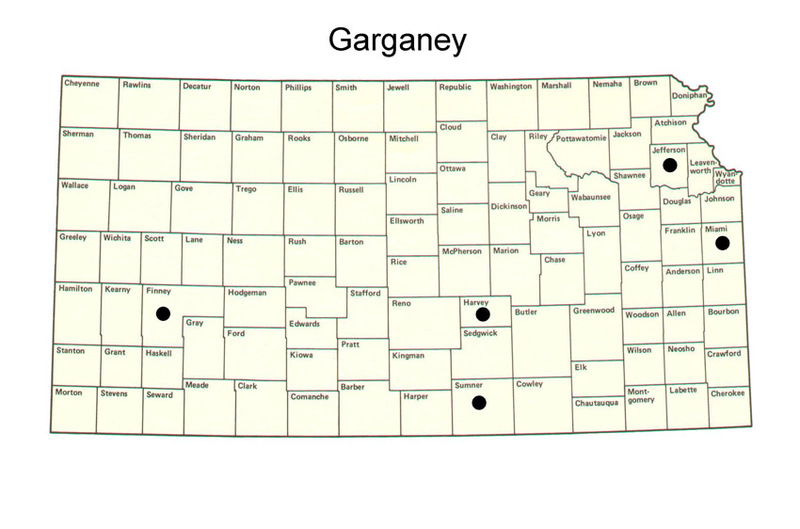 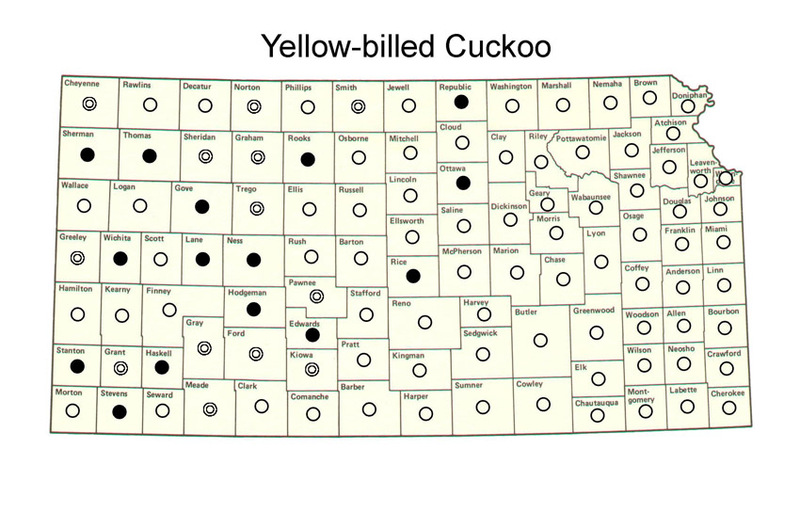 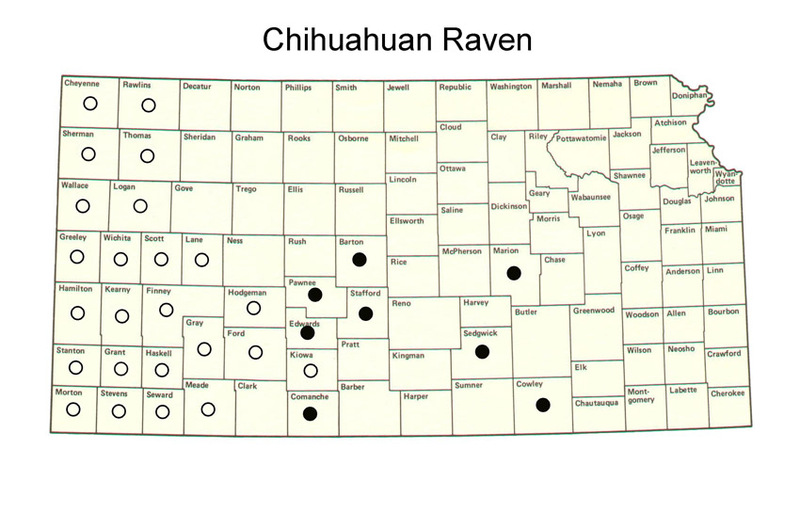 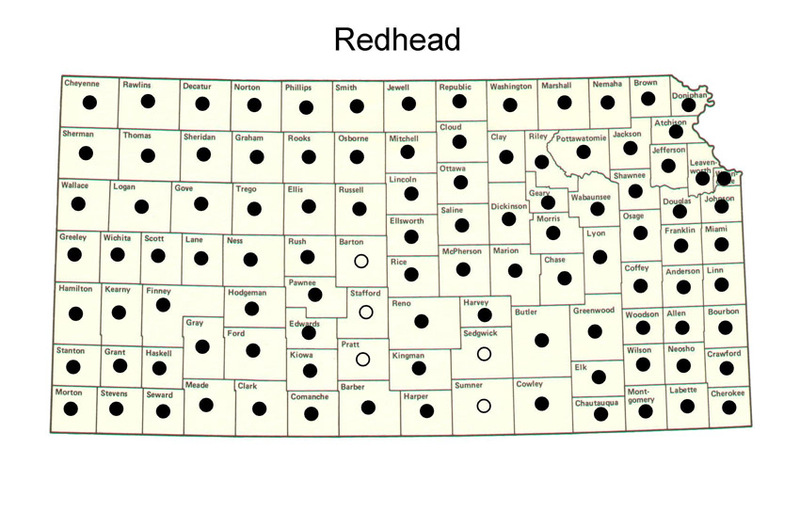 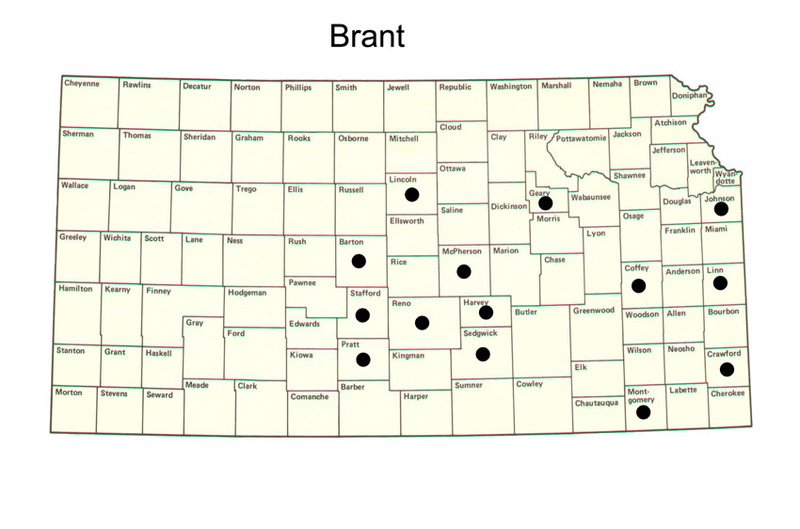 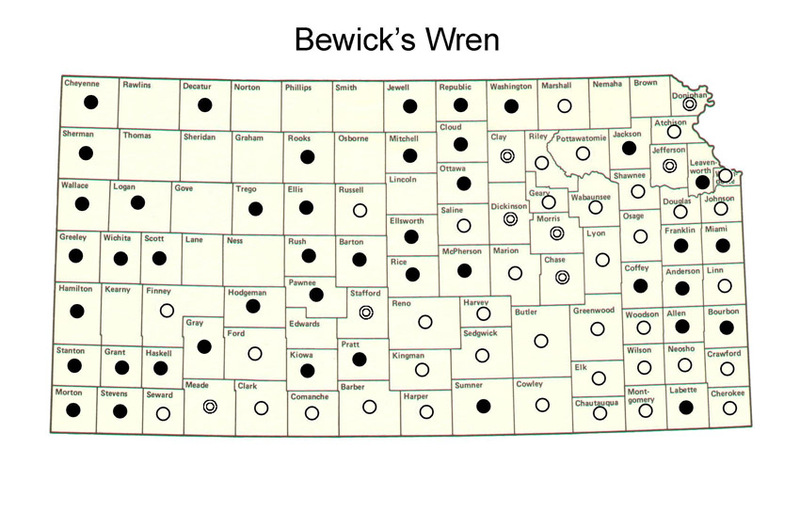 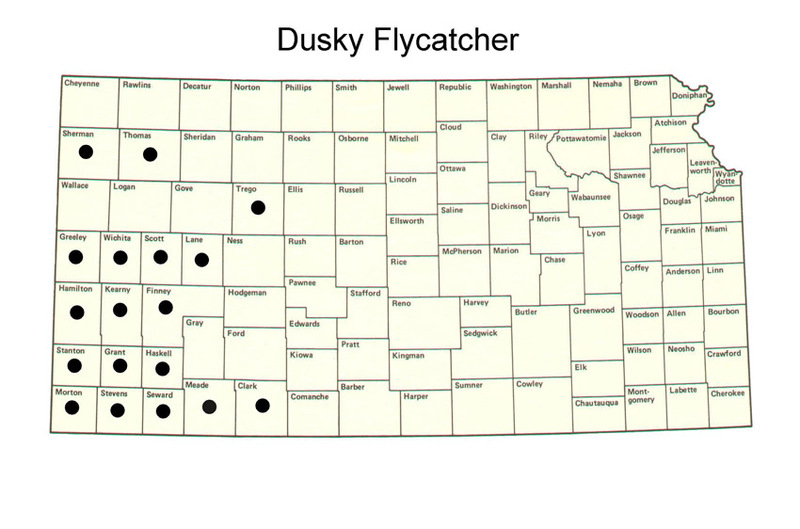 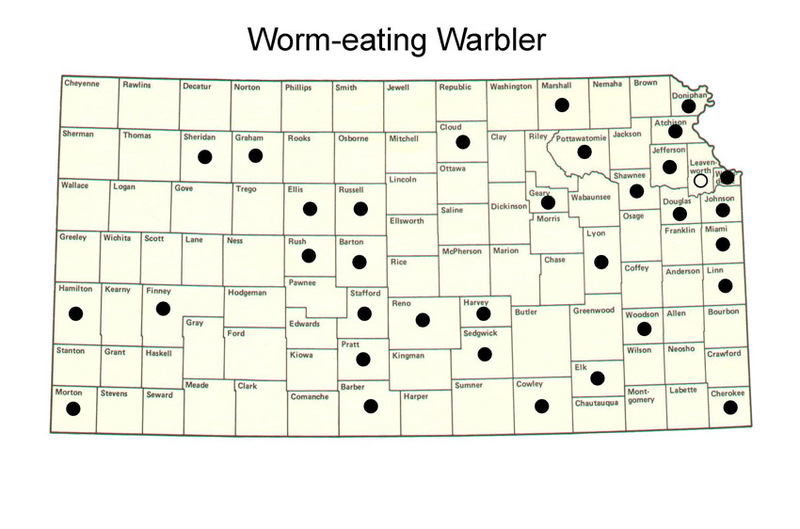 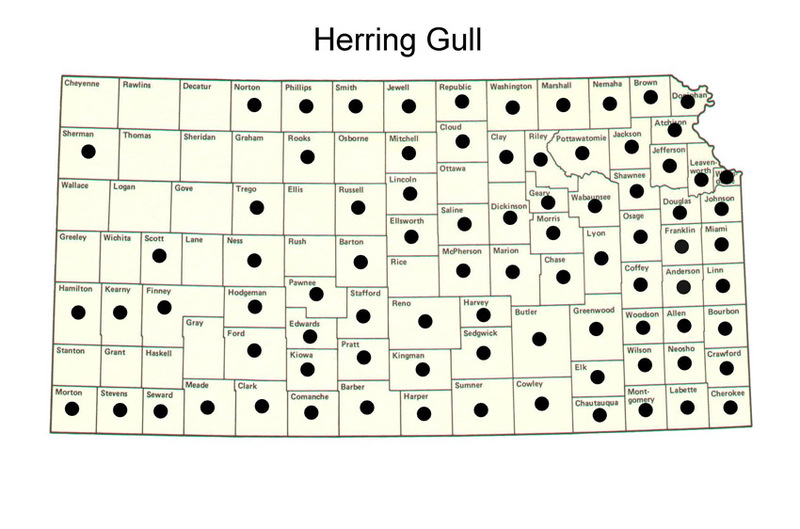 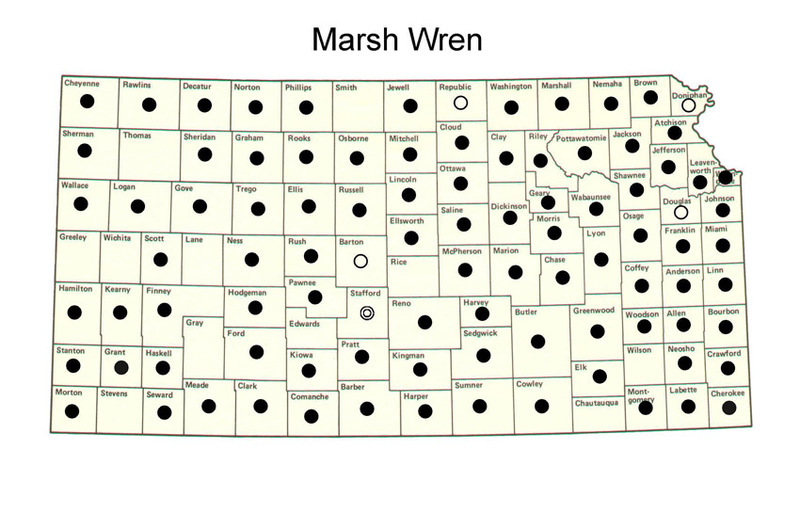 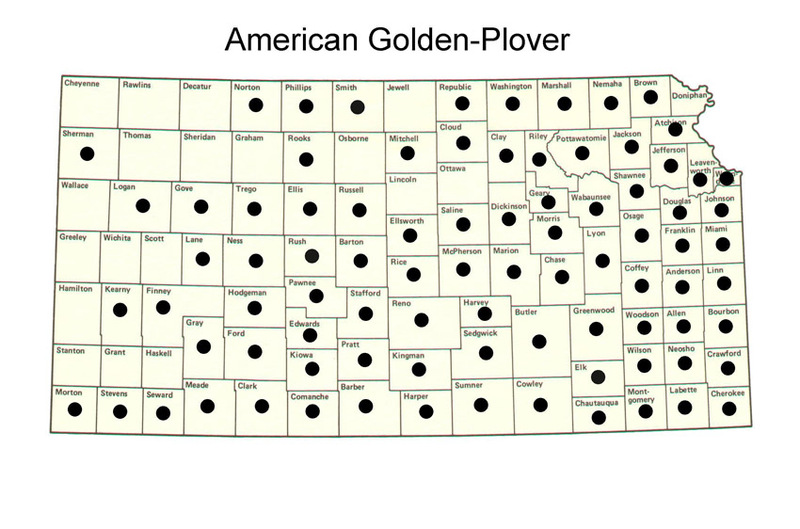 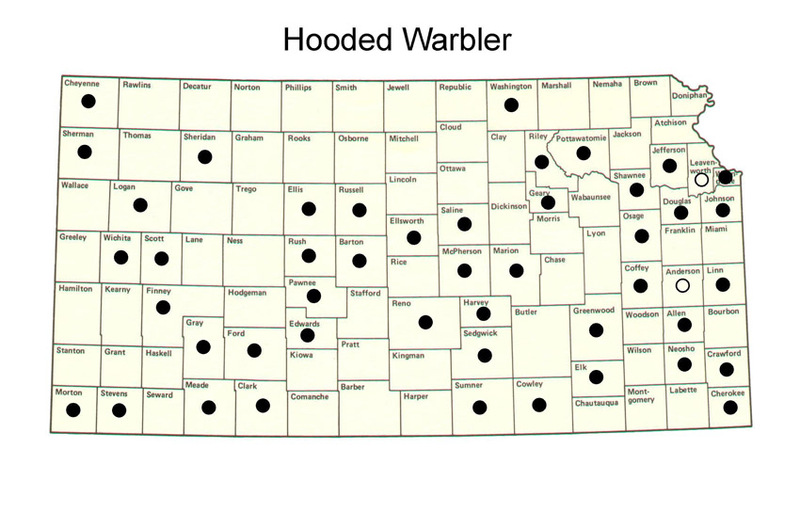 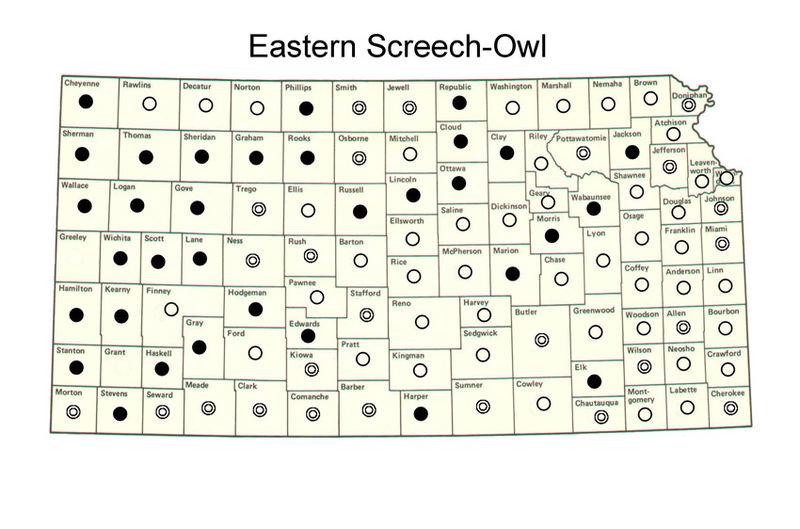 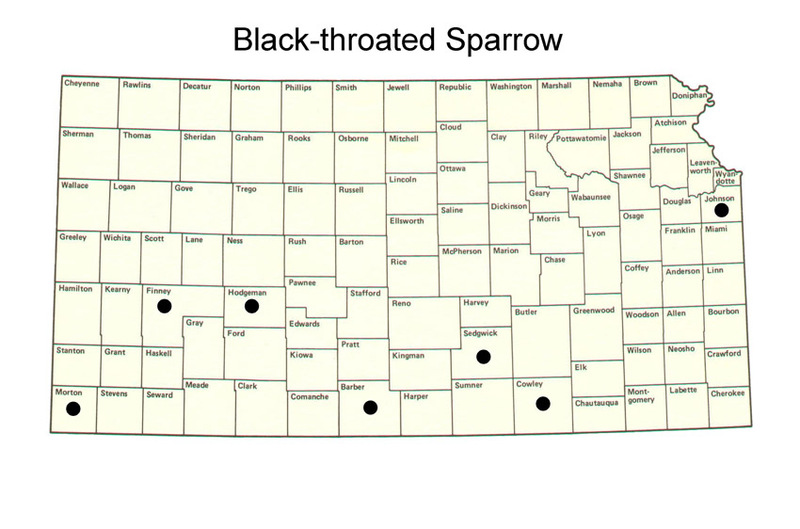 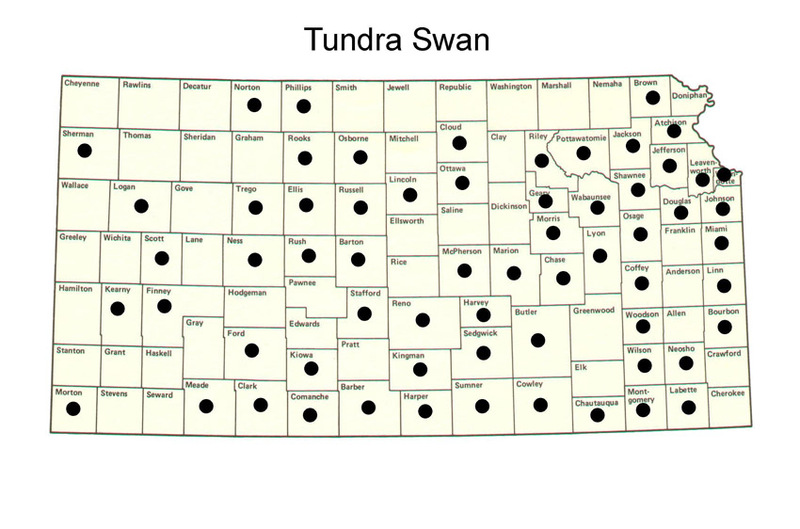 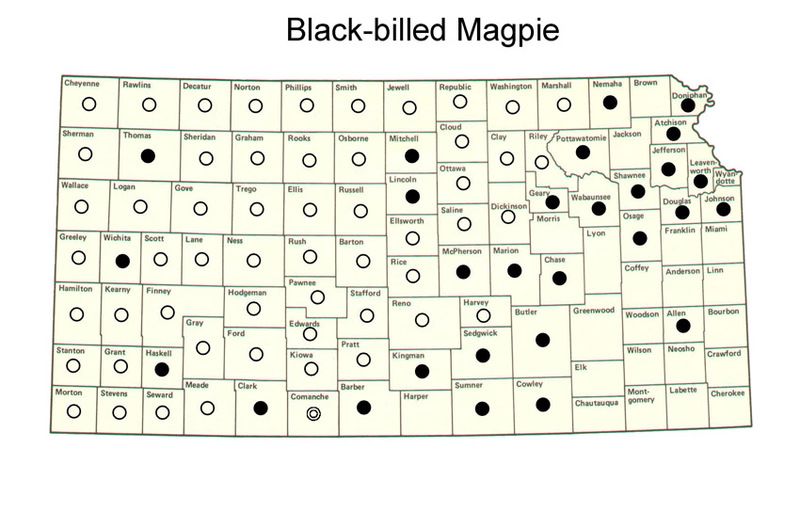 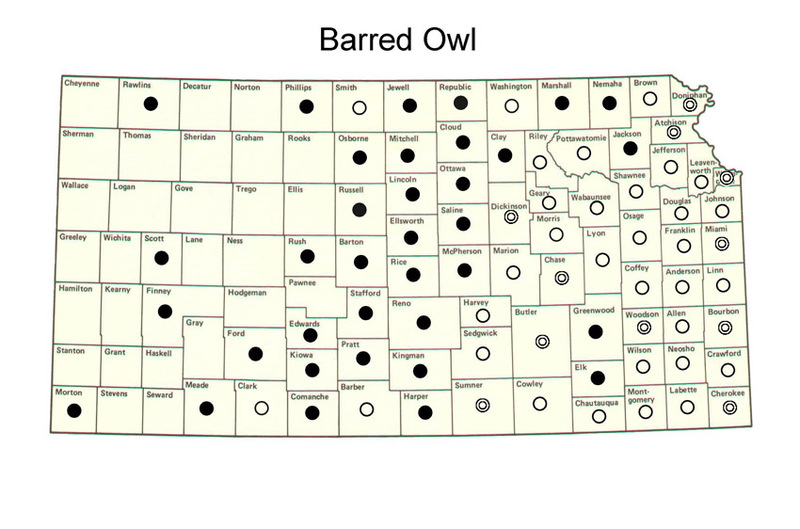 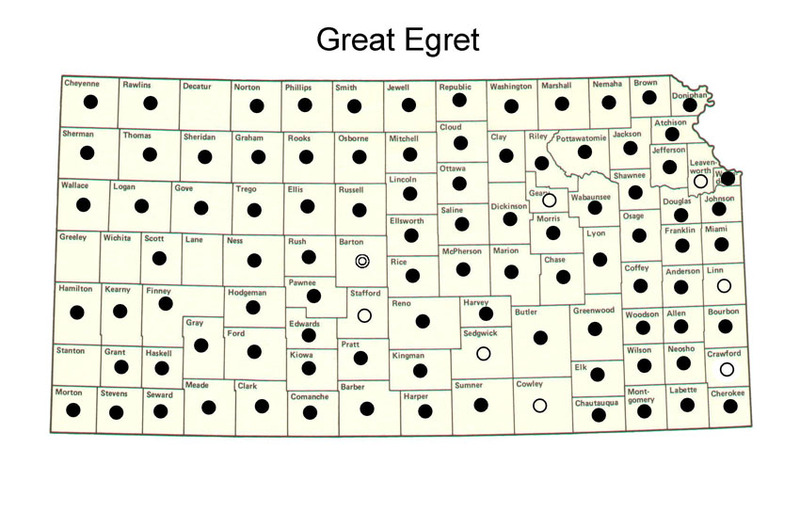 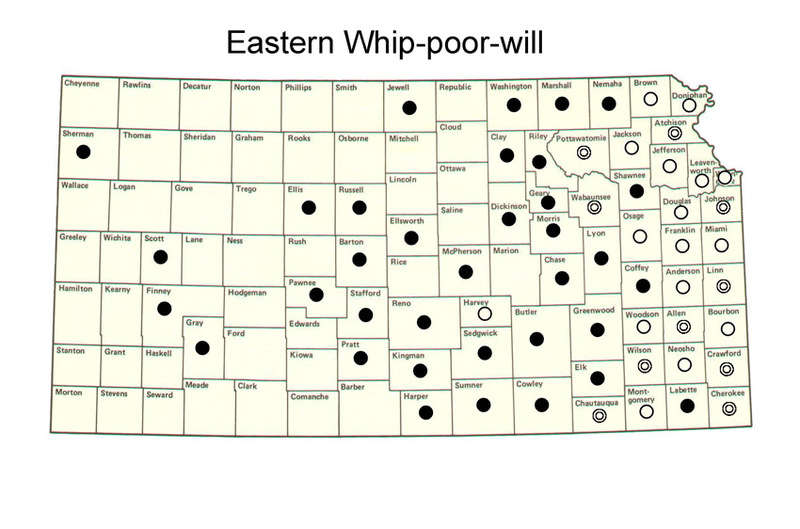 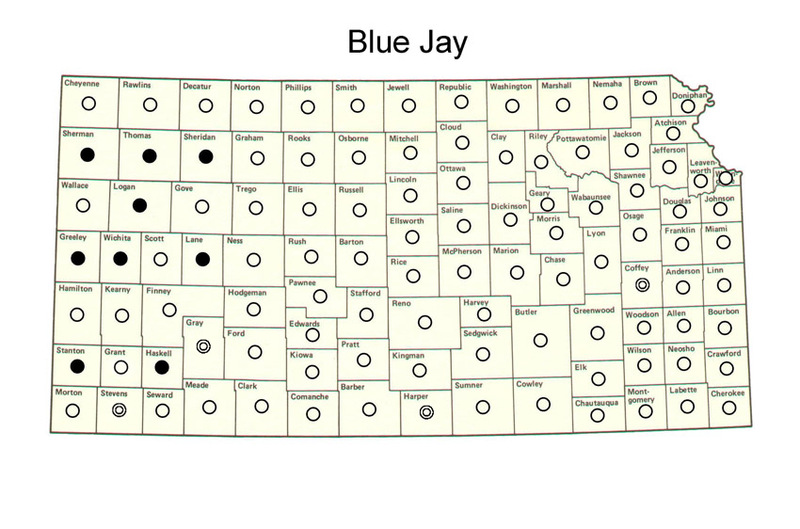 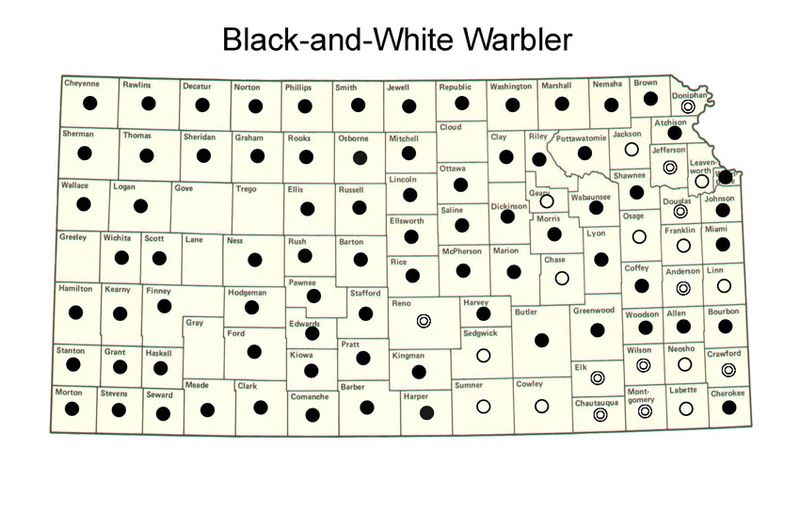 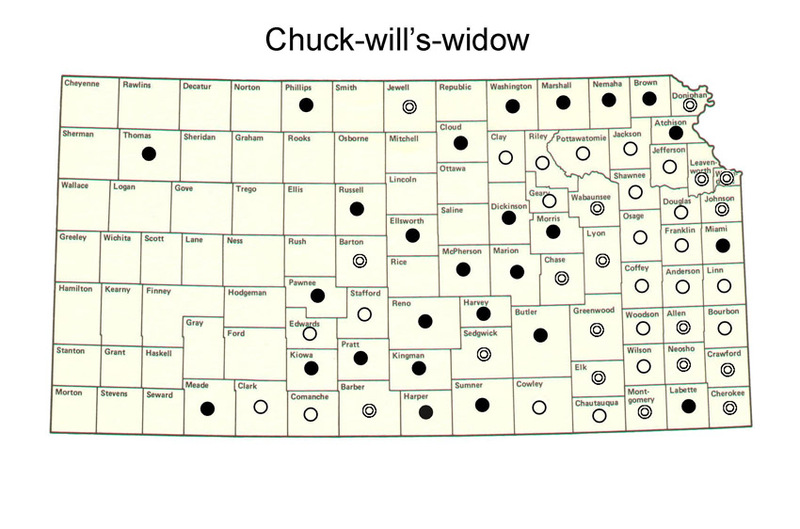 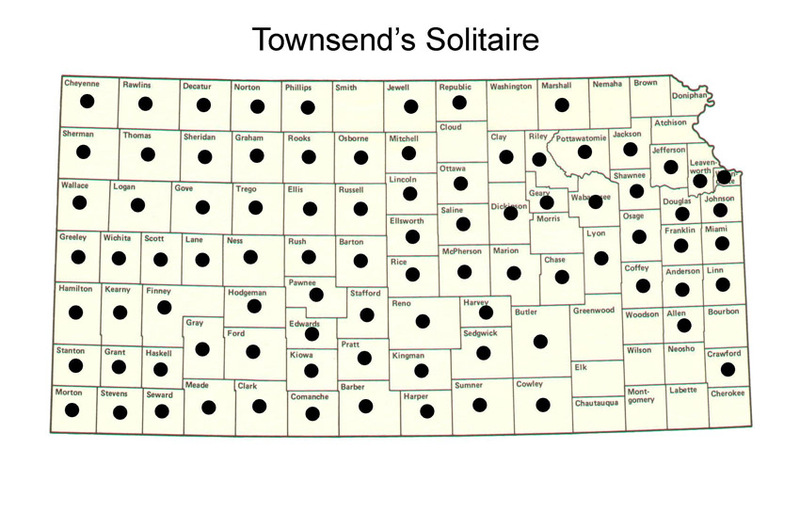 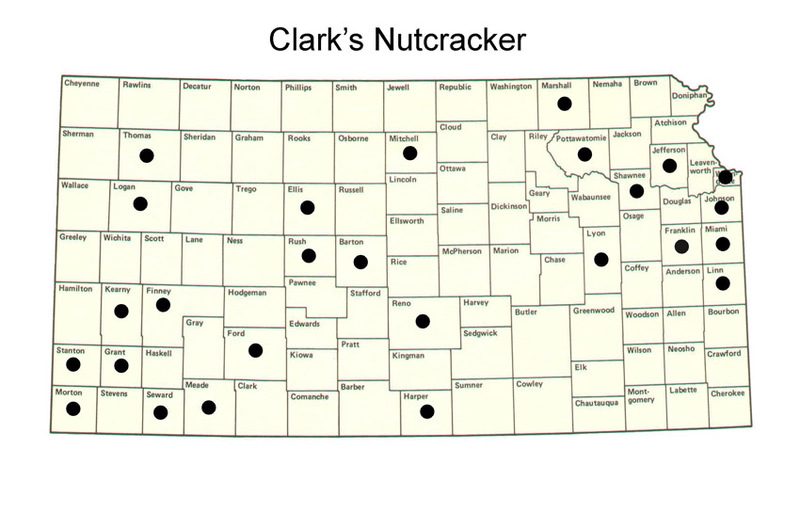 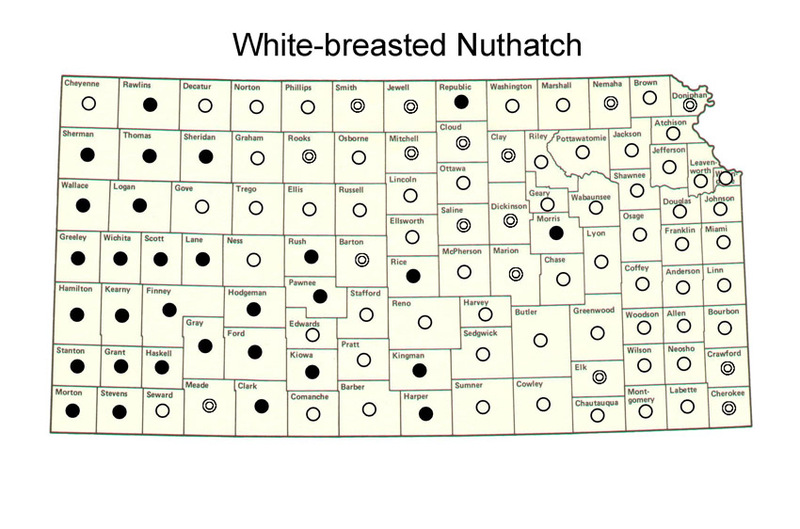 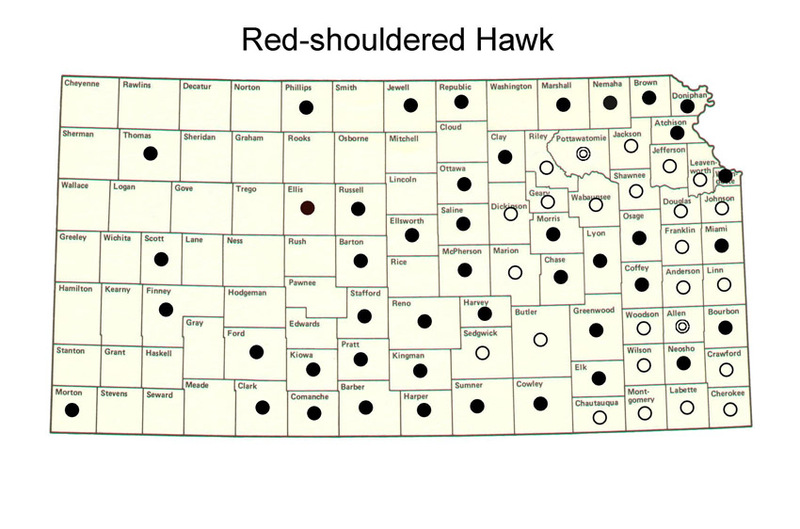 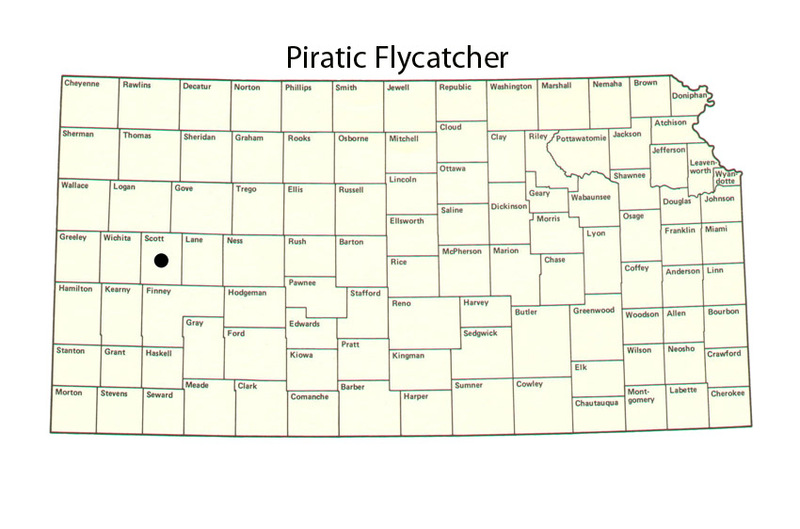 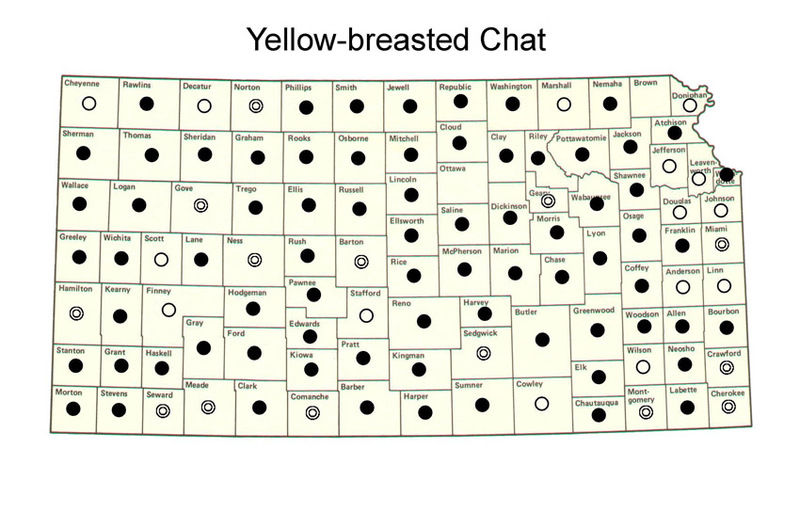 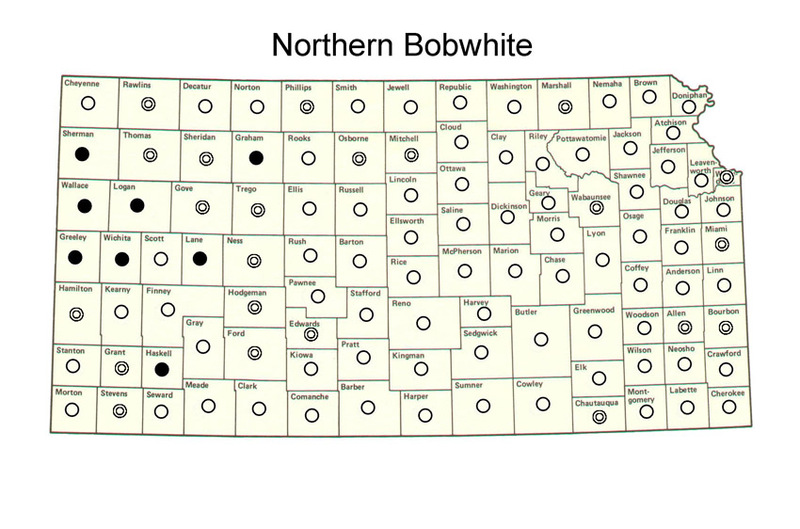 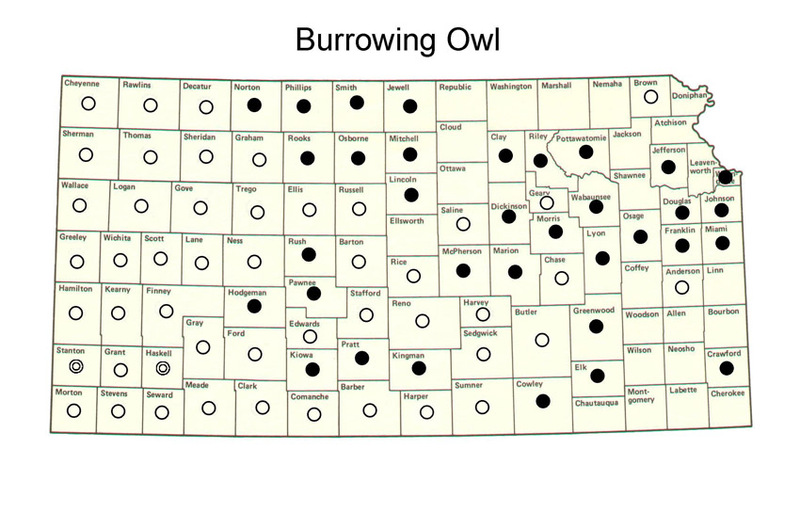 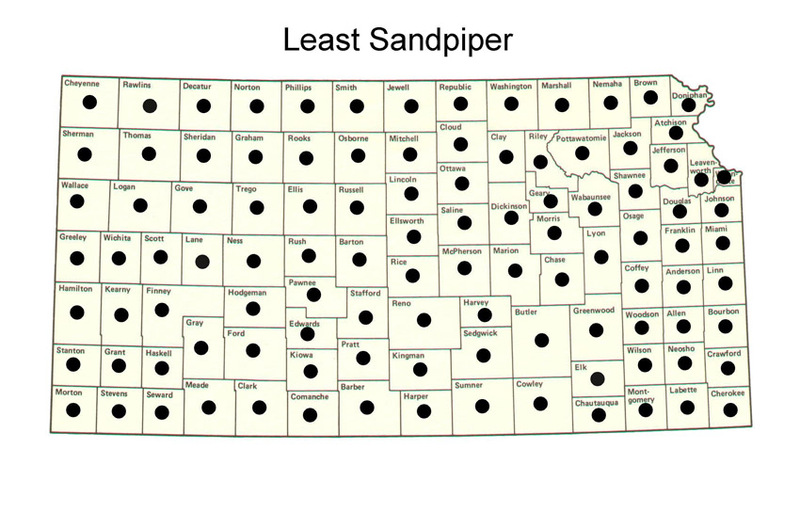 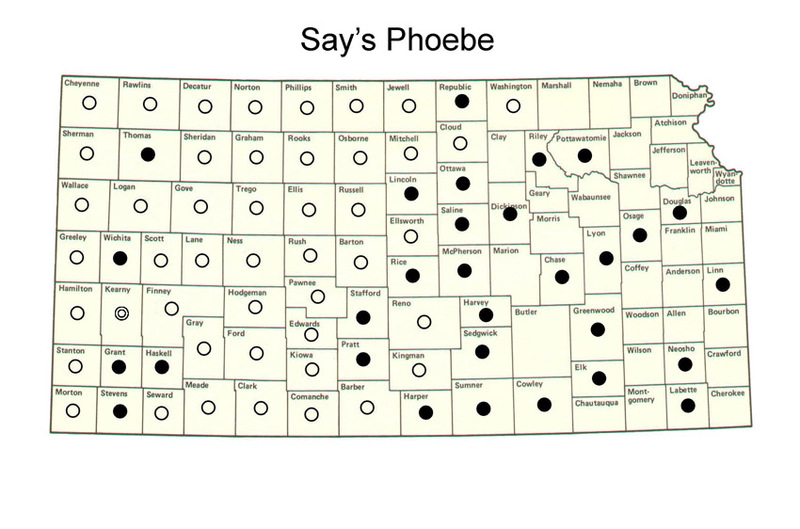 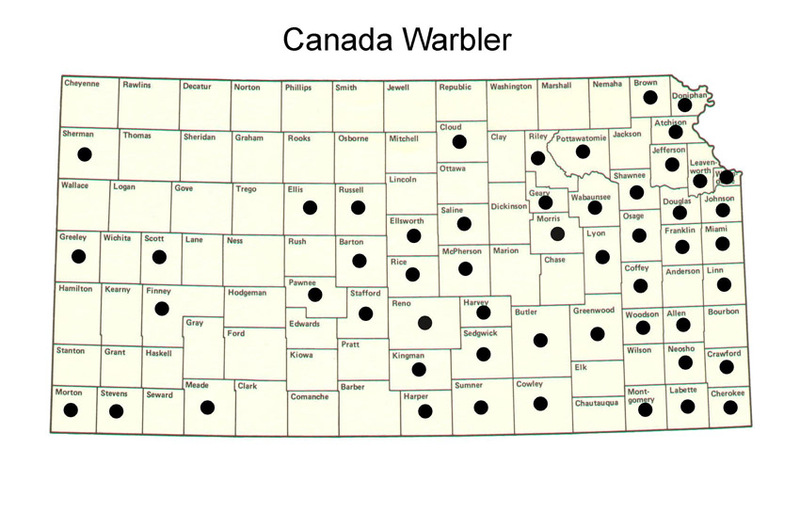 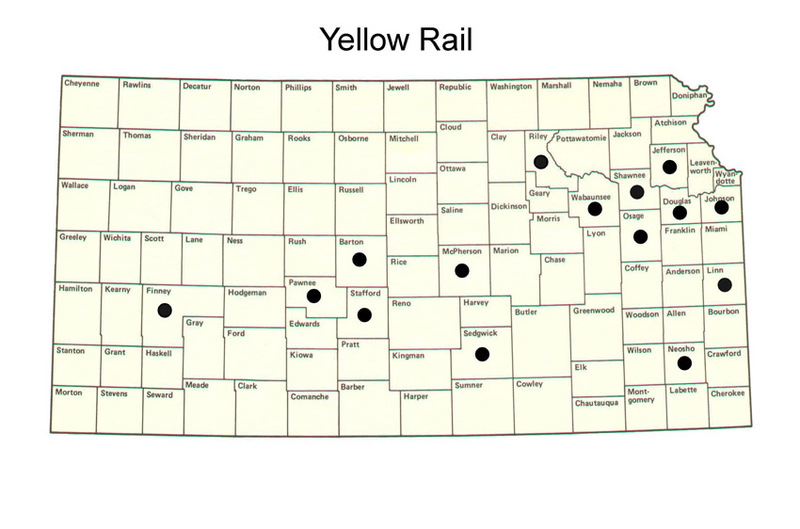 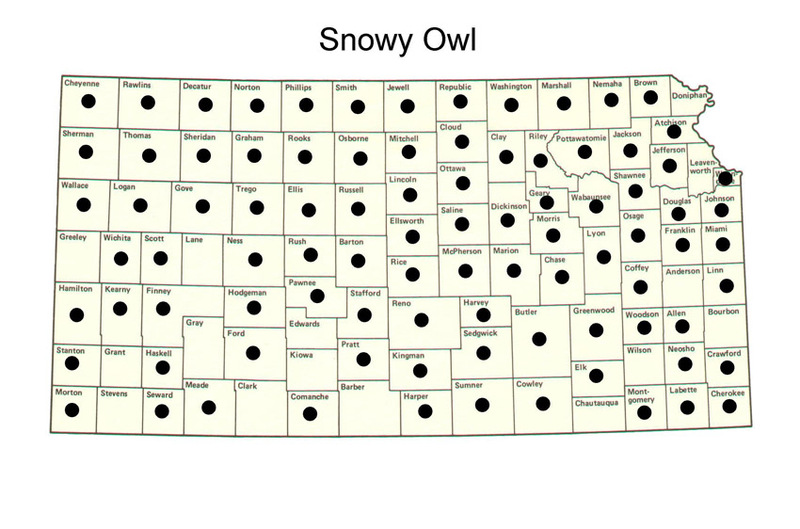 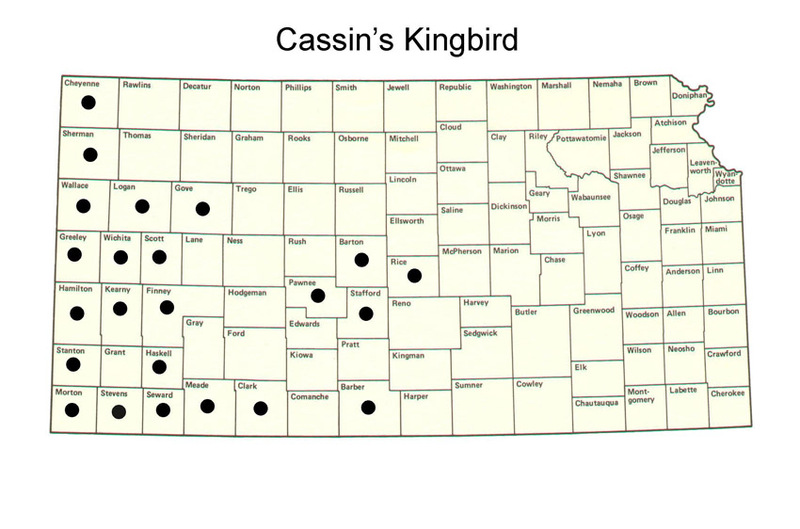 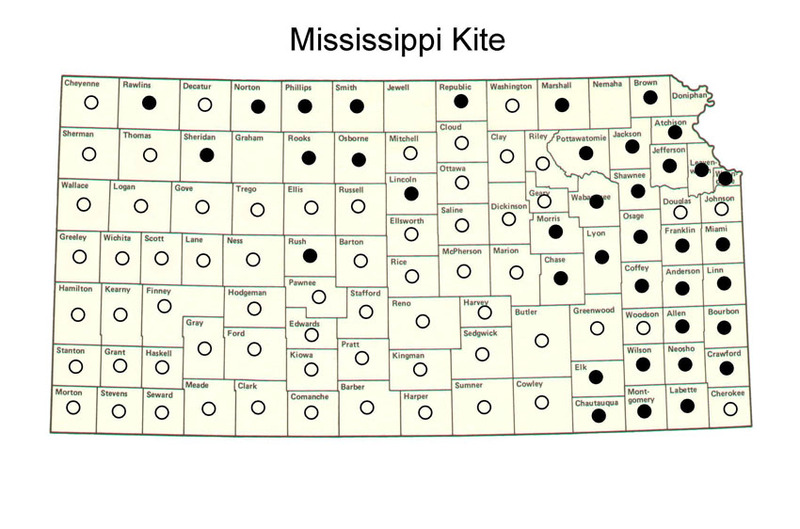 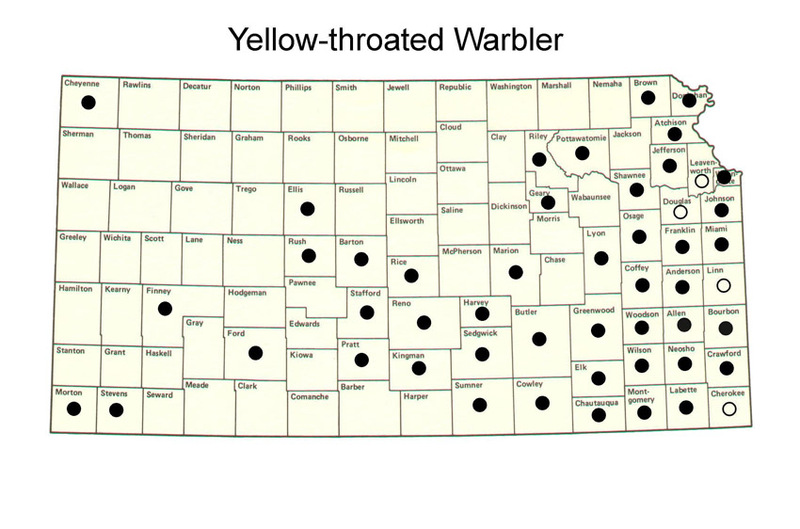 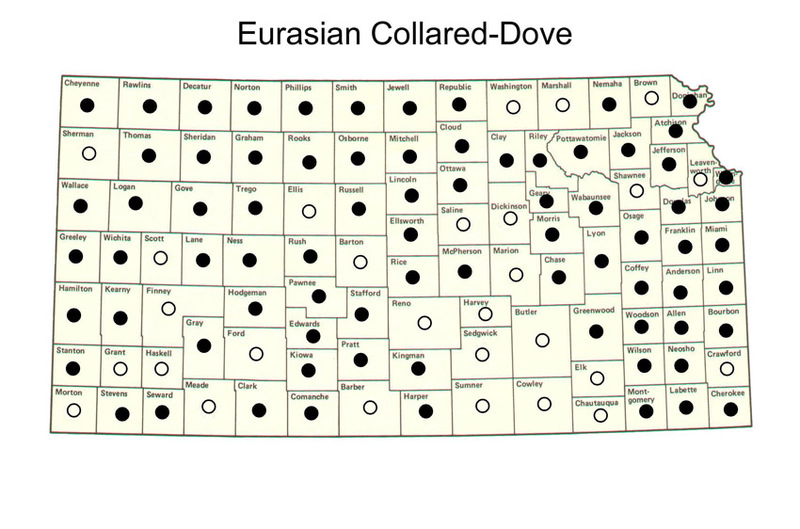 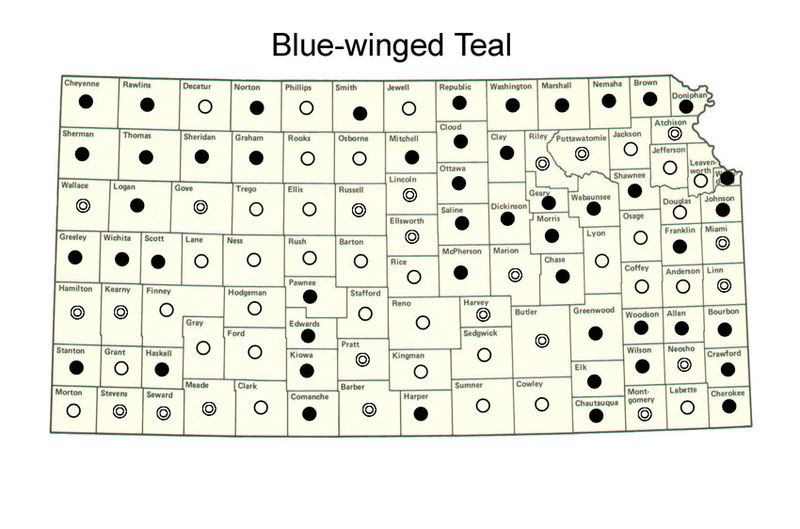 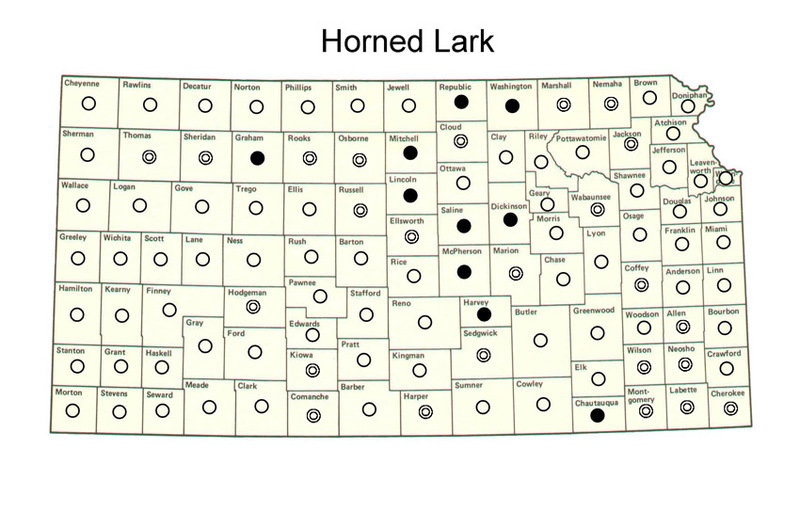 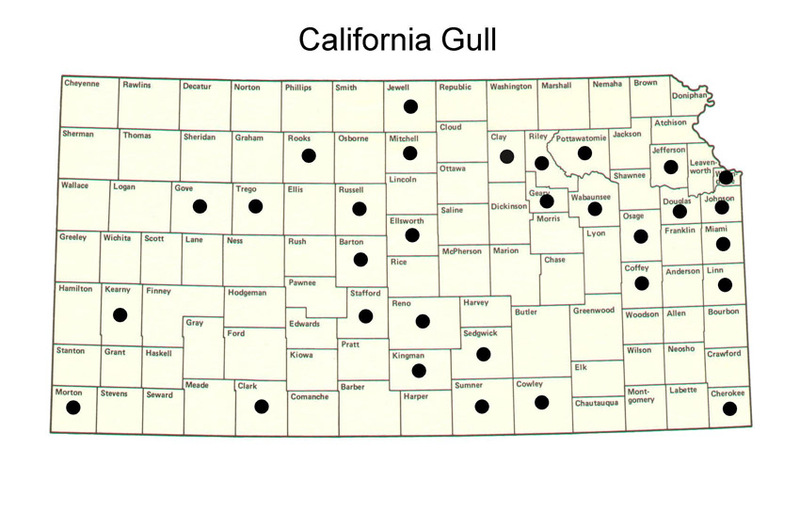 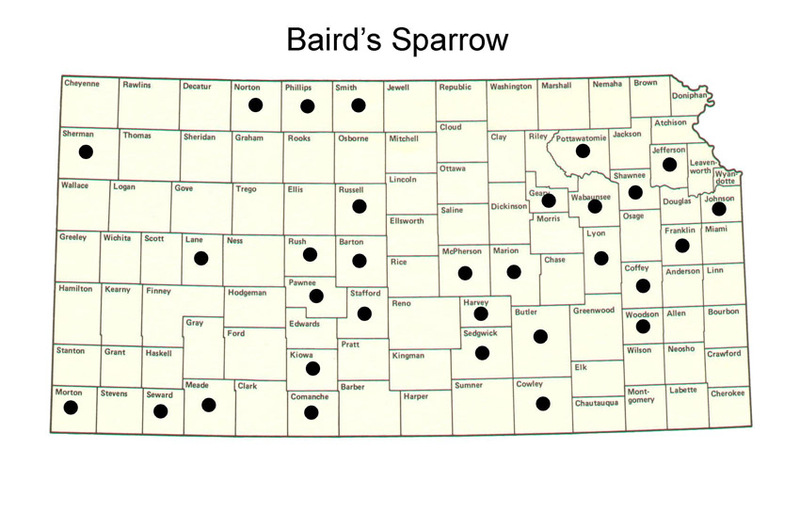 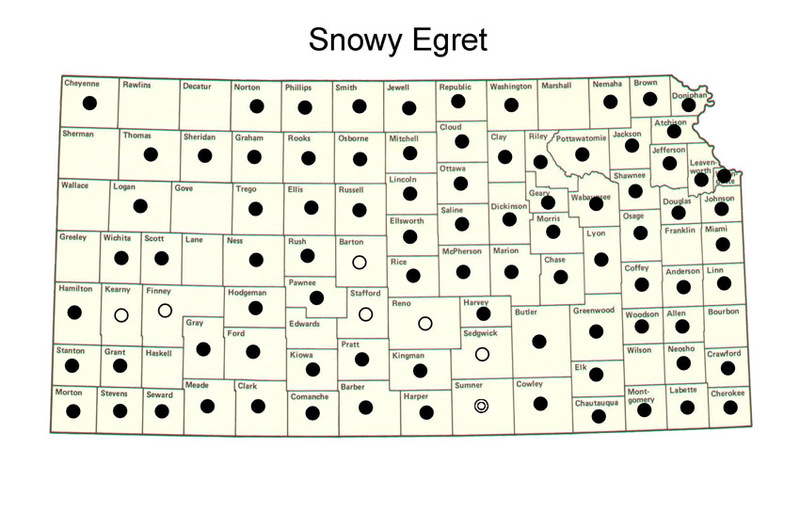 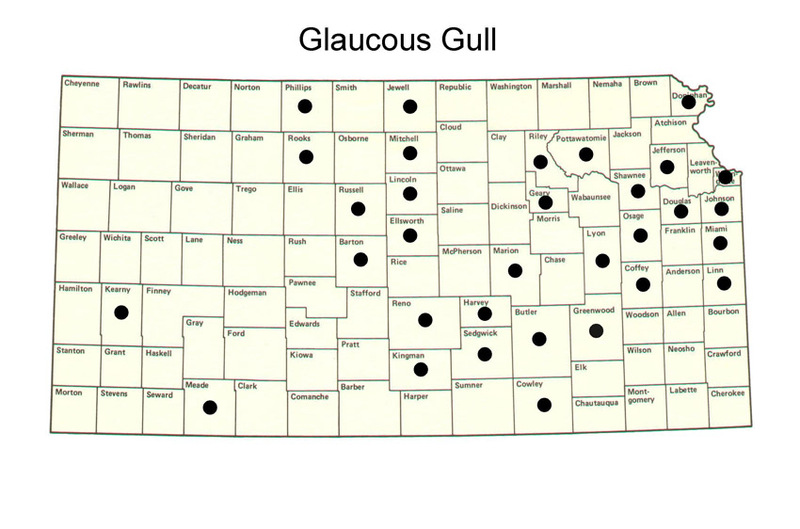 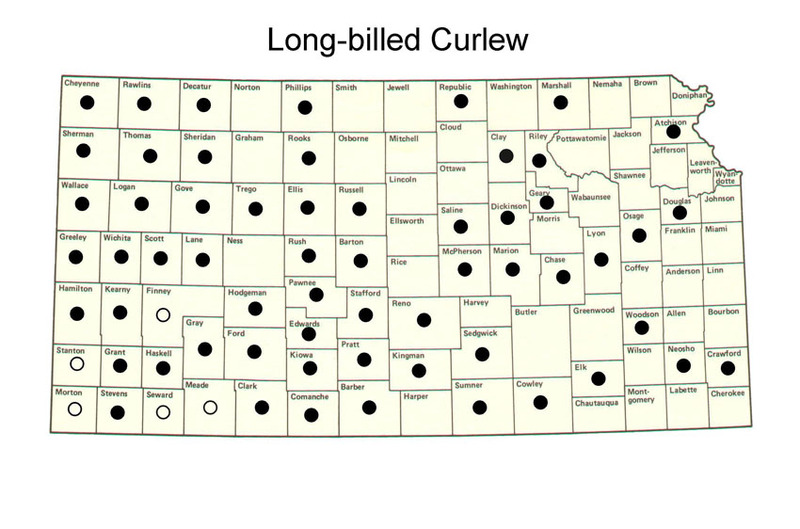 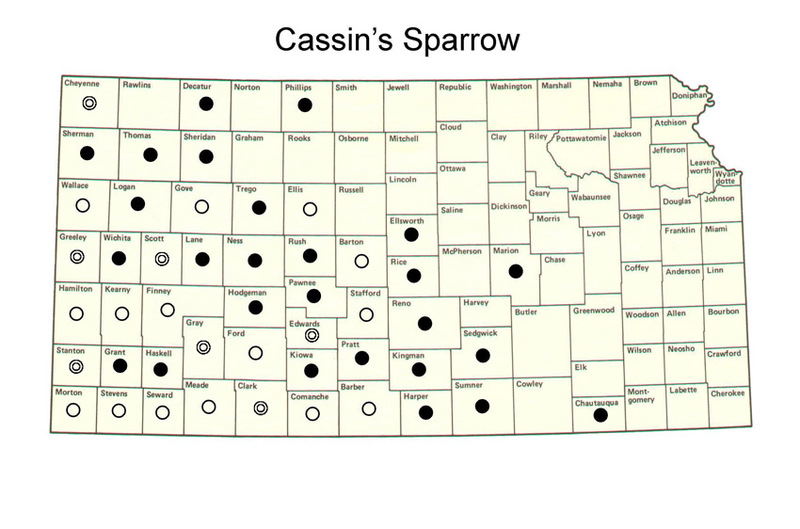 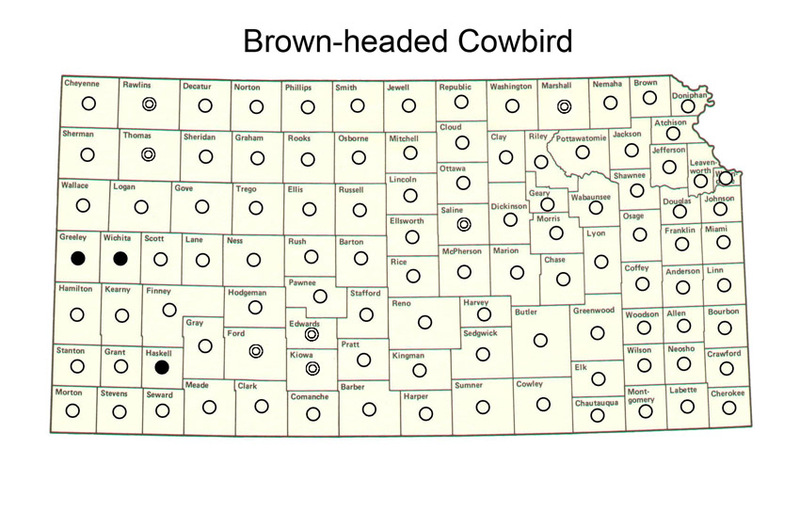 Map Legend: Solid black circle indicates sight record, open circle indicates confirmed breeding record, double circle indicates probable breeding record (Kansas Breeding Bird Atlas data, 1992 - 1997). 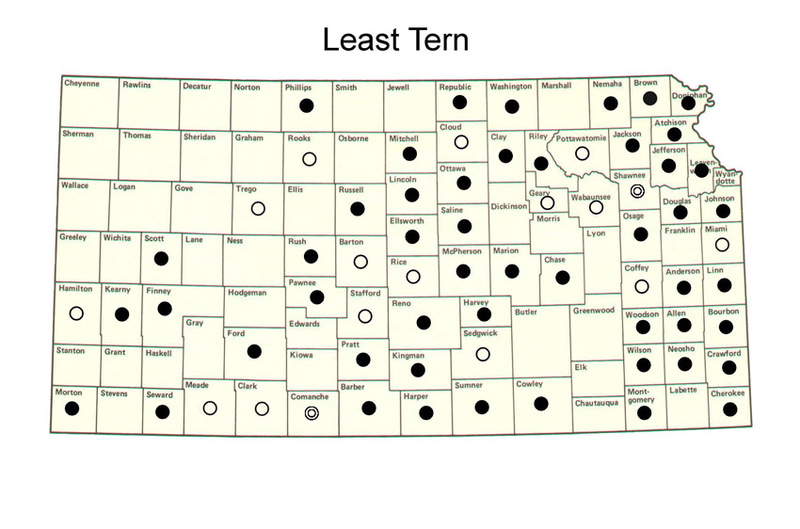 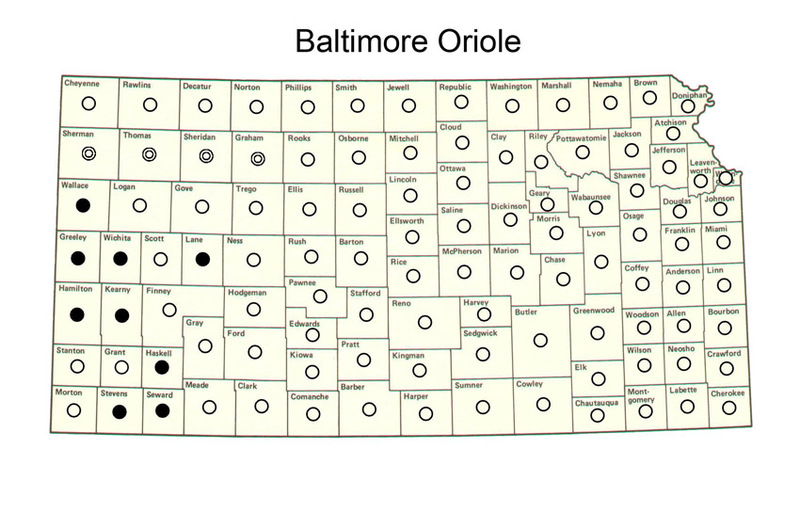 No circle in the county indicates no record at all for that county.